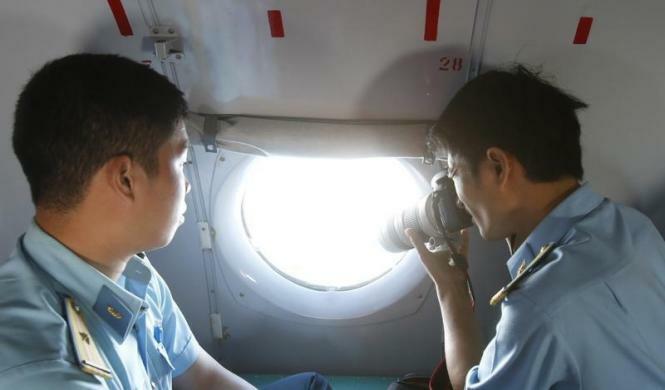 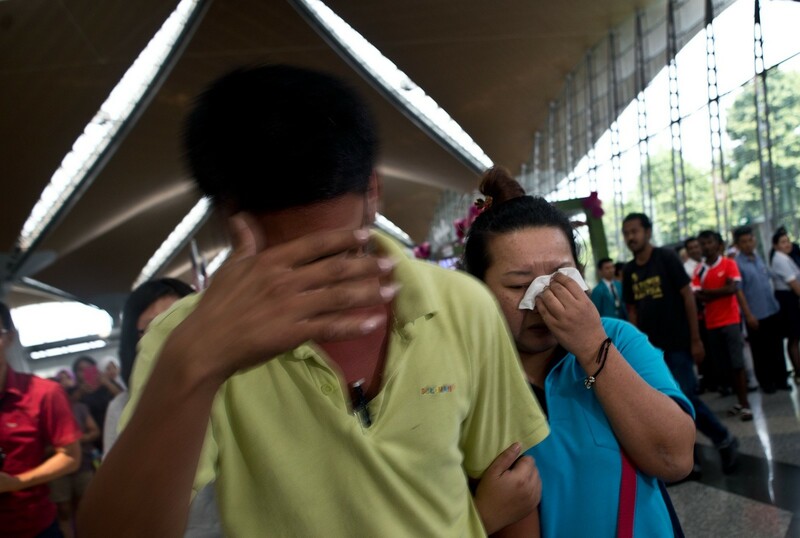 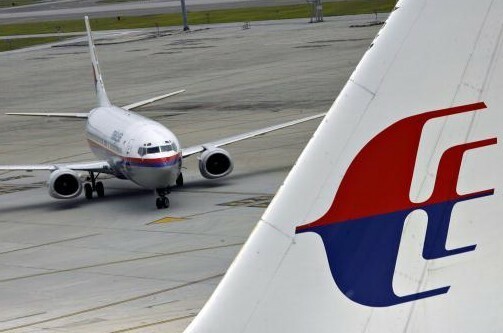 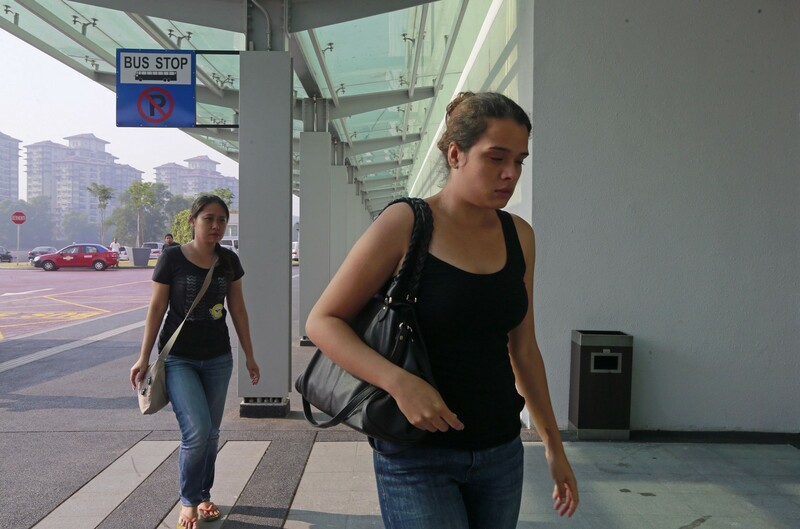 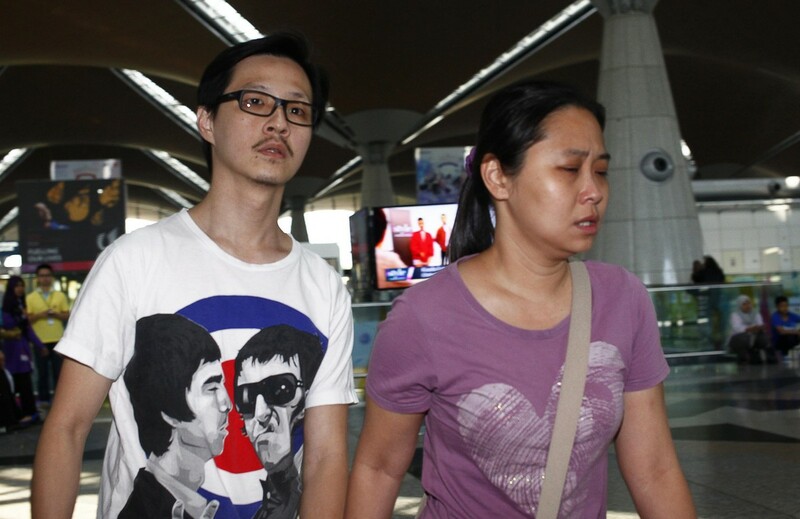 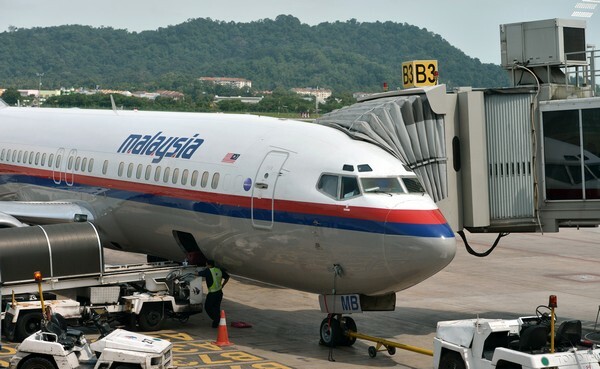 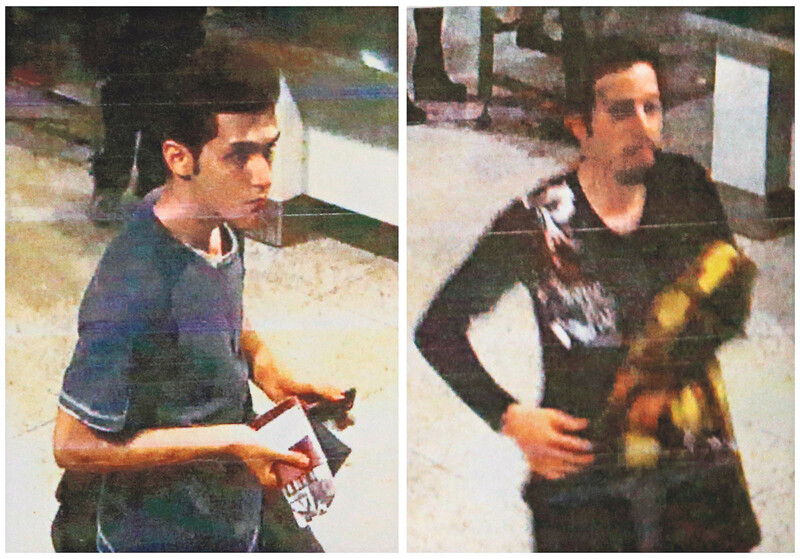 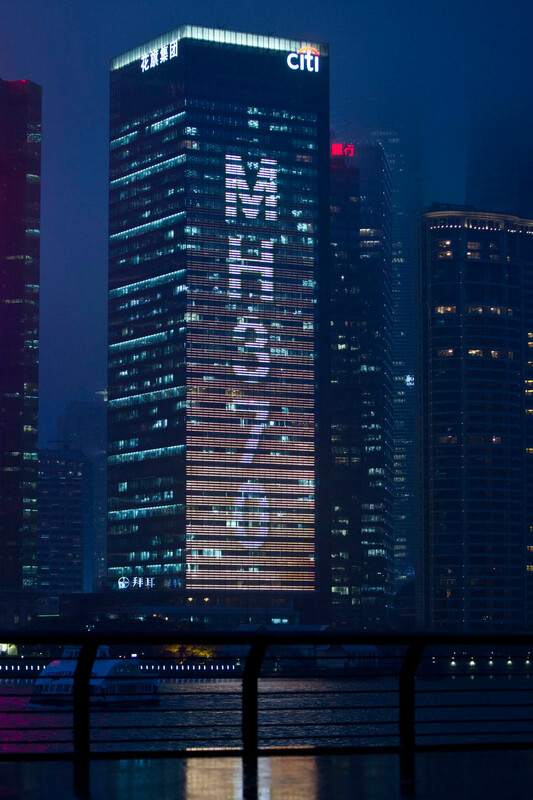 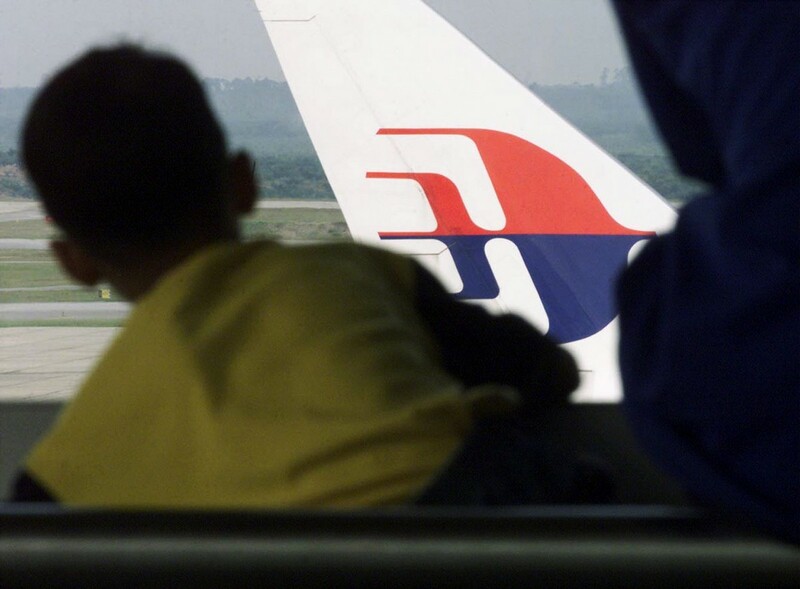 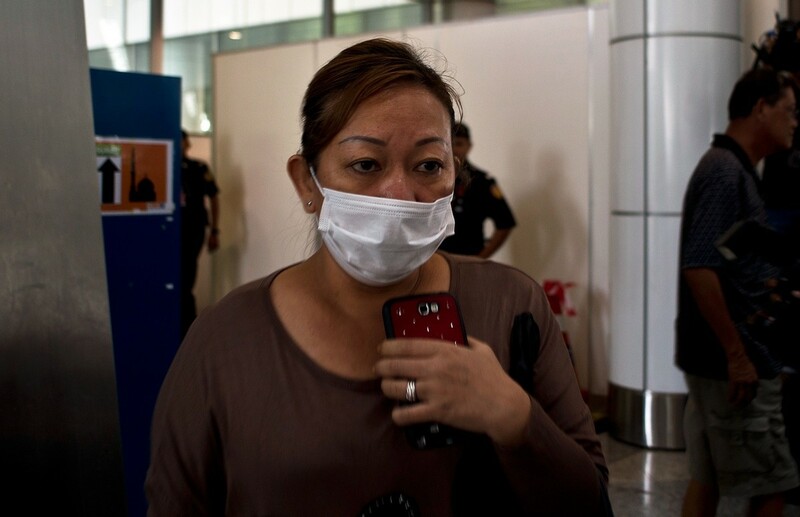 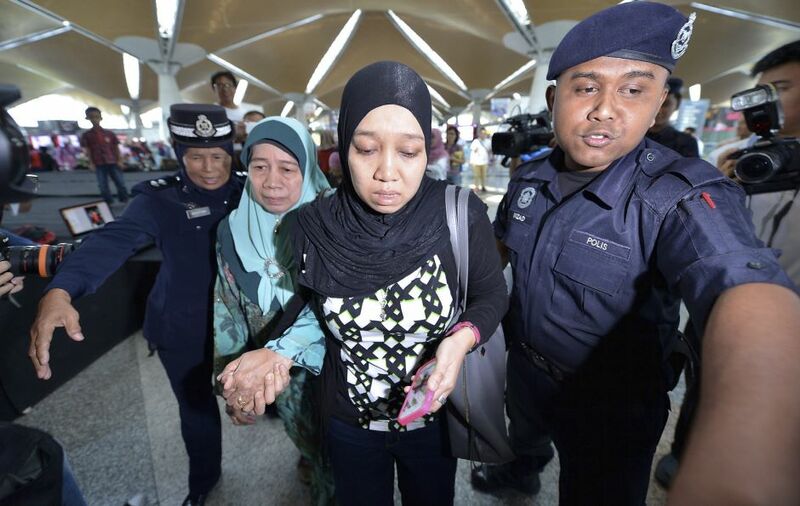 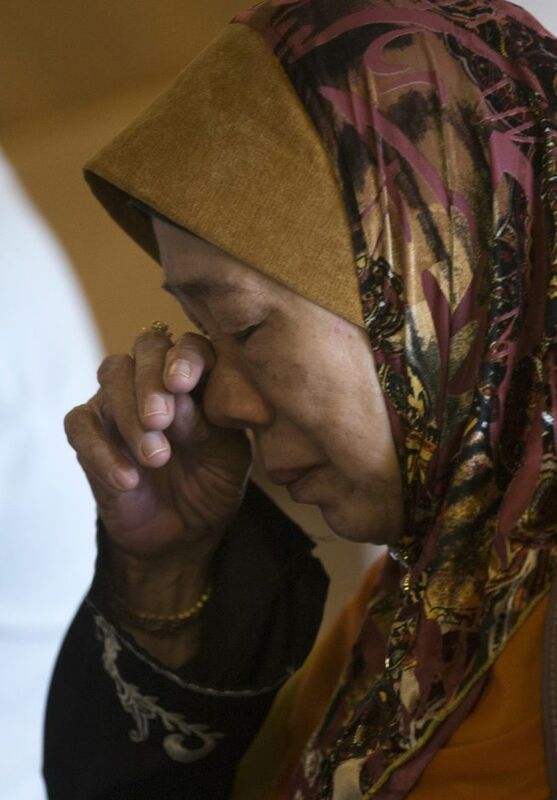 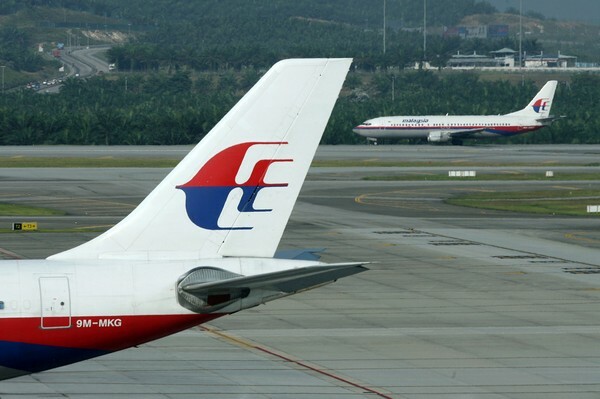 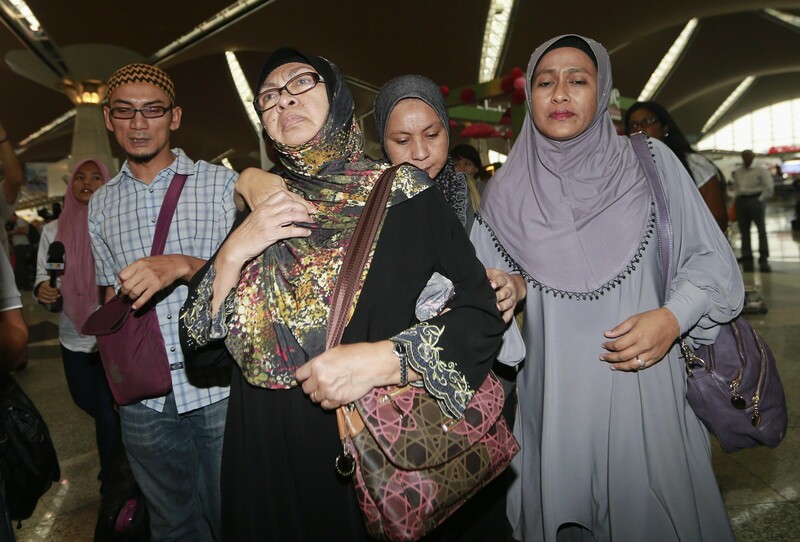 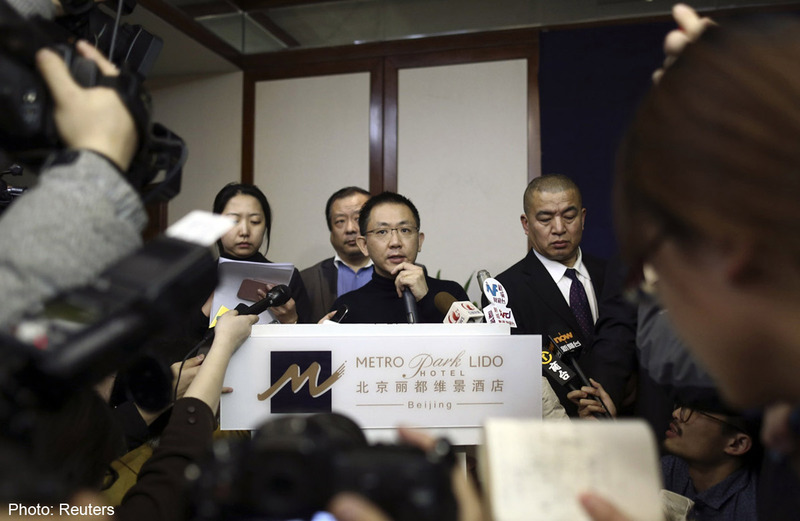 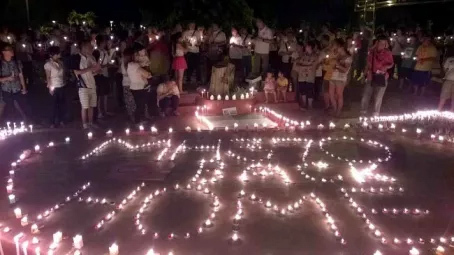 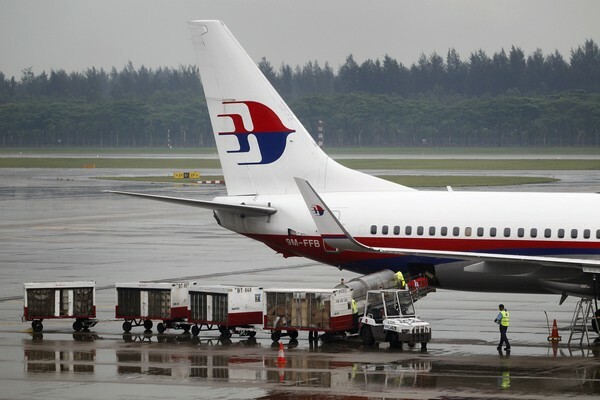 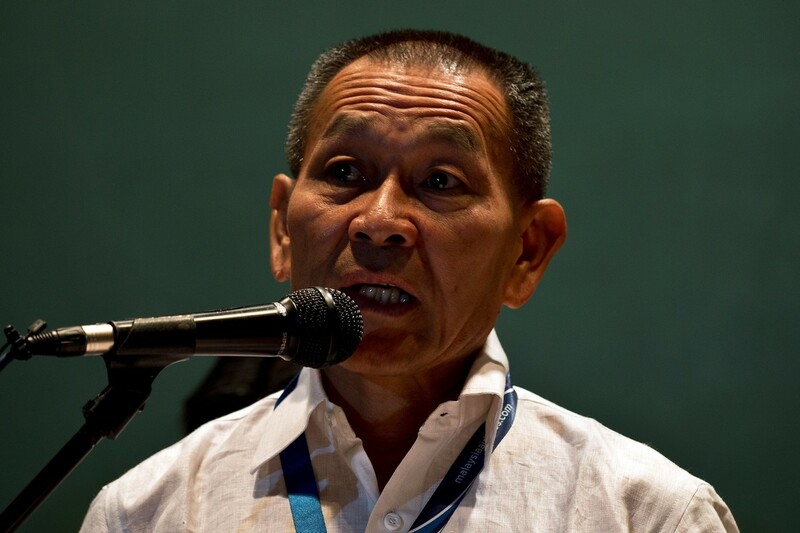 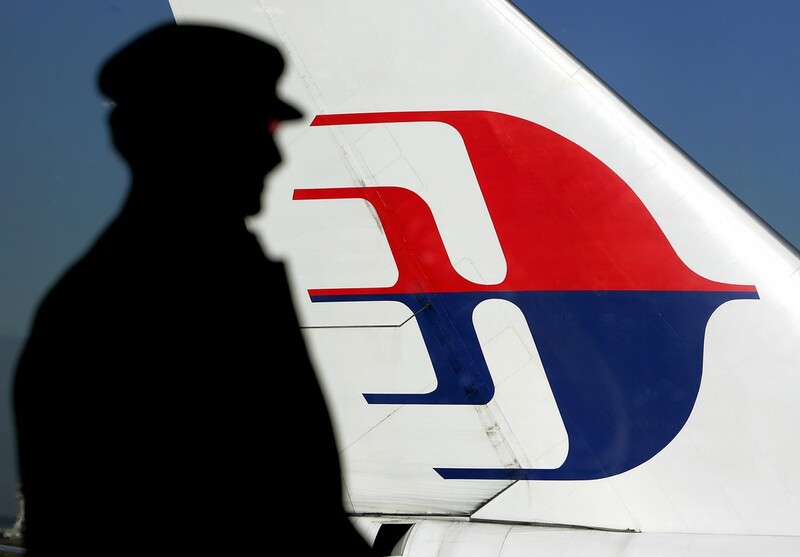 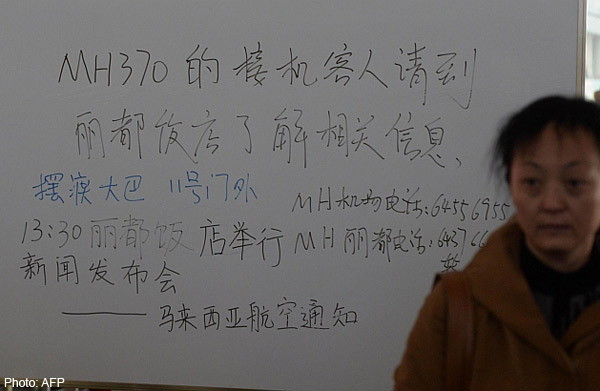 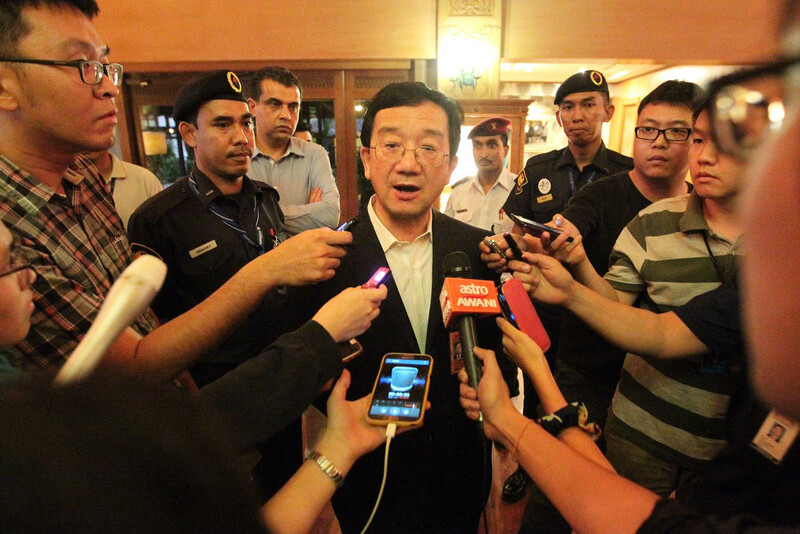 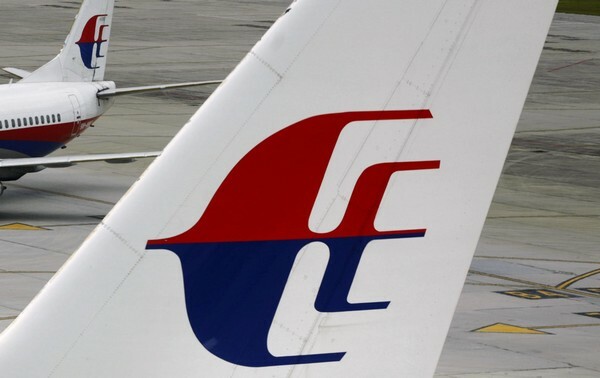 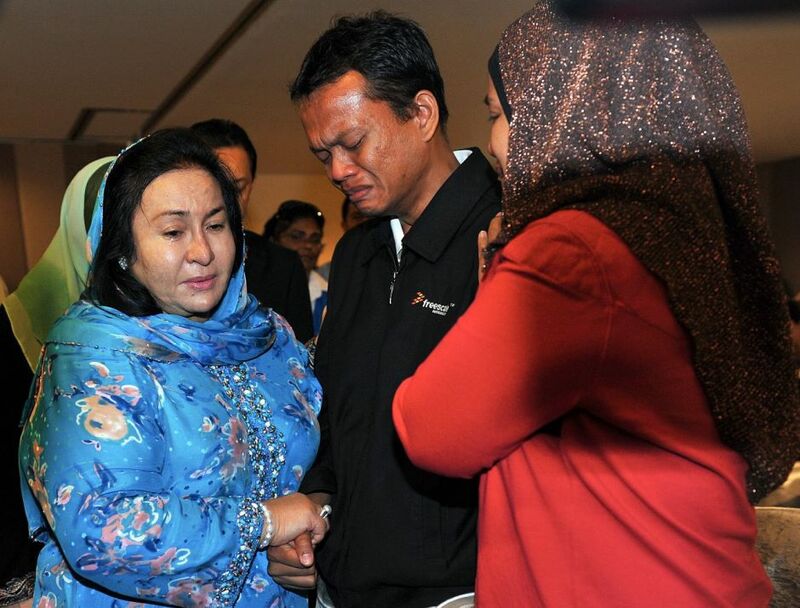 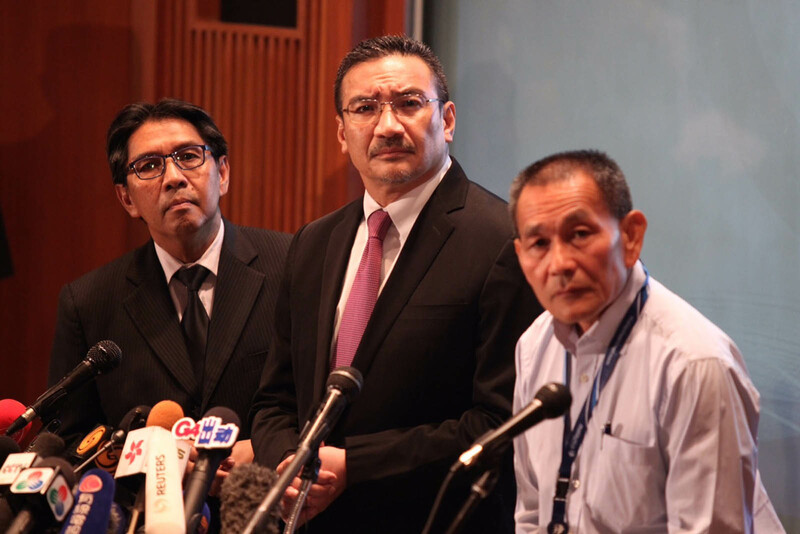 SEPANG: Bukit Aman has denied recent reports in some online portals and local newspapers that police are focusing investigation on one of the MH370 crew members and a 35-year-old Chinese national of Uighur descent. 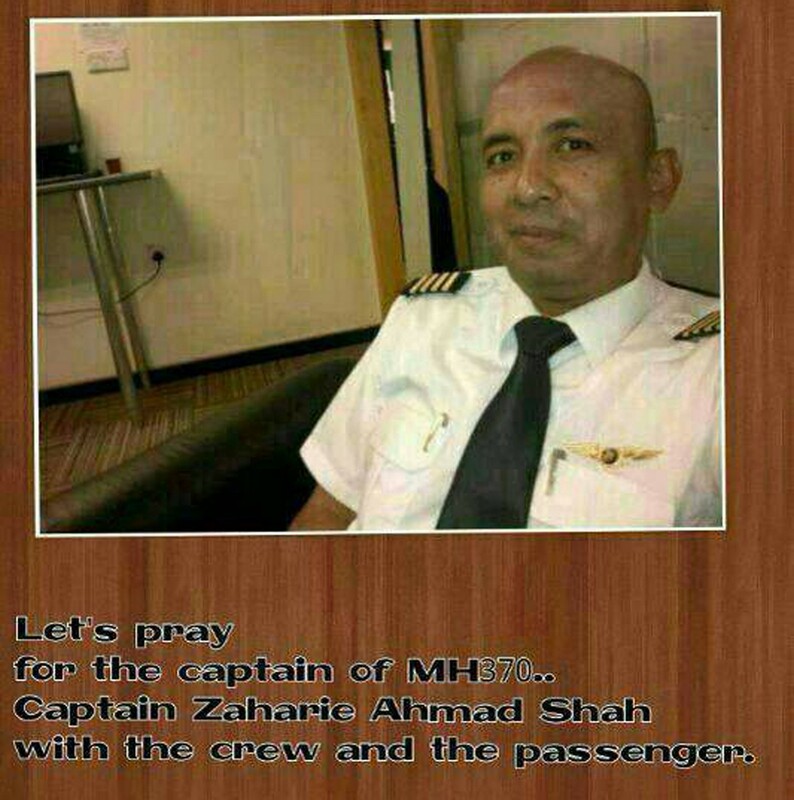 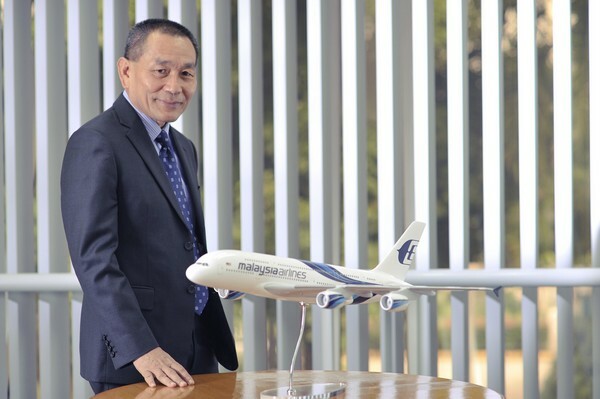 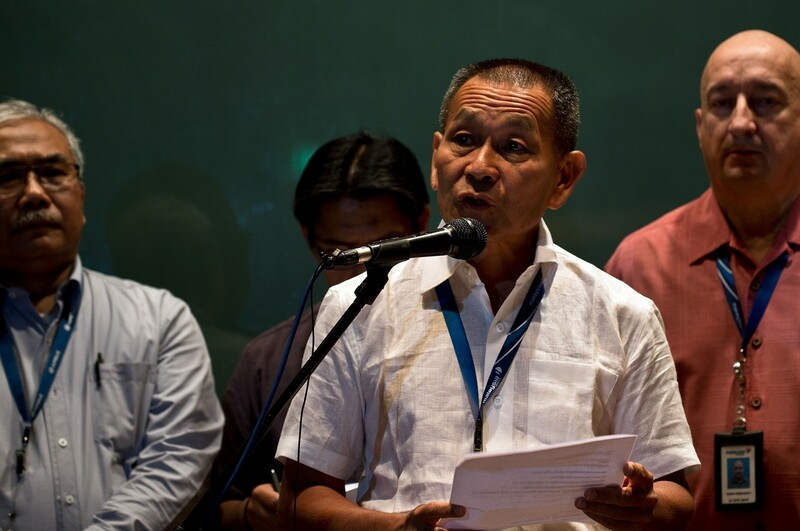 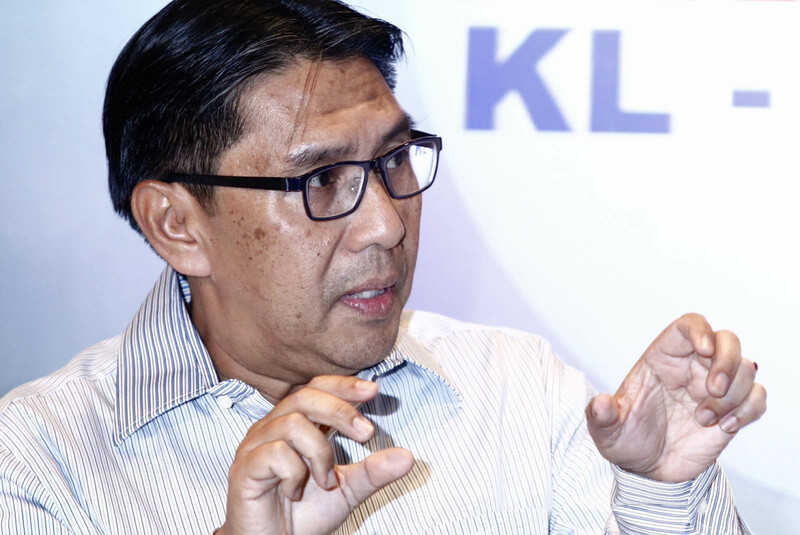 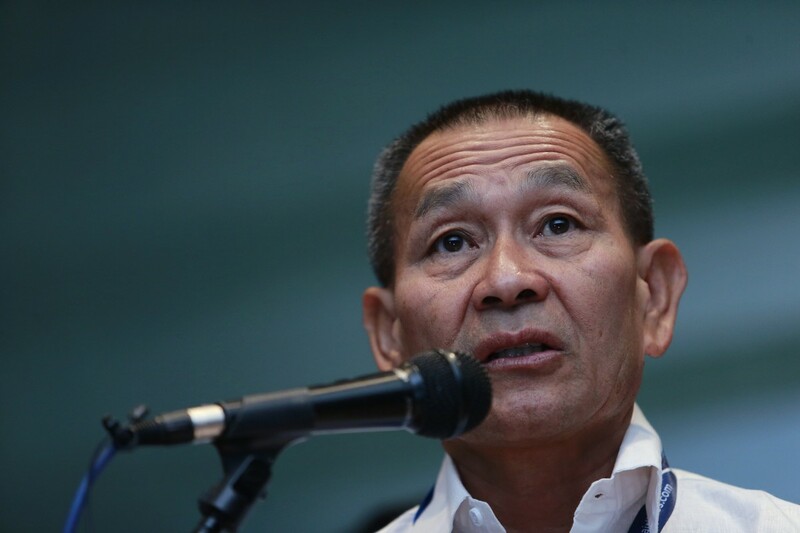 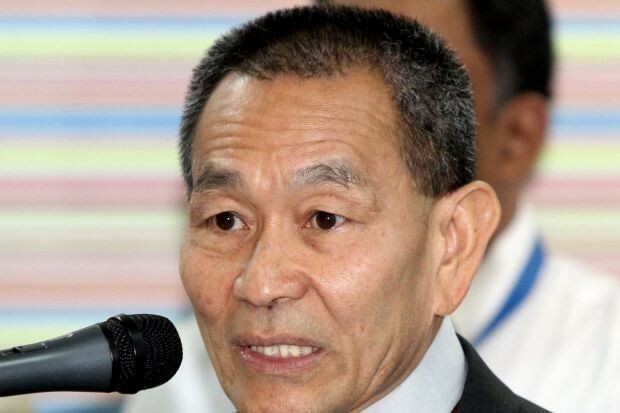 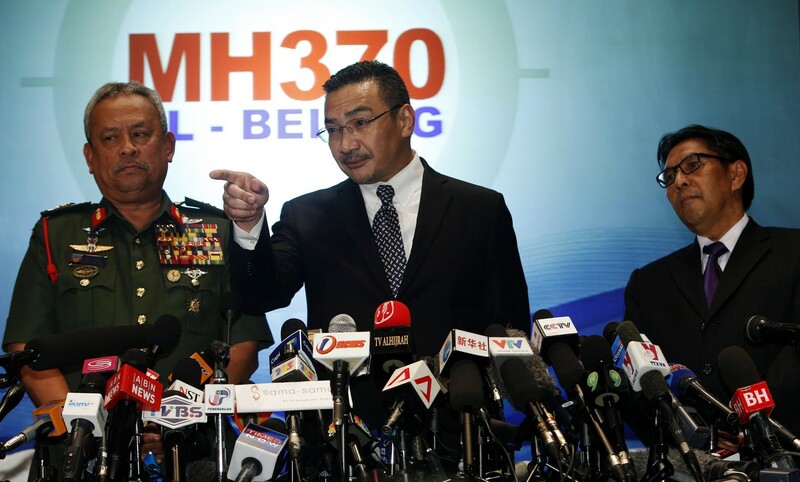 Federal CID director Comm Datuk Hadi Ho Abdullah (pictured above) said he had not given any statement regarding the investigation to the media pertaining to the missing MH370. 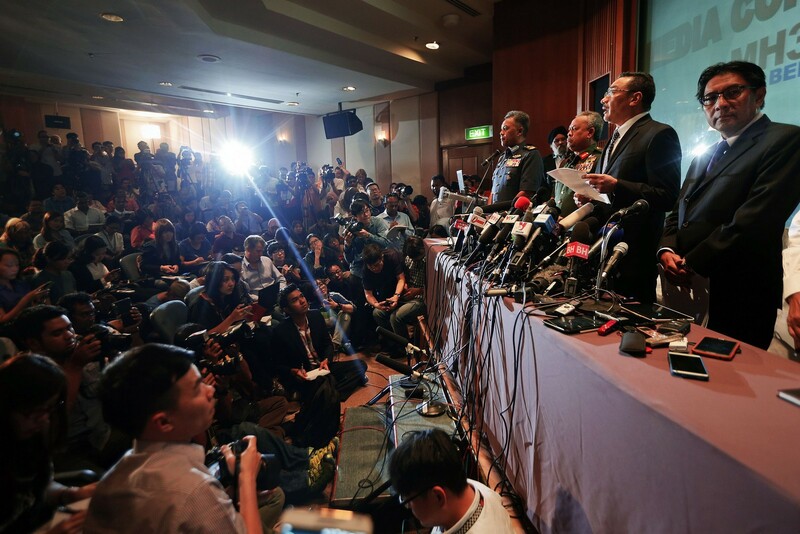 "The investigation is confidential and it is still ongoing. 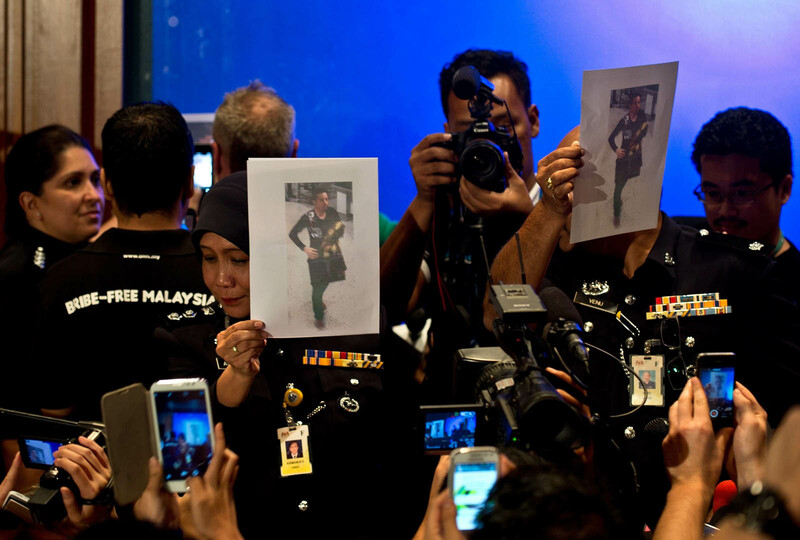 "The police will divulge latest development in the case at the right time, " he said in a statement Thursday. 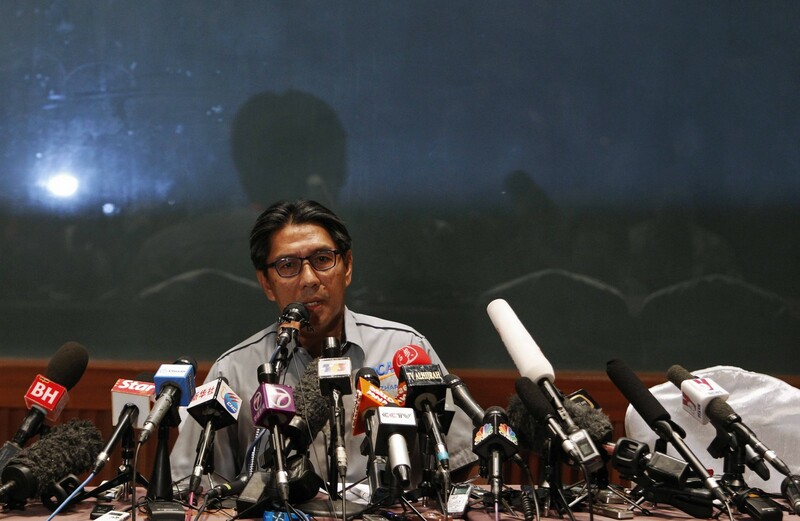 He added any report, which quoted him as confirming on the case was false. 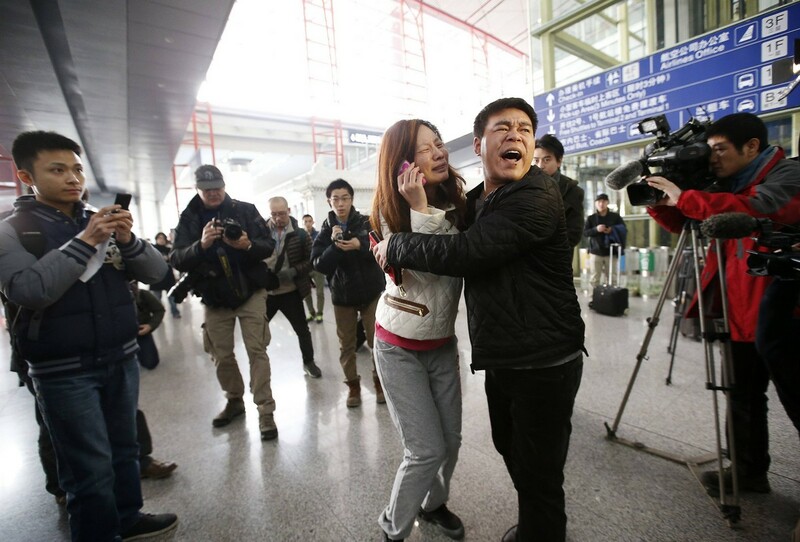 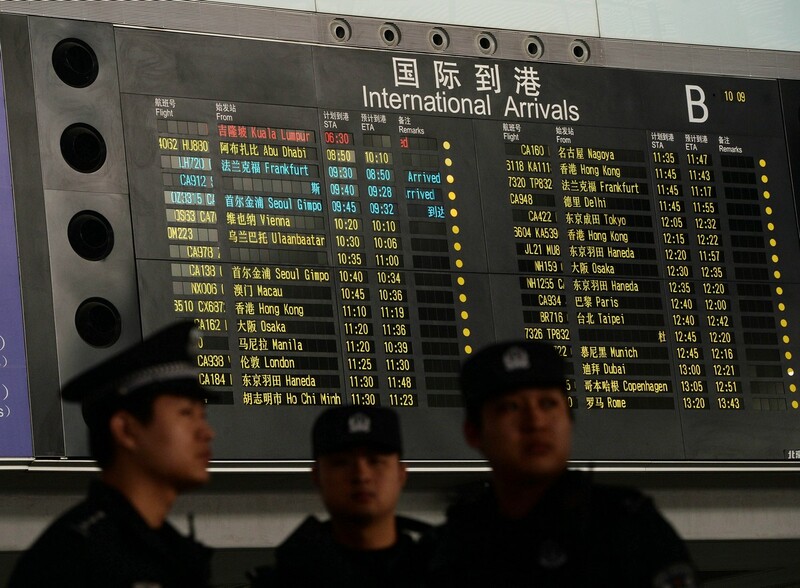 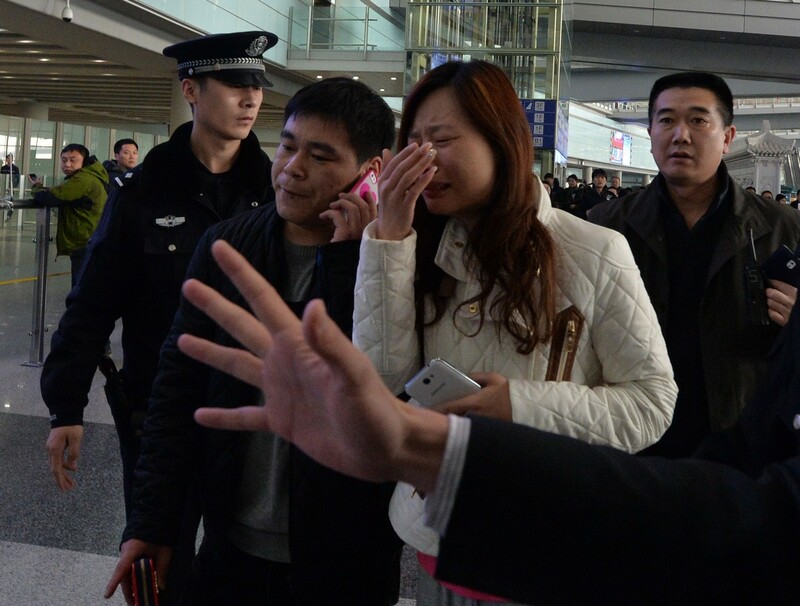 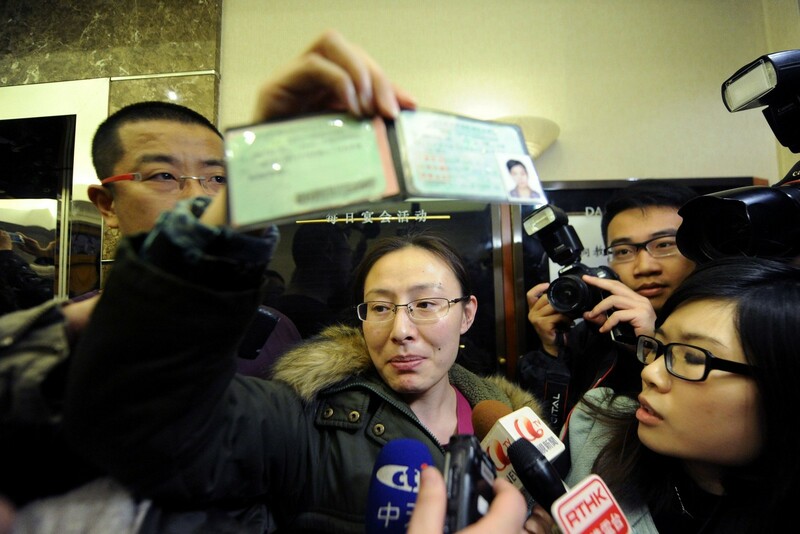 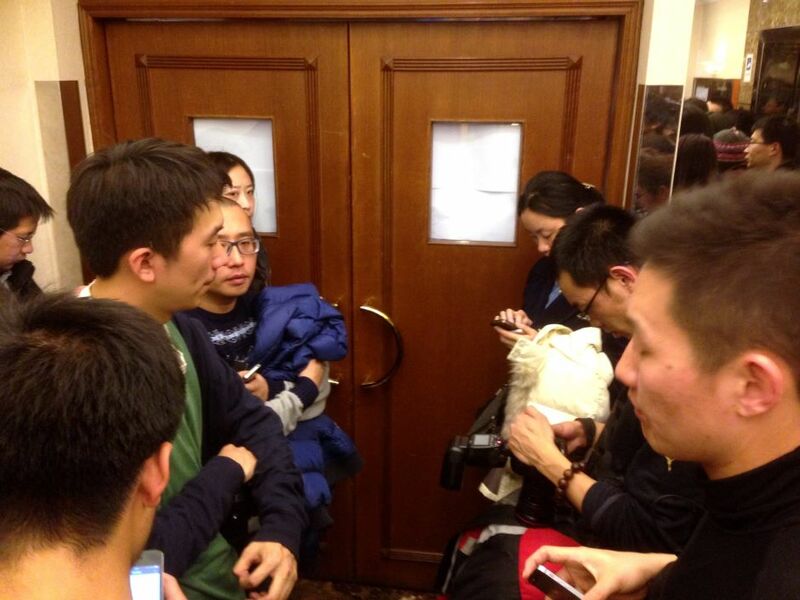 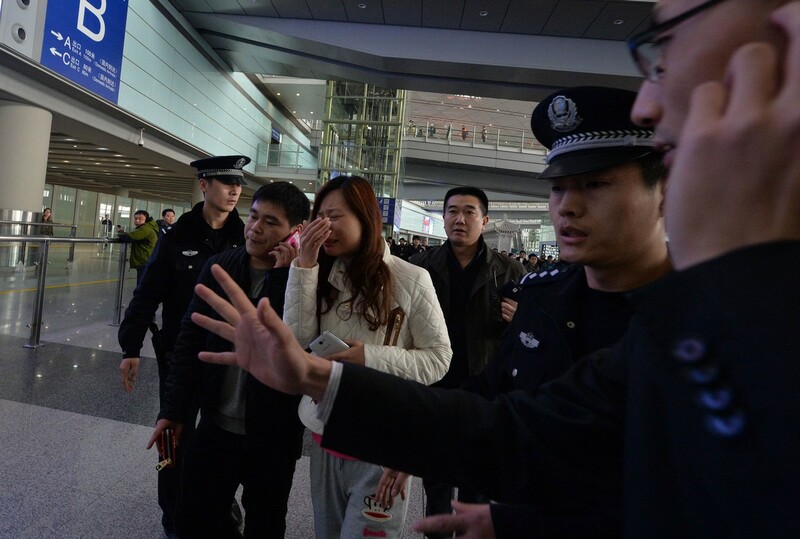 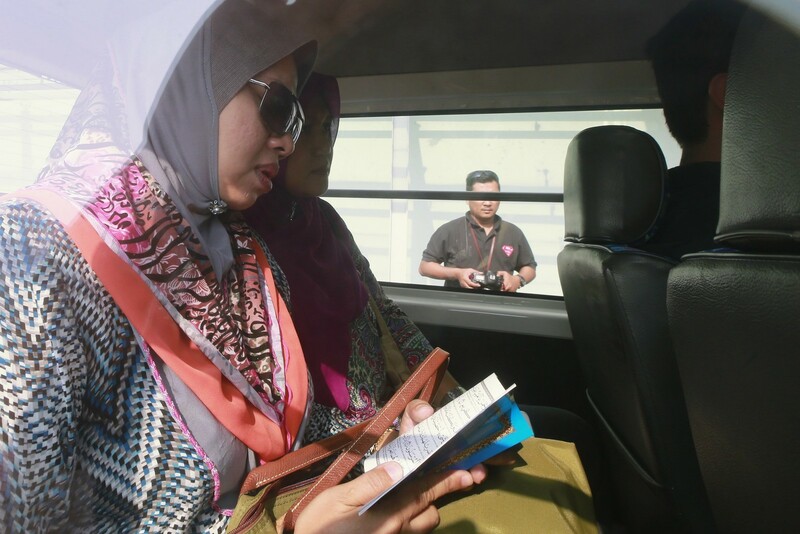 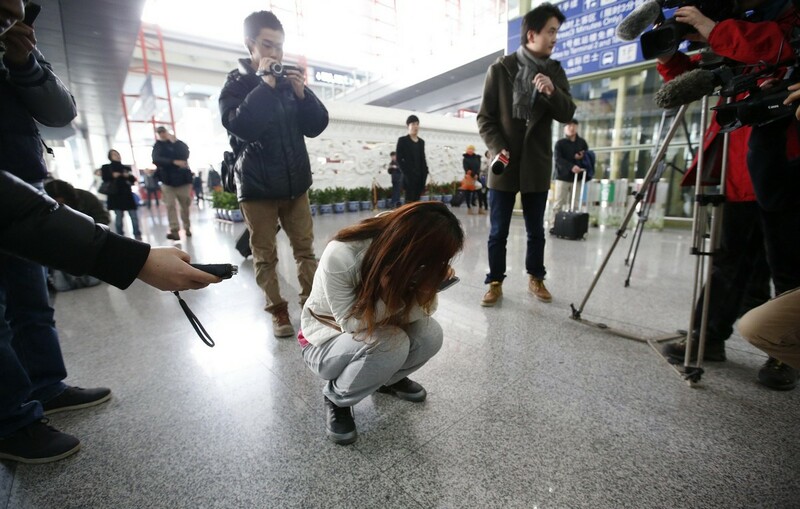 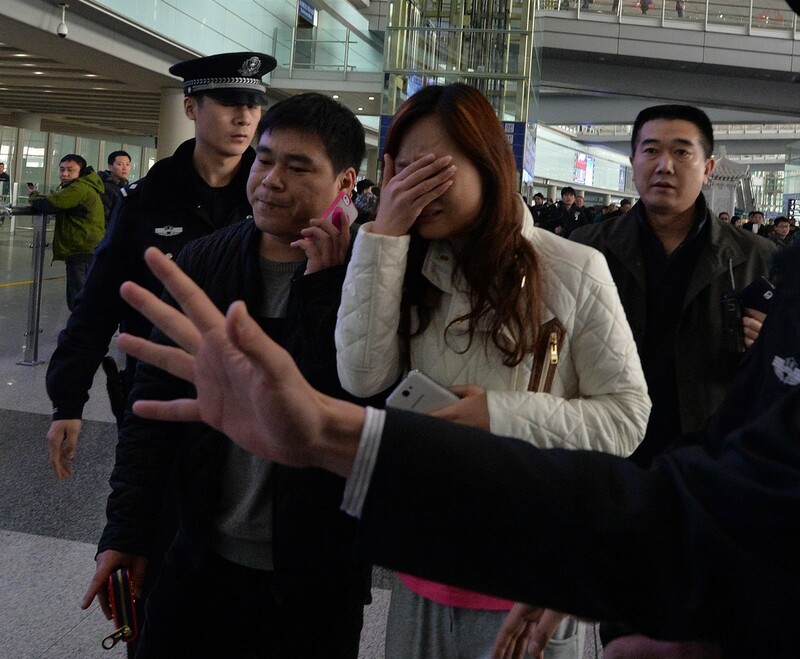 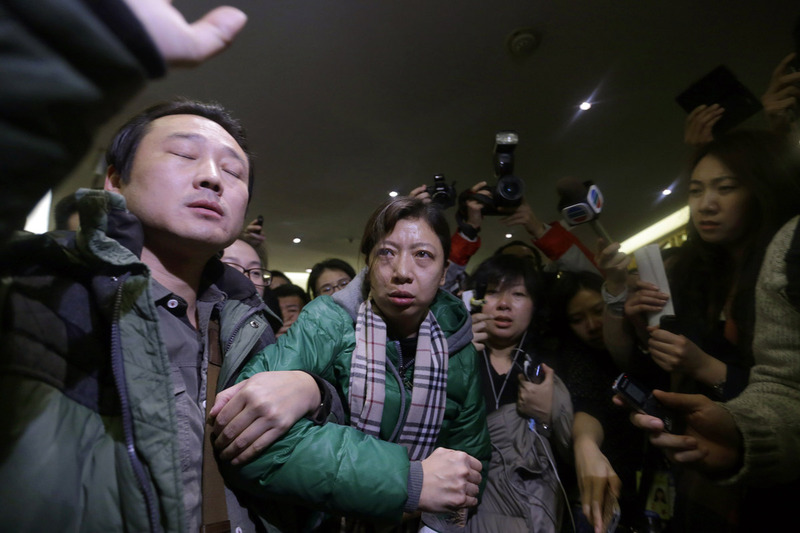 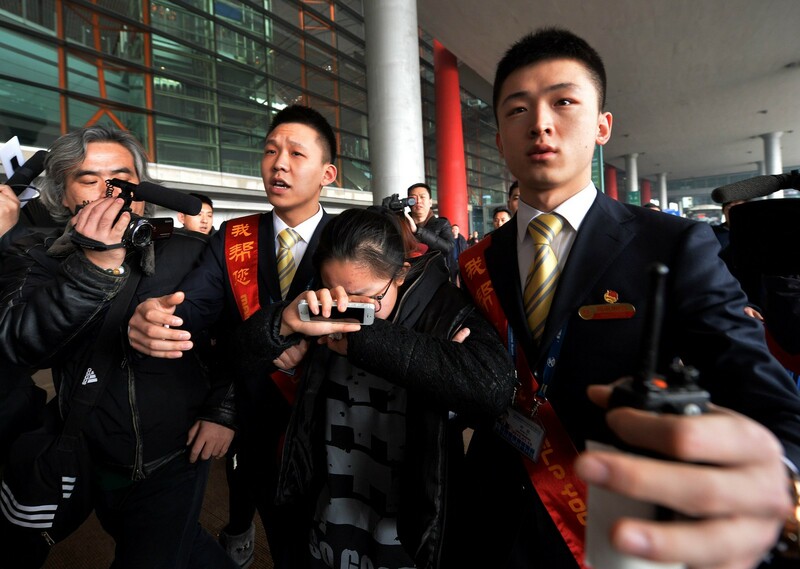 "Such reports are invalid," he was commenting on a report, which also indicated police was focusing on a Chinese national, who was among the passengers on the flight. 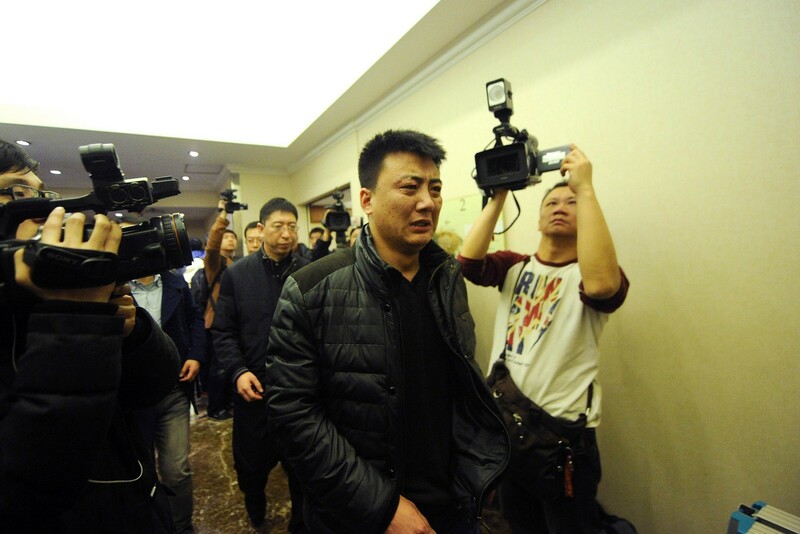 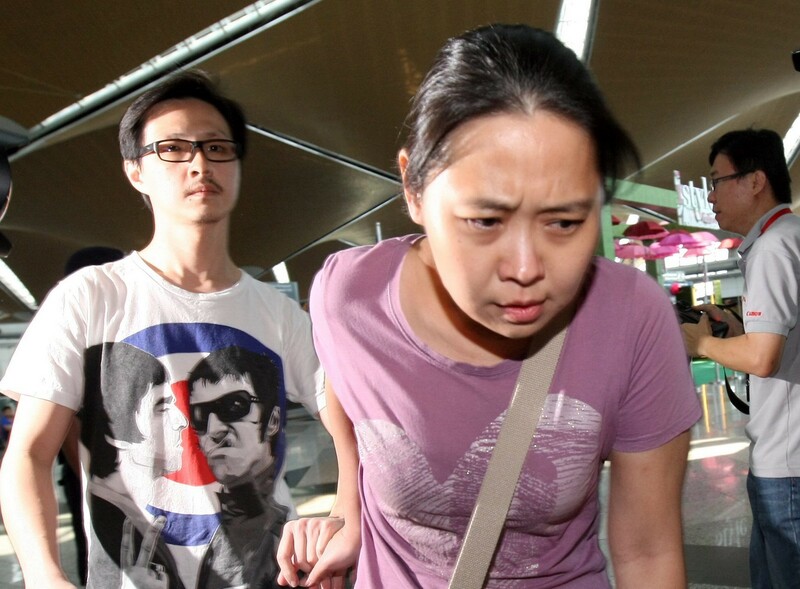 The report stated that police raided the home of one of the crew members and questioned the family members. 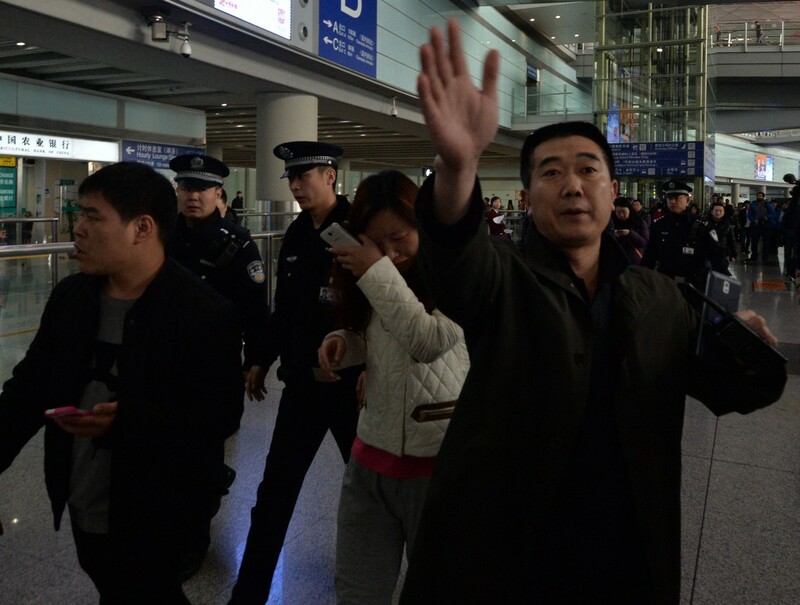 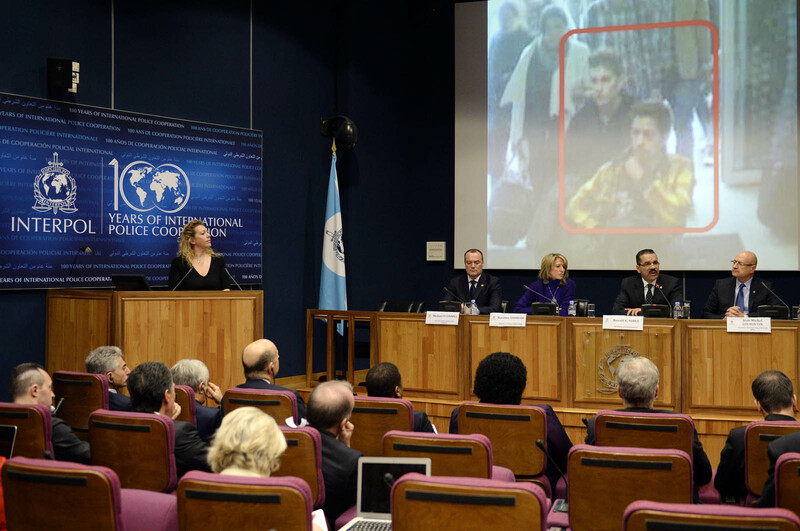 It also reported that the Uighur was investigated because of his background. 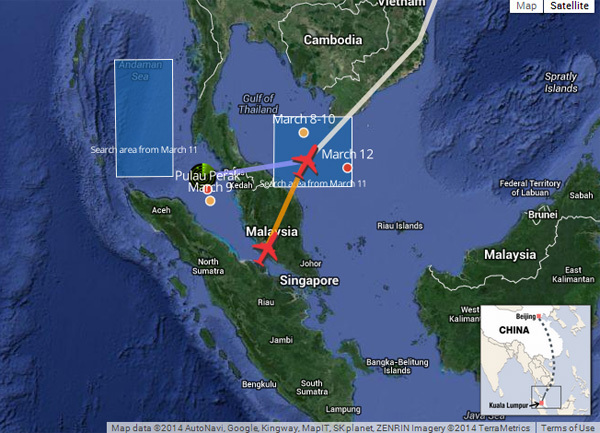 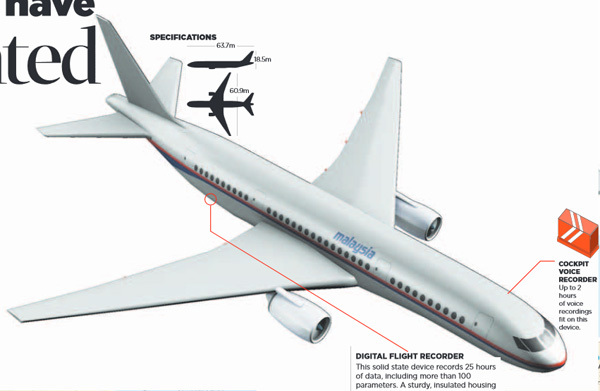 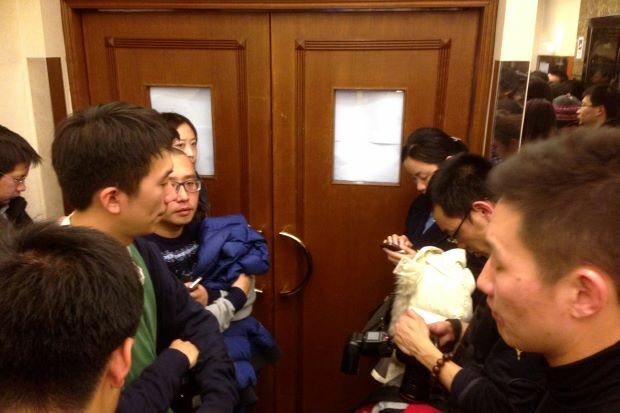 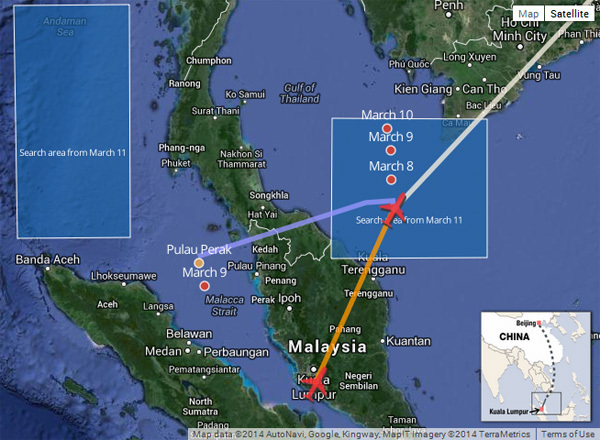 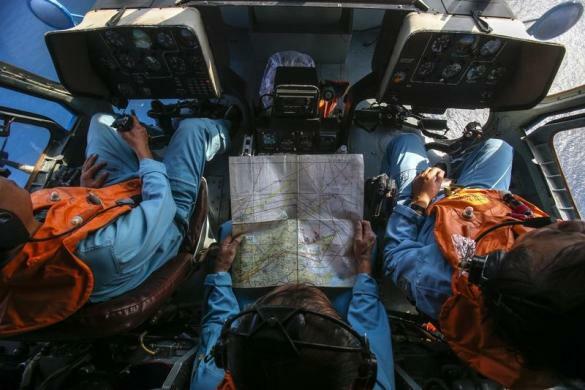 Confirmation that a missing Malaysian airliner was deliberately diverted suggests several scenarios that will sharpen scrutiny of the cockpit crew and passengers known to have boarded with stolen passports. 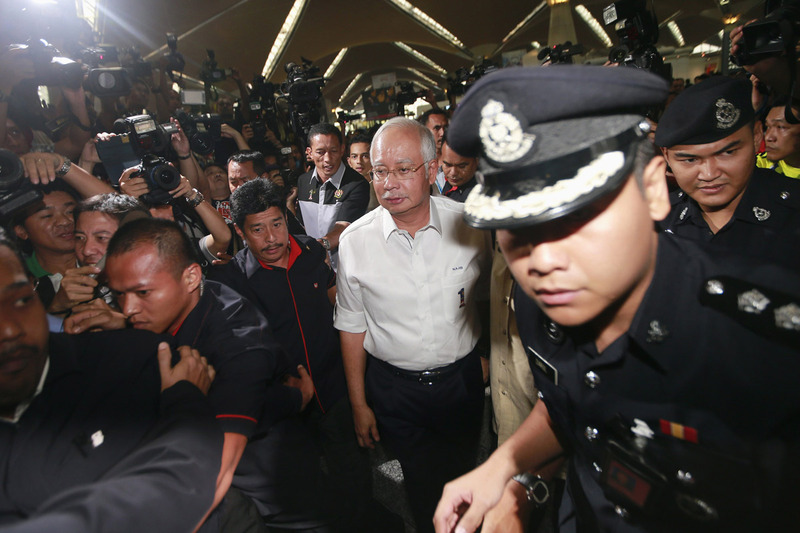 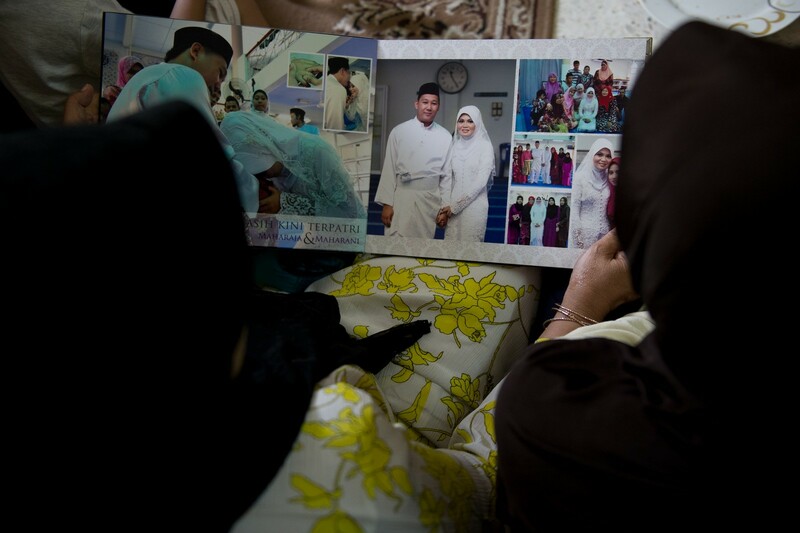 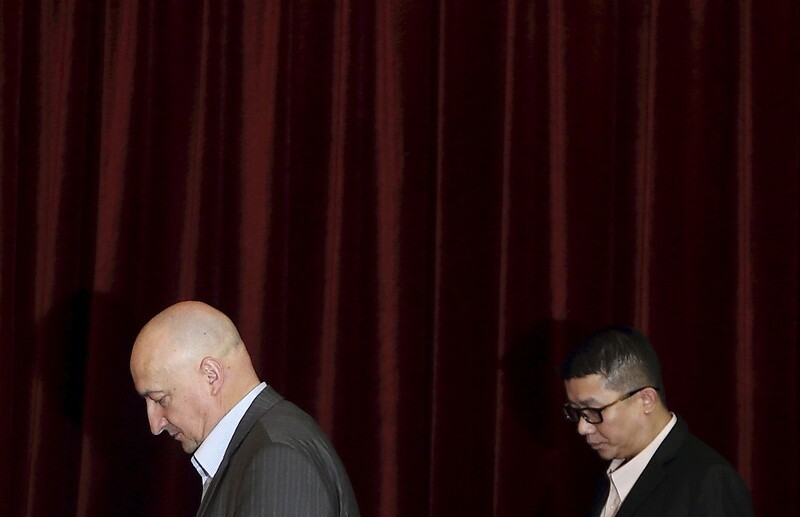 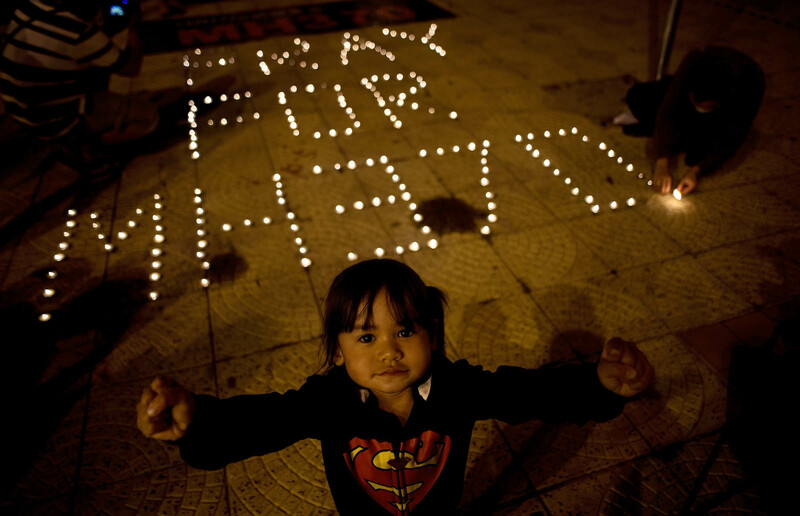 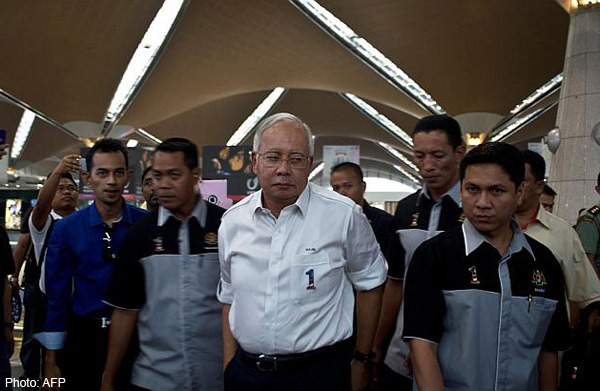 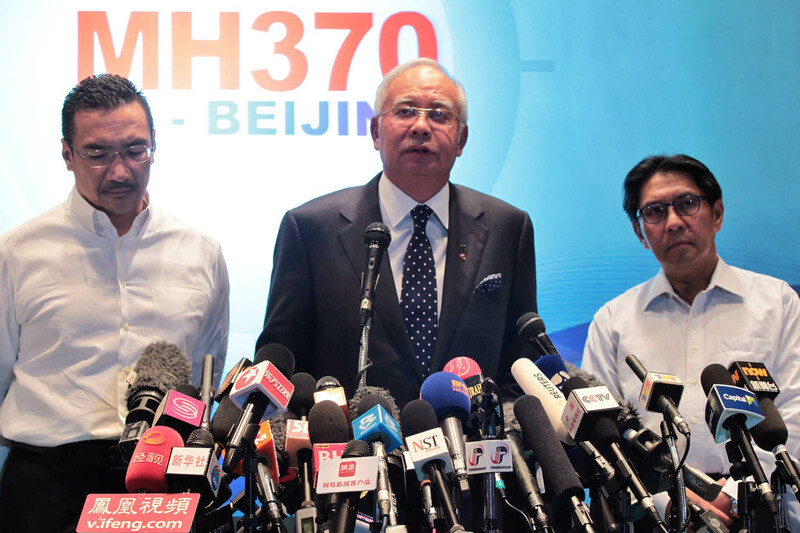 Malaysian Prime Minister Najib Razak said on Saturday that the movements of the missing plane were consistent with a deliberate act by someone who turned the jet back across Malaysia and onwards to the west. 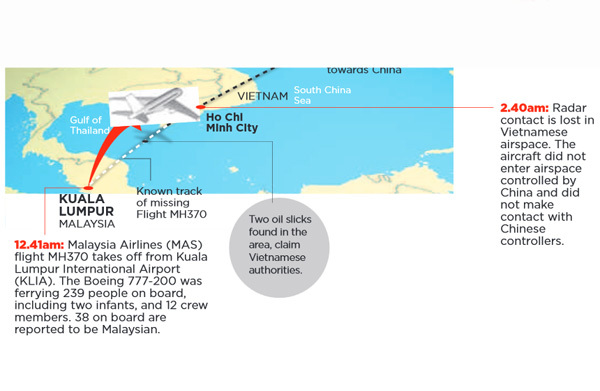 "These movements are consistent with deliberate action by someone on the plane," he said, adding that investigators had consequently "refocused their investigation into crew and passengers on board." 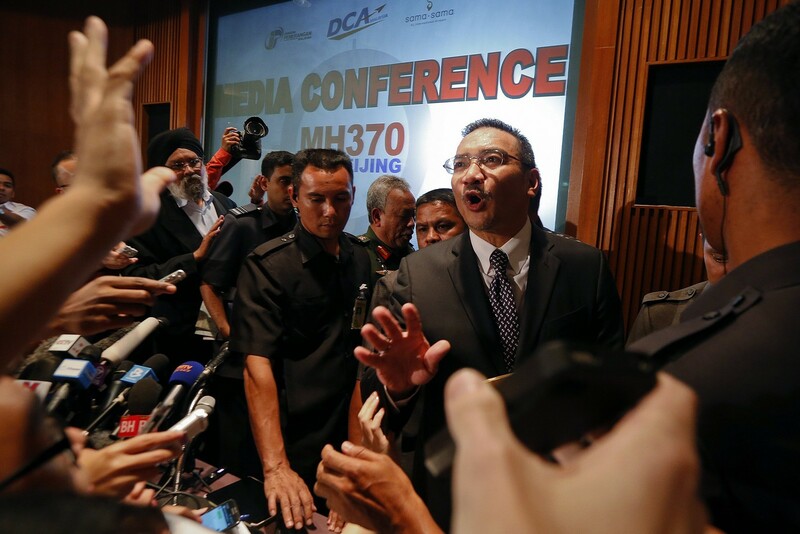 Department of Civil Aviation (DCA) Director General Datuk Azharuddin Abdul Rahman speaks at the news conference. 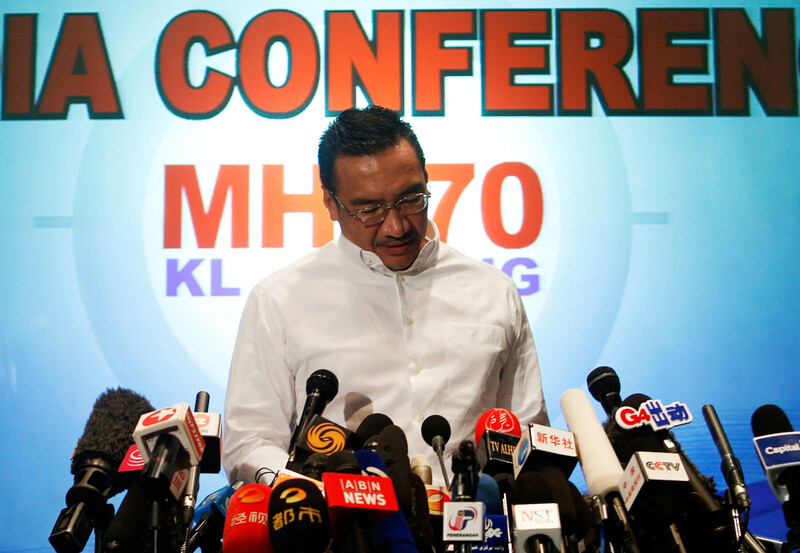 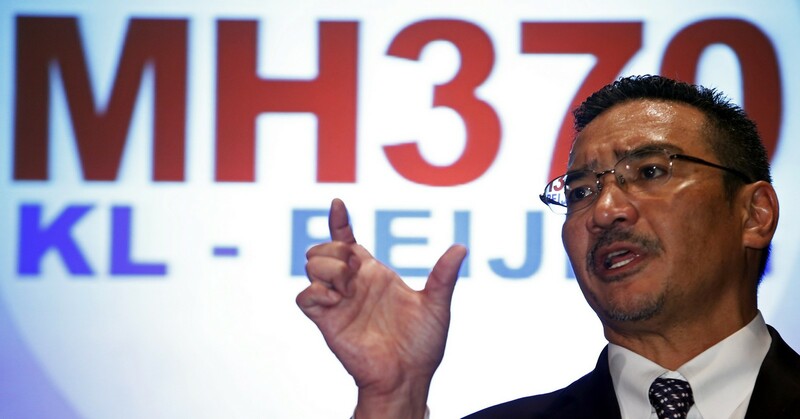 Malaysia's acting Transport Minister Hishammuddin Tun Hussein (C) speaks during a news conference about the missing Malaysia Airlines flight MH370, at Kuala Lumpur International Airport March 13, 2014. 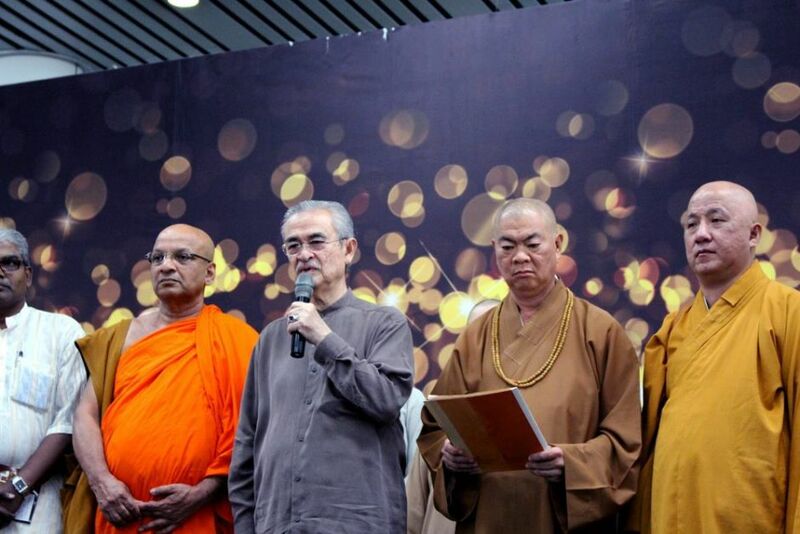 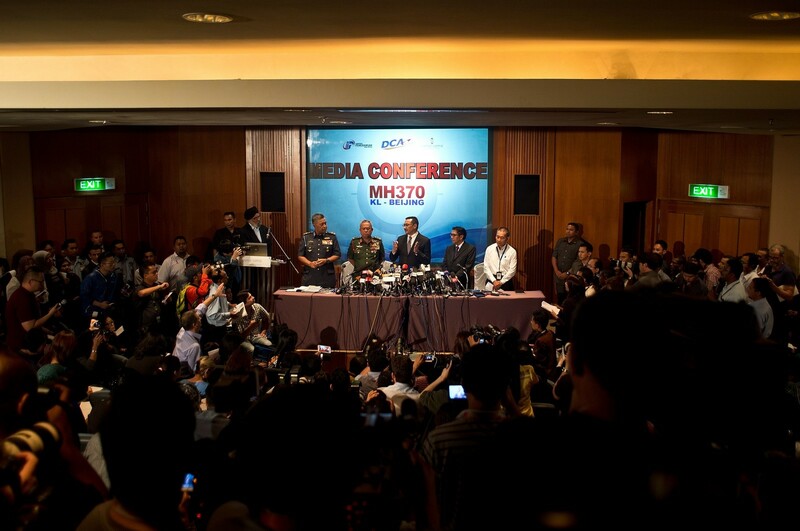 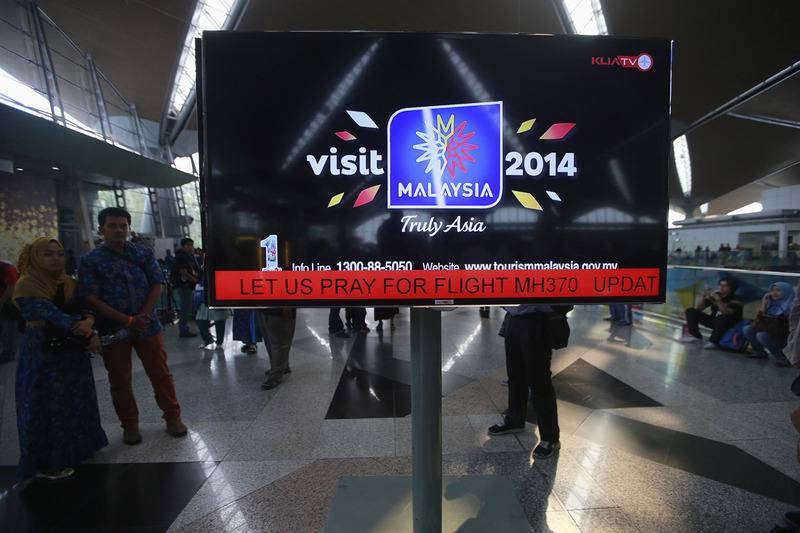 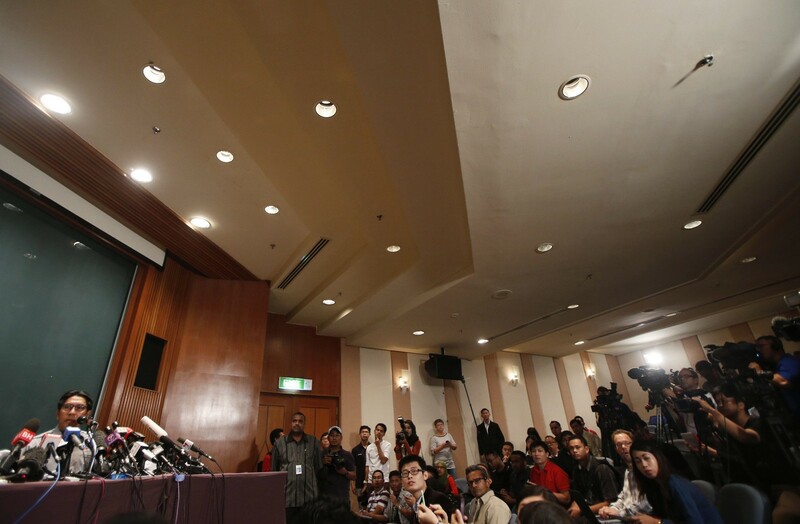 A news conference at a hotel near Kuala Lumpur International Airport in Sepang on March 13, 2014. 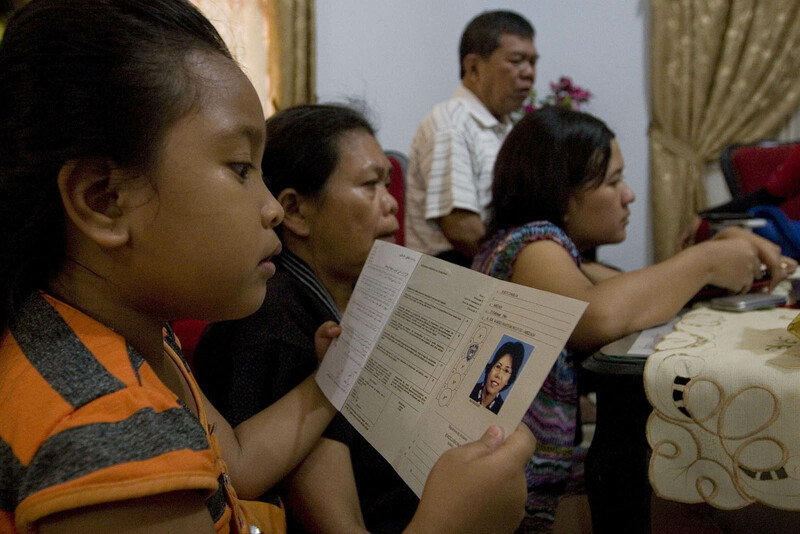 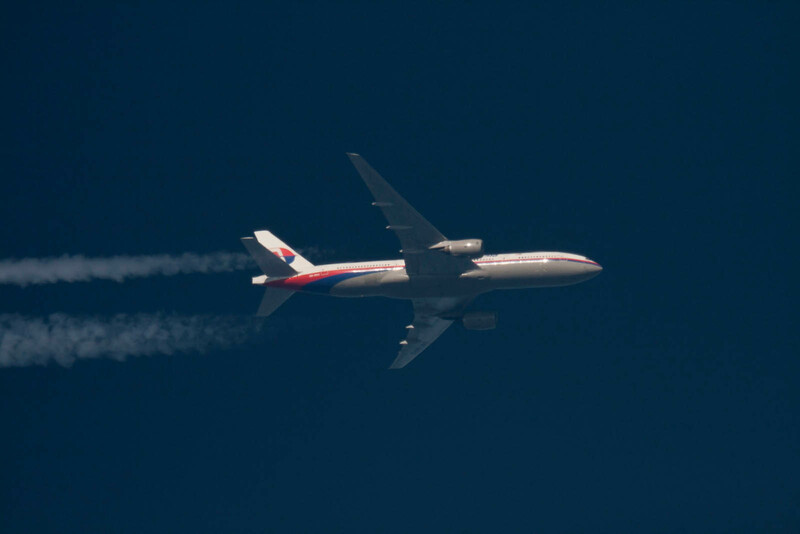 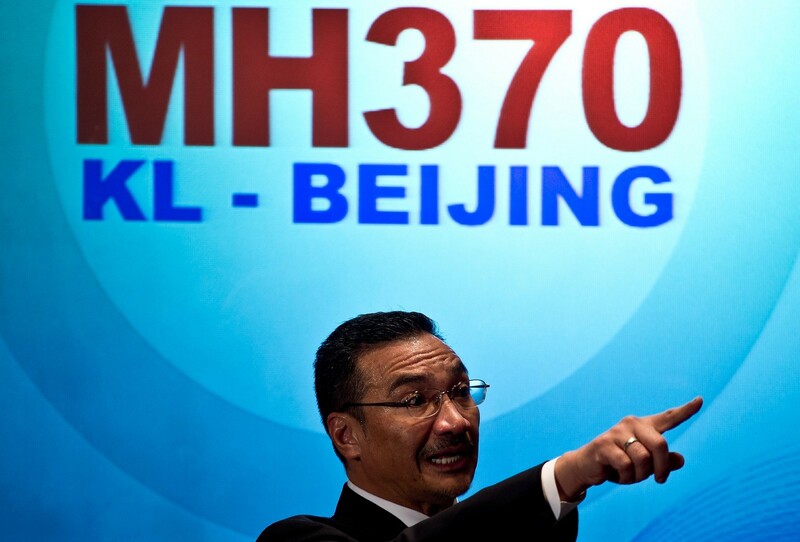 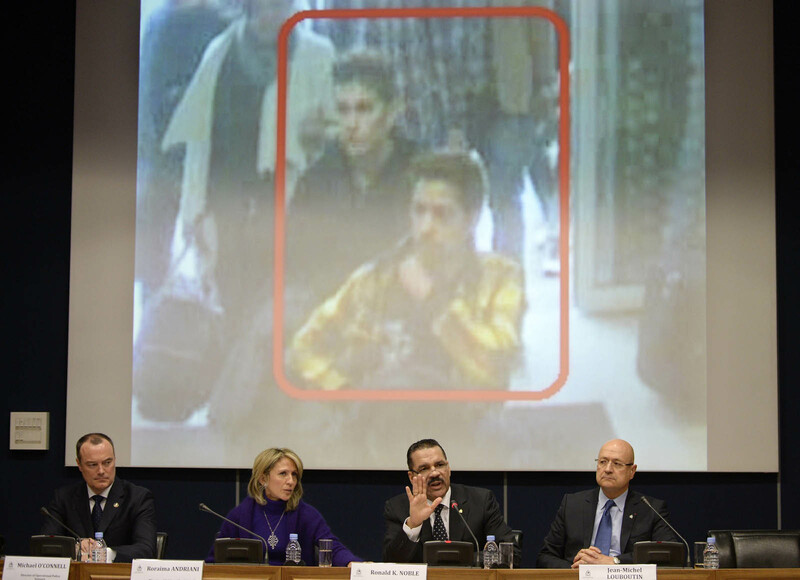 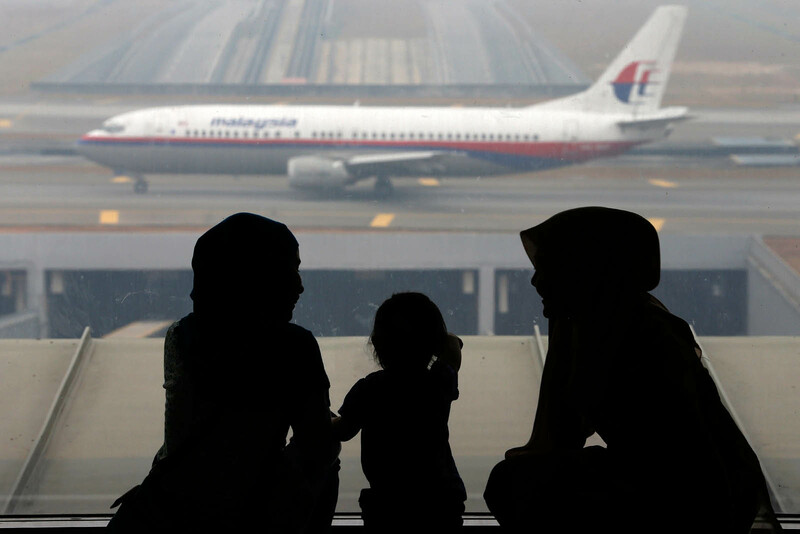 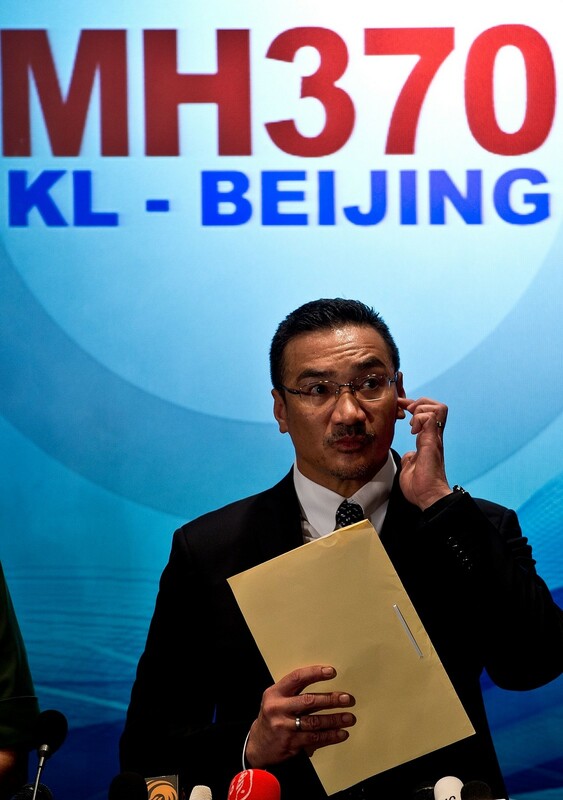 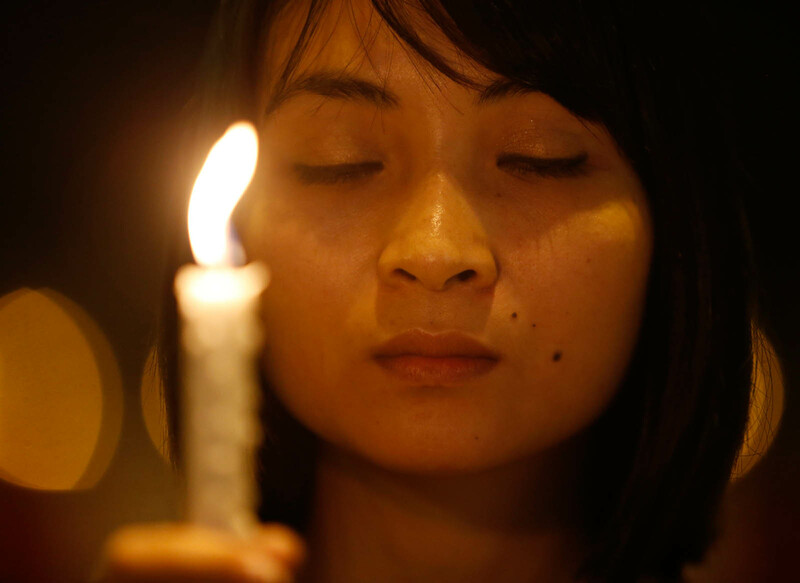 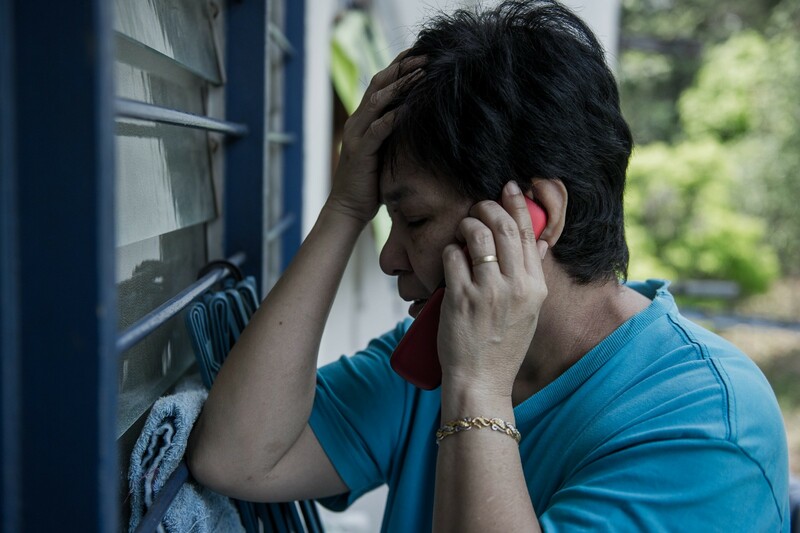 Malaysia's Acting Transport Minister Hishammuddin Hussein said Wednesday that there was no chaos in Malaysia's handling of the search for the missing Malaysia Airlines jetliner. 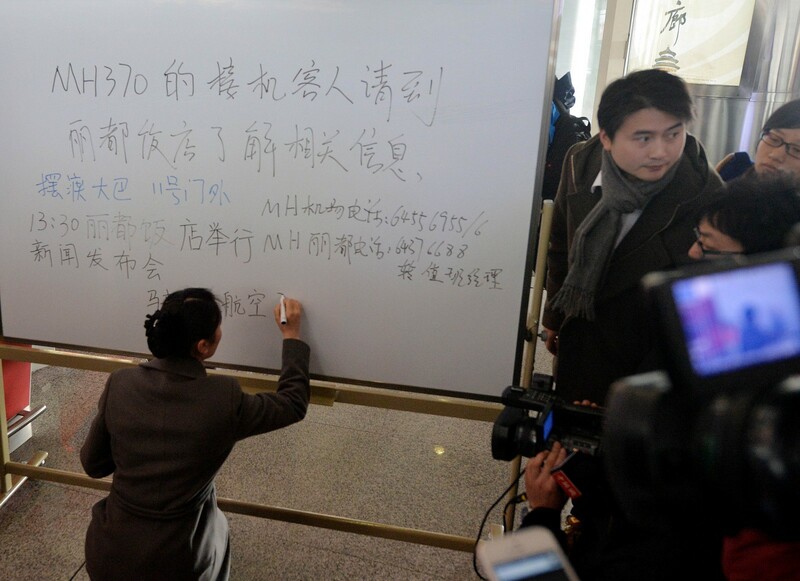 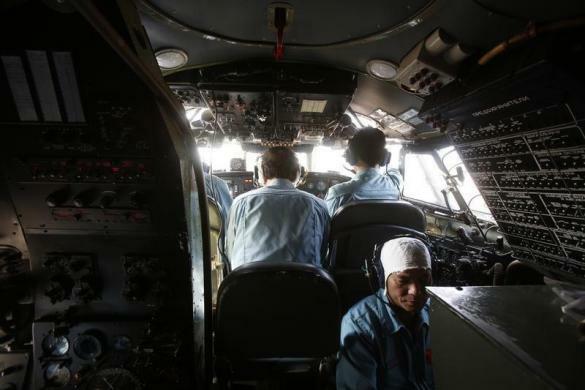 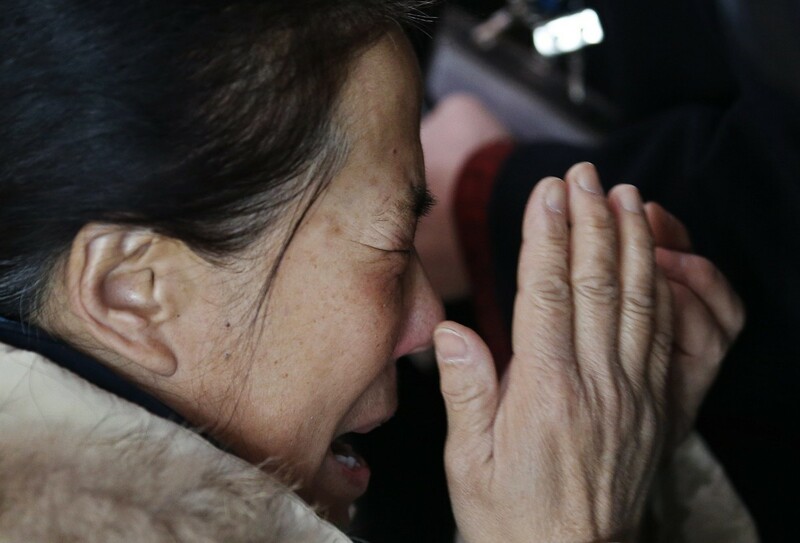 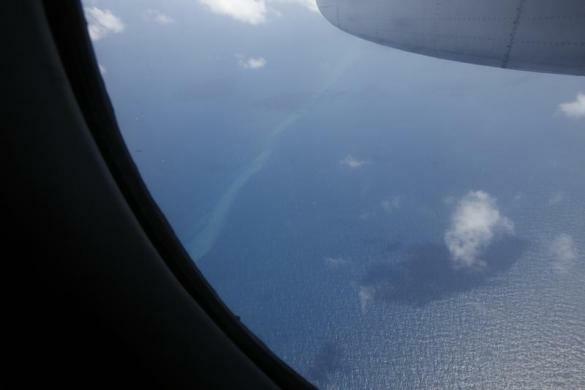 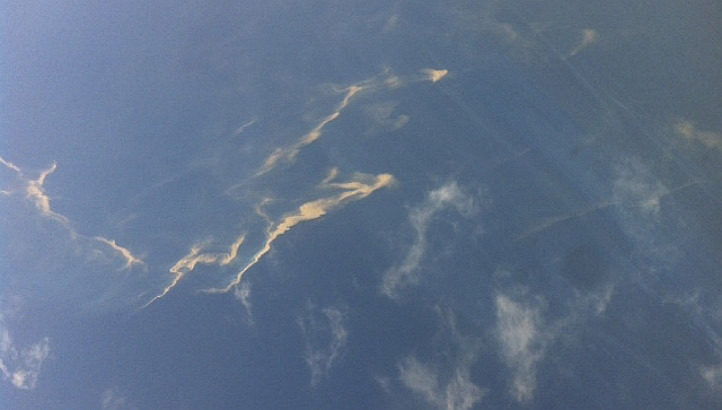 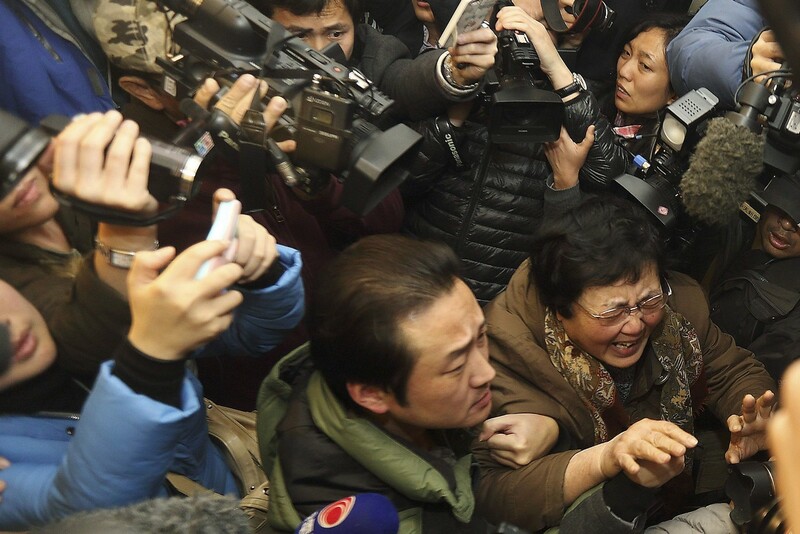 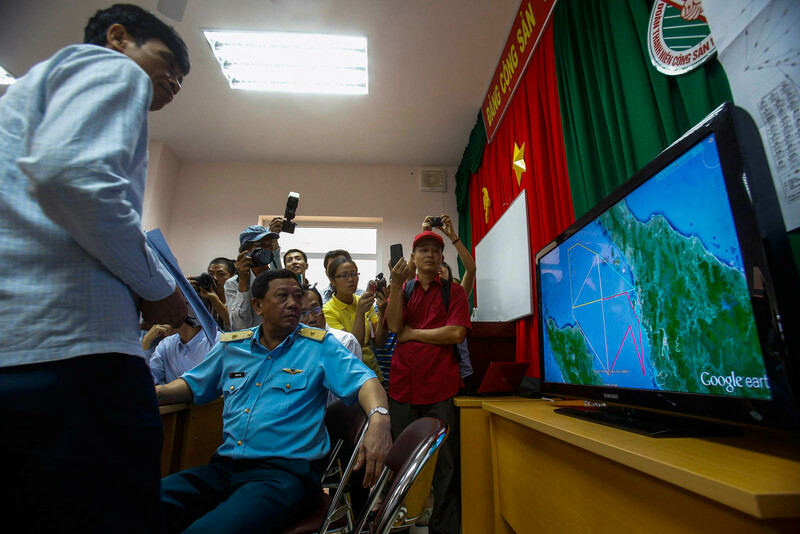 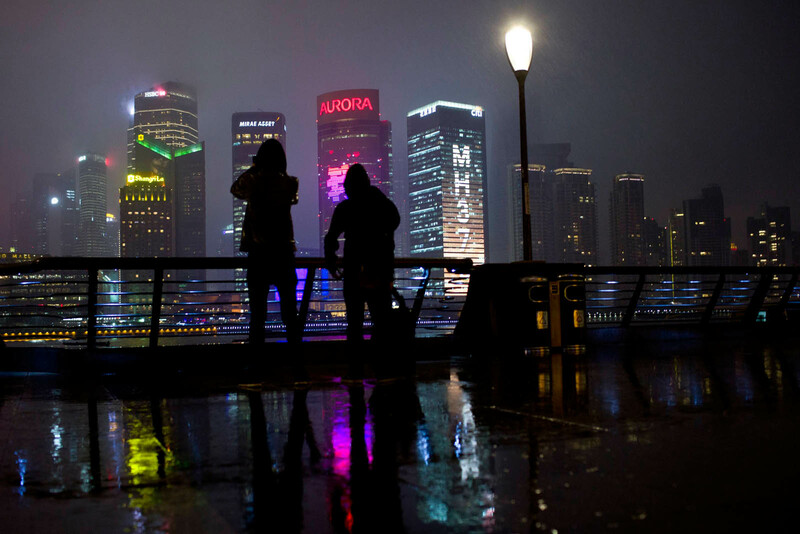 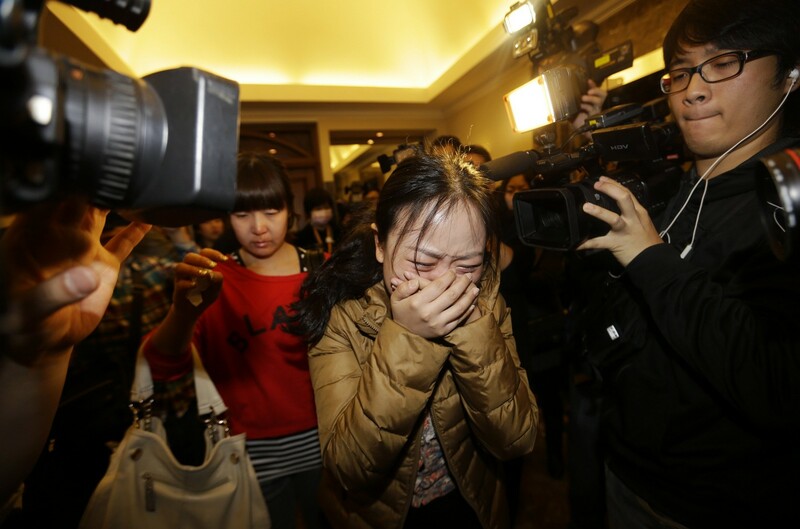 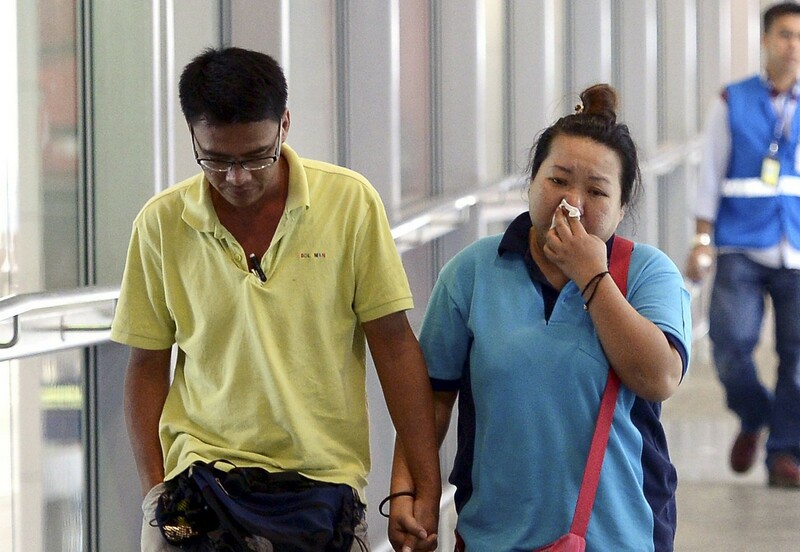 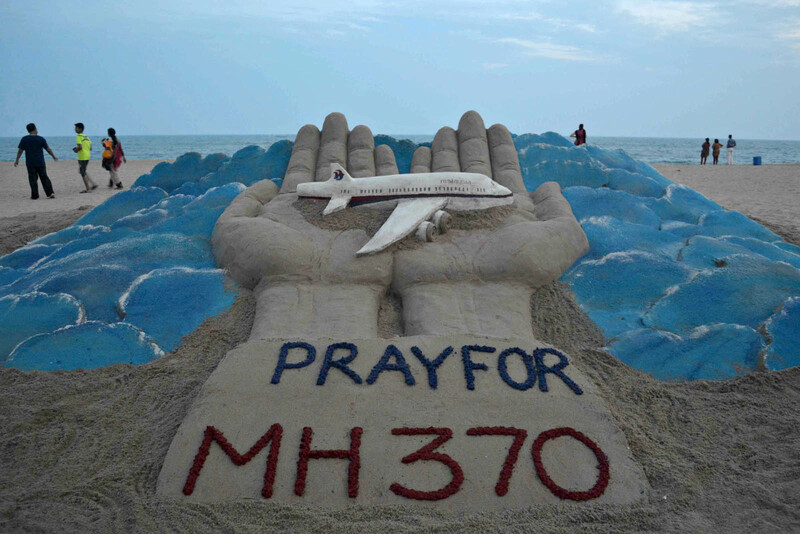 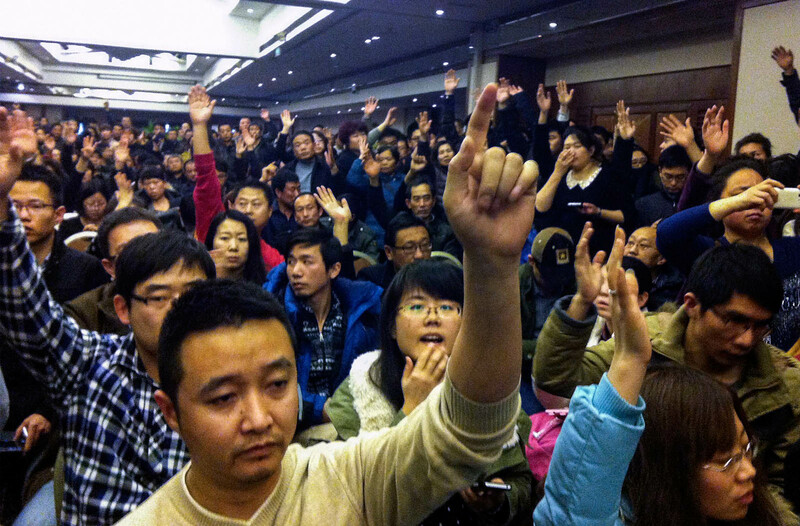 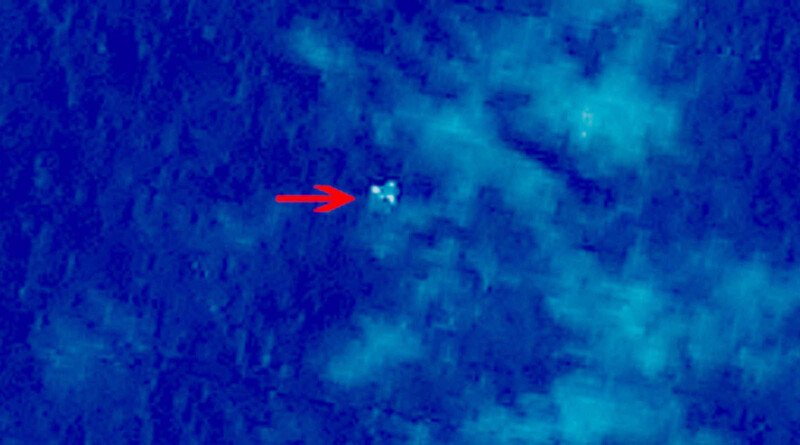 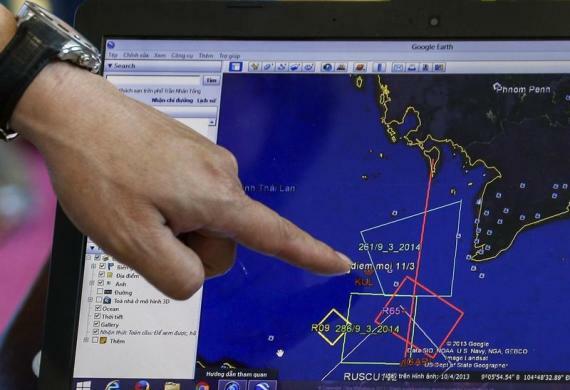 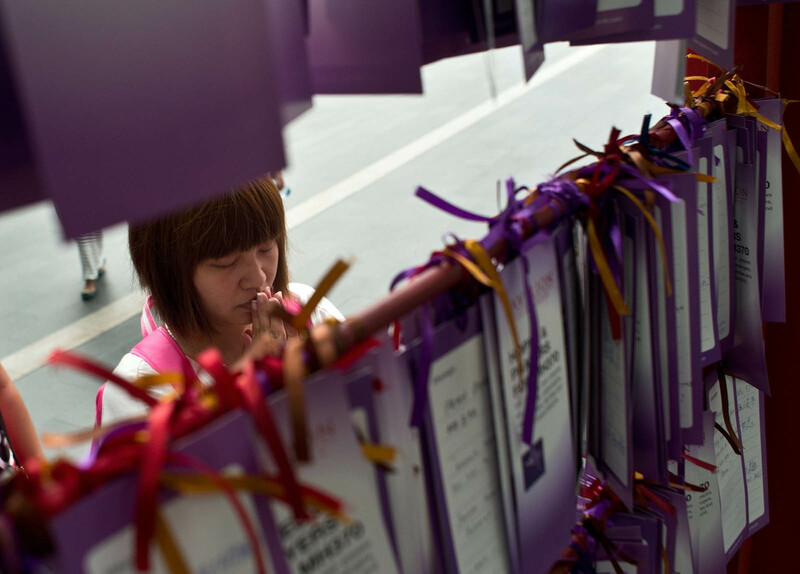 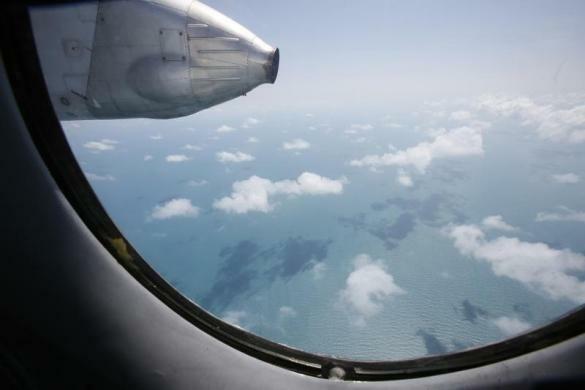 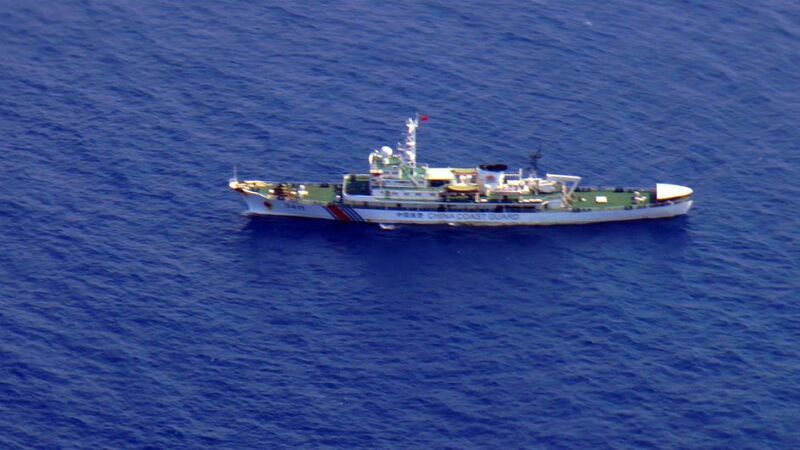 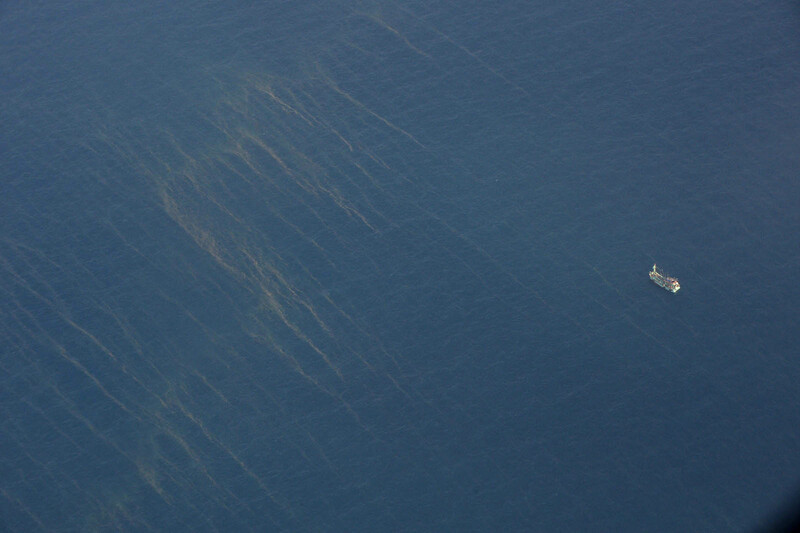 The search for the missing Malaysia Airlines Boeing 777 jetliner expanded on Wednesday to cover a swathe of Southeast Asia, from the South China Sea to India's territorial waters, with authorities no closer to explaining what happened to the plane or the 239 people on board. 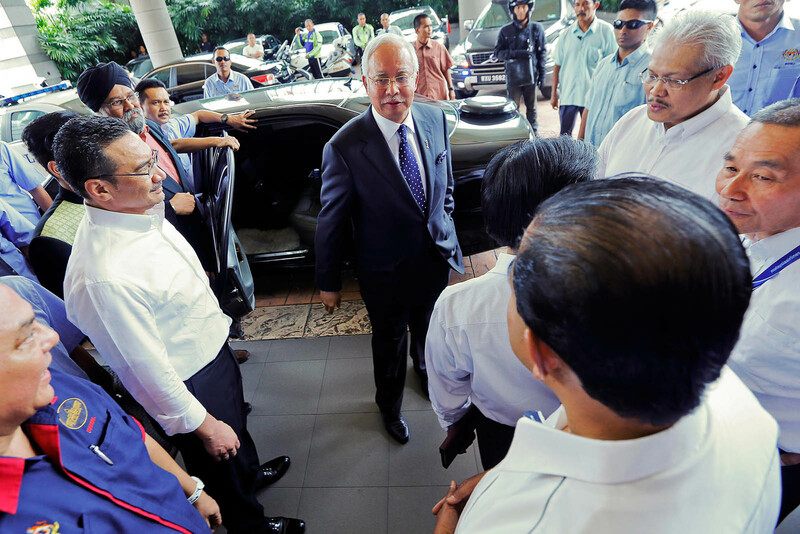 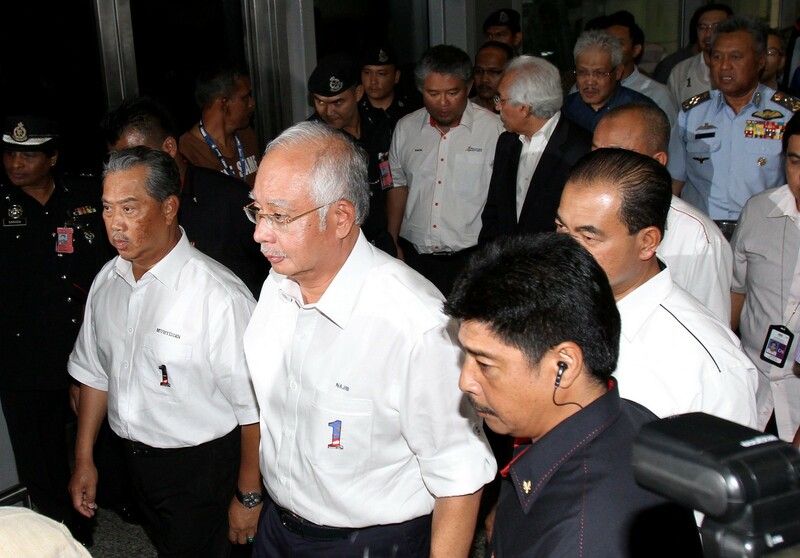 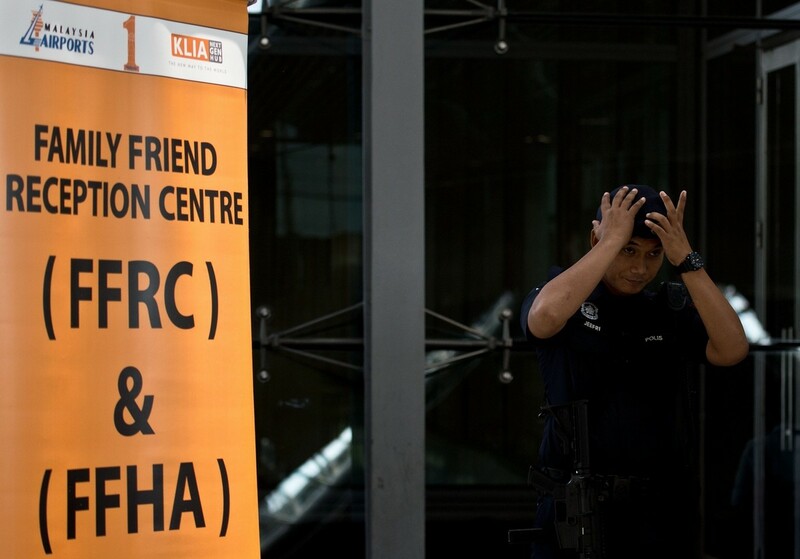 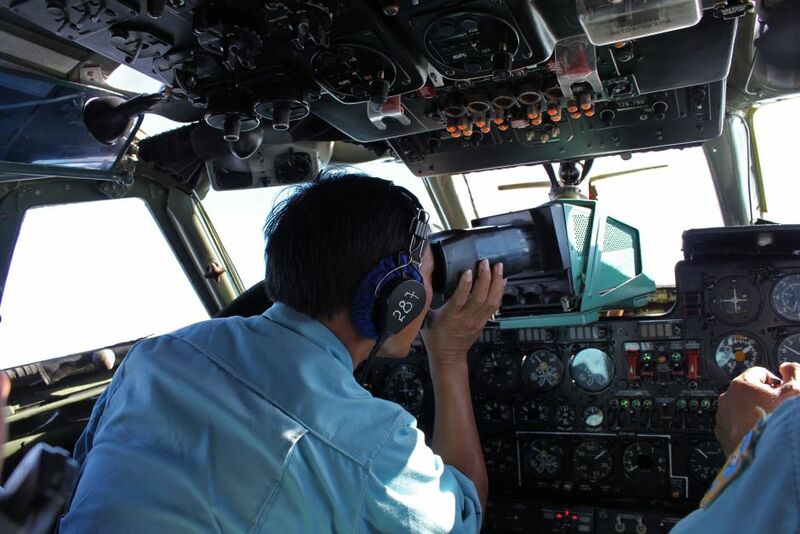 He said Prime Minister Najib Razak had announced on Saturday itself that the search operations would be expanded to the west of Peninsular Malaysia after a review of the military radar showed that the flight MH370 may have tried to turn back. 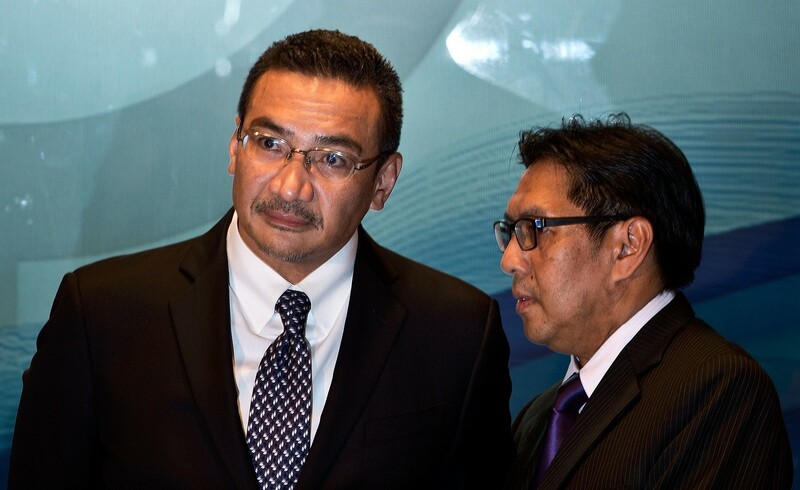 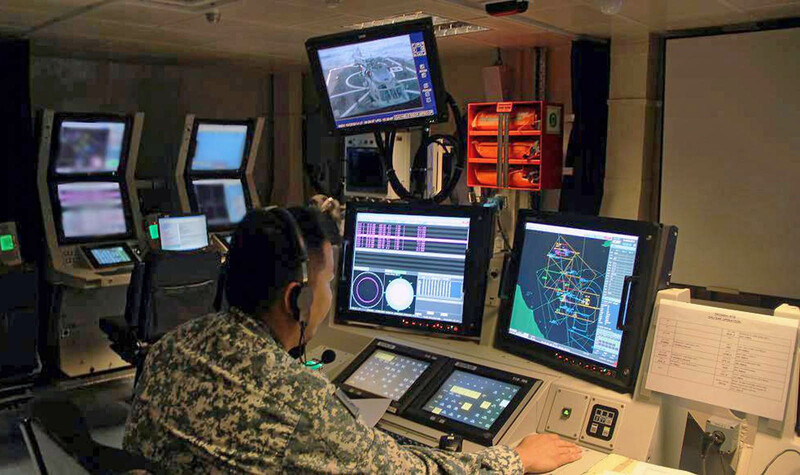 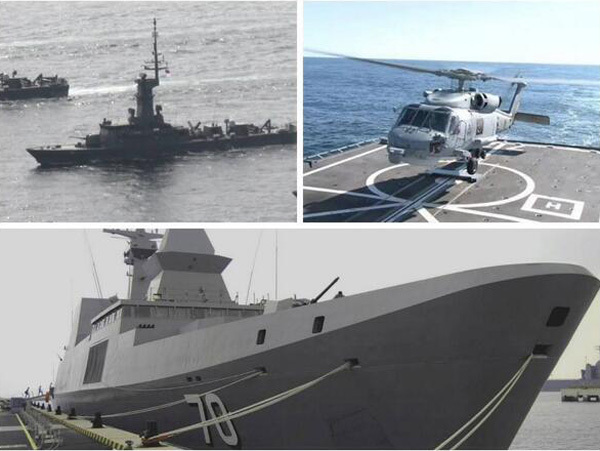 Mr Hishammuddin said this was done even while the military radar findings were still being analysed by experts and corroborated with radars of neighbouring countries. 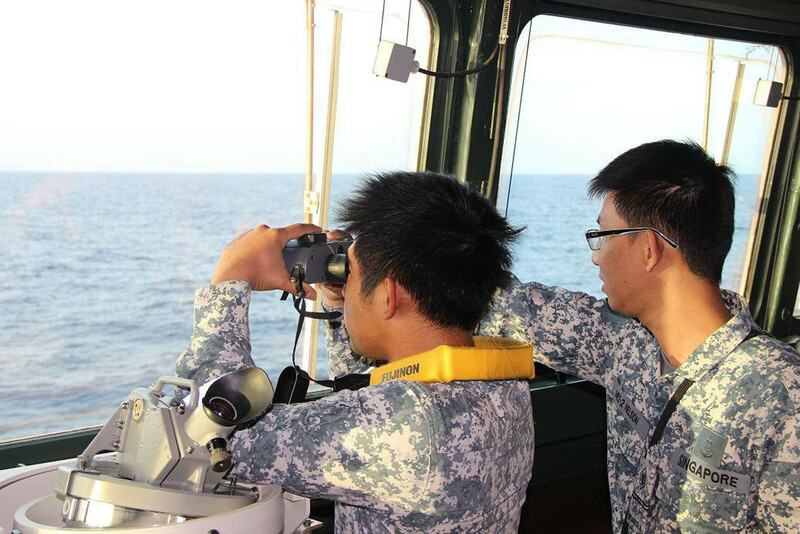 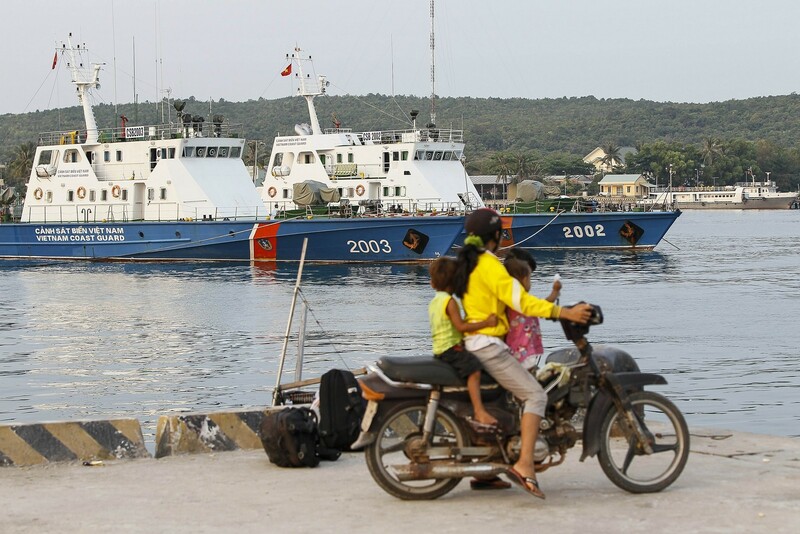 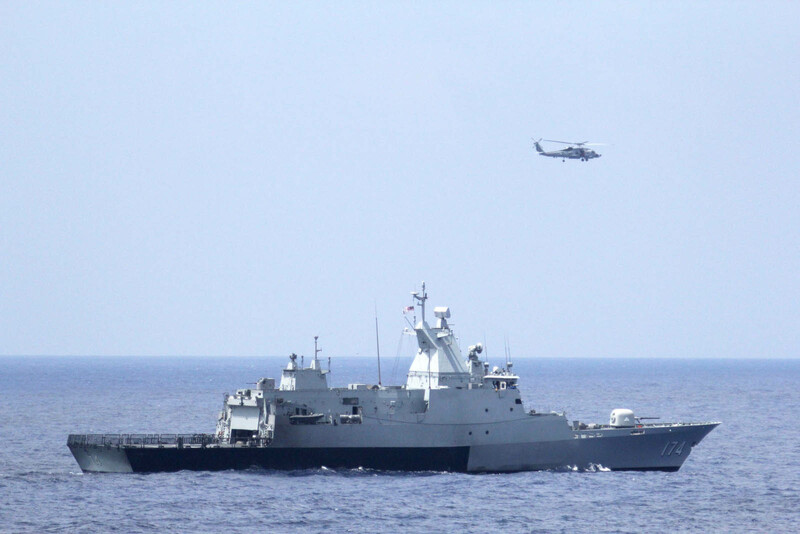 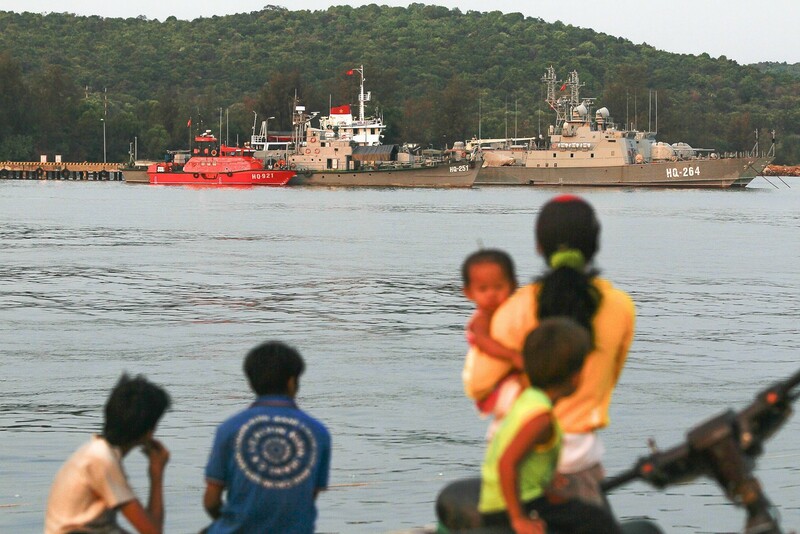 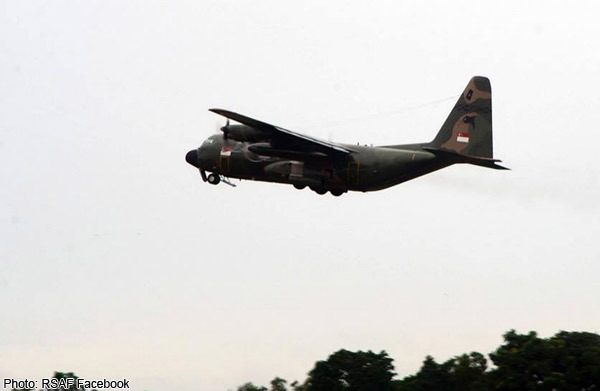 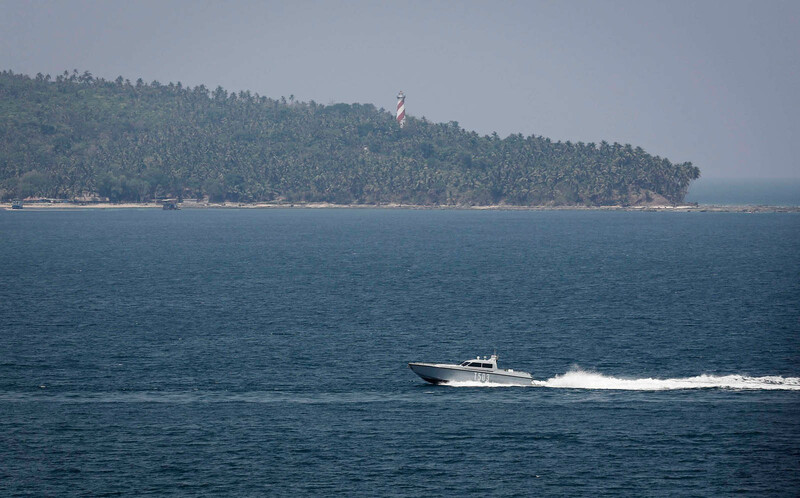 The Armed Forces chief Zulkefli Zin said although they were not sure what that blip on the military radar meant, they still sent ships and aircraft to scour the Straits of Malacca. 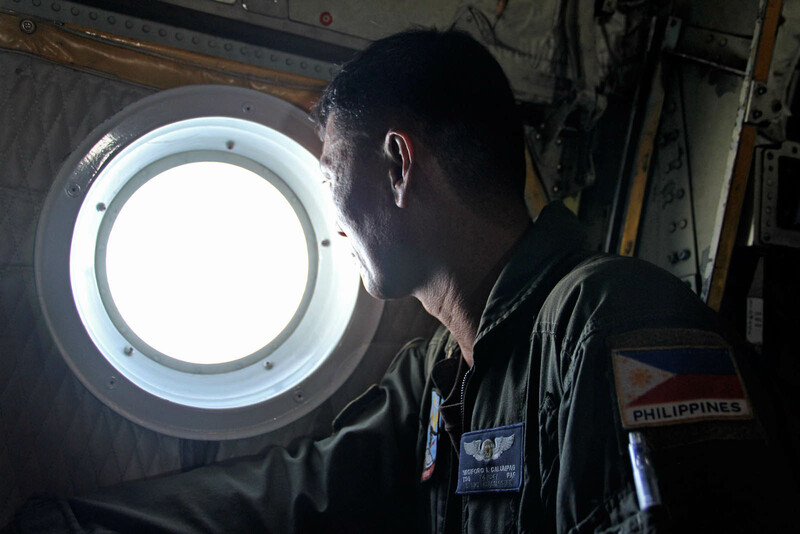 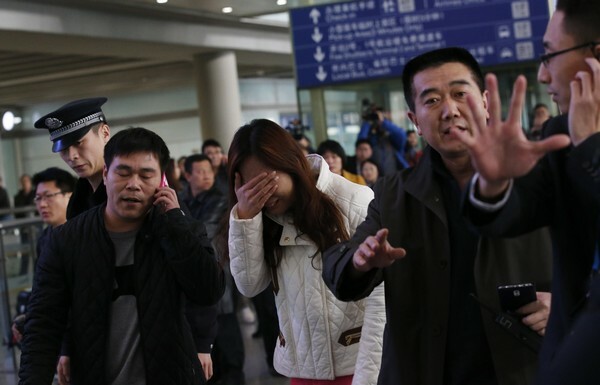 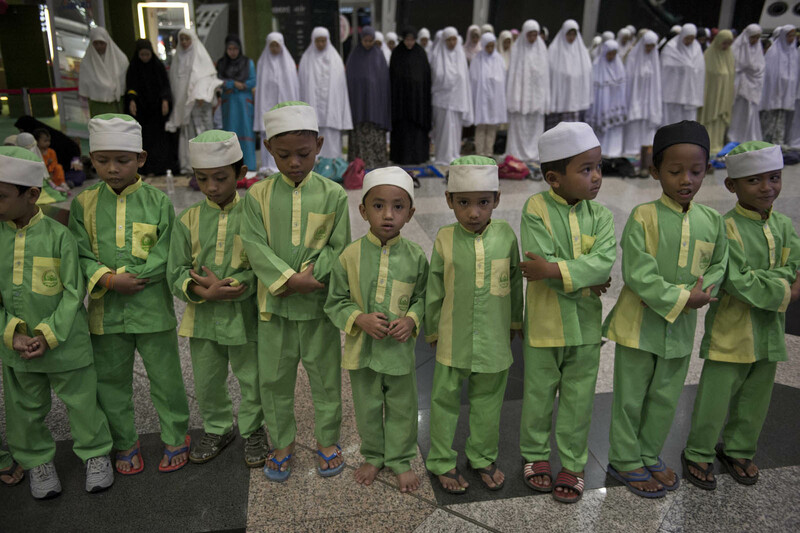 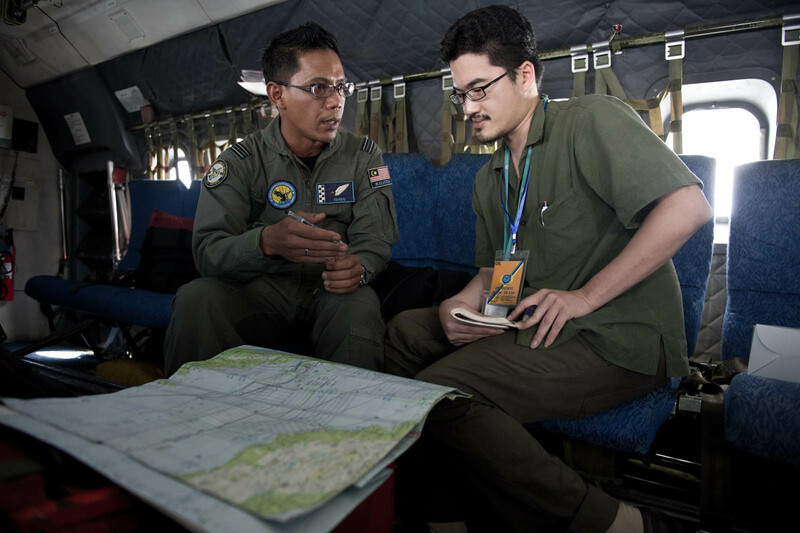 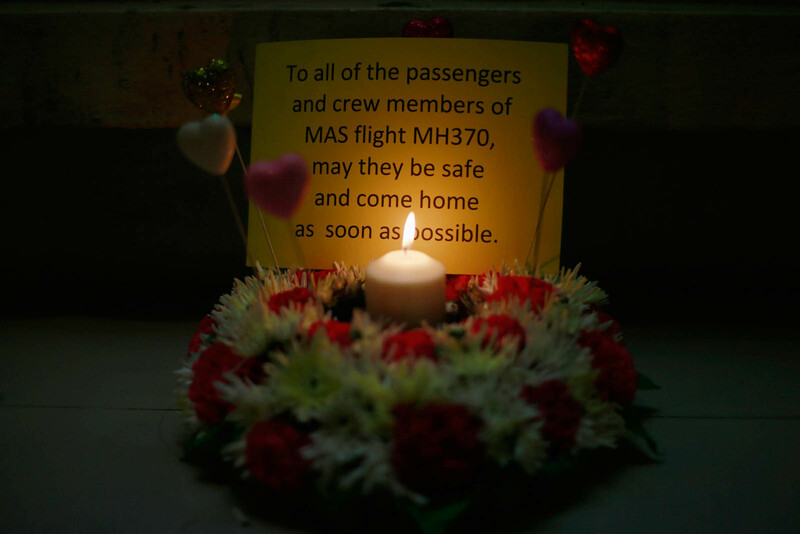 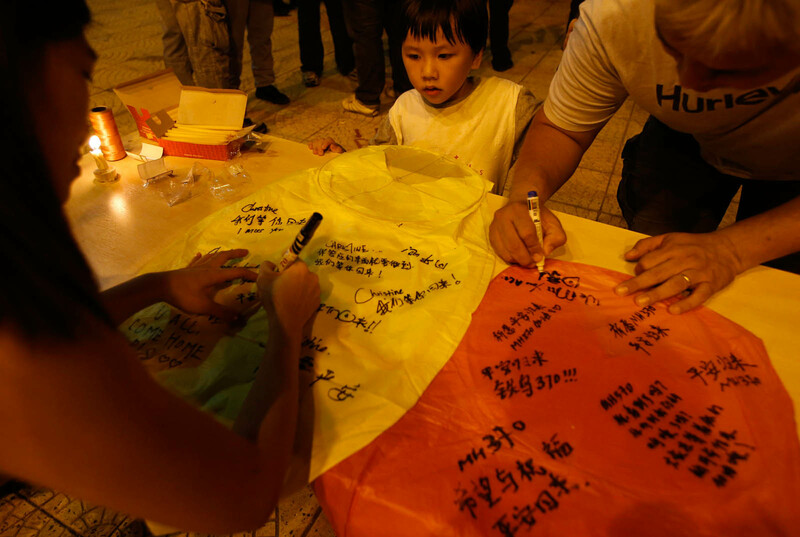 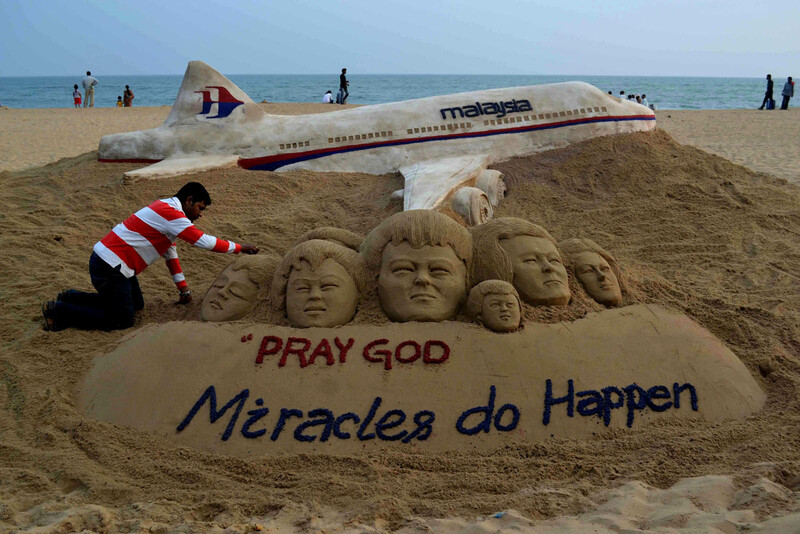 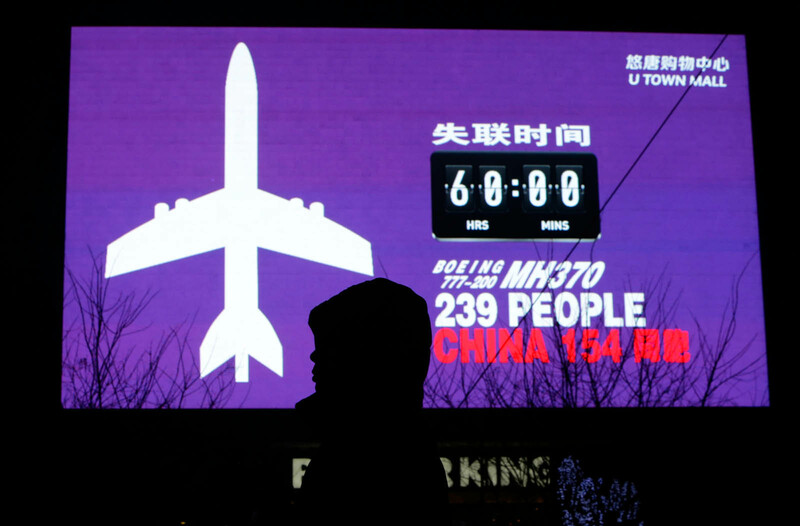 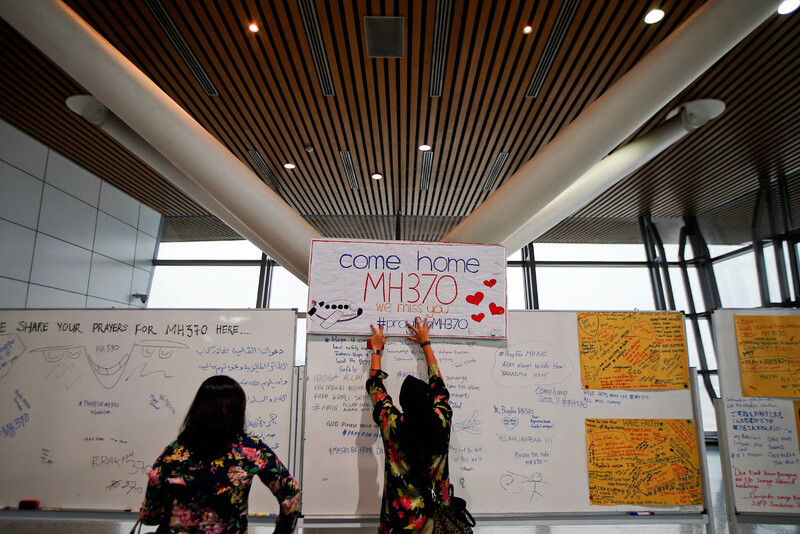 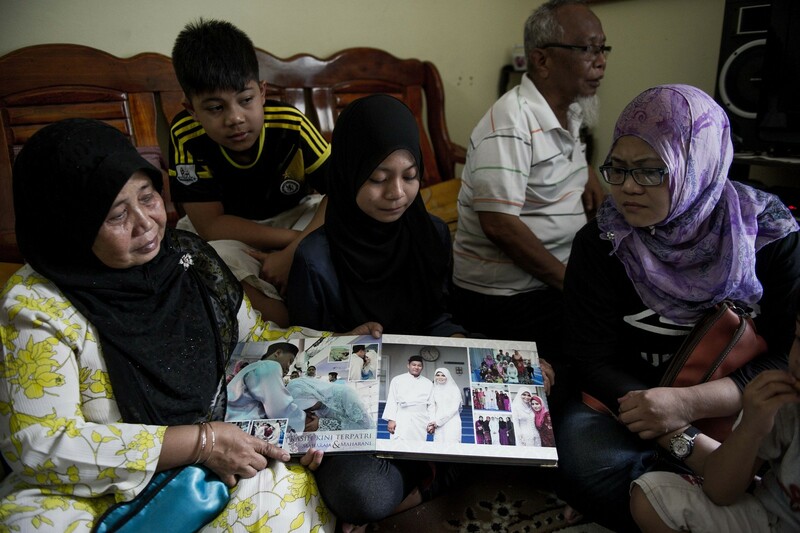 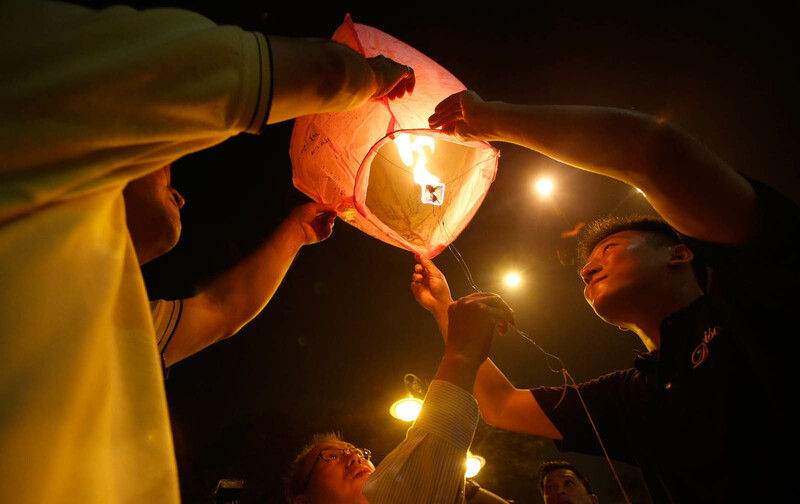 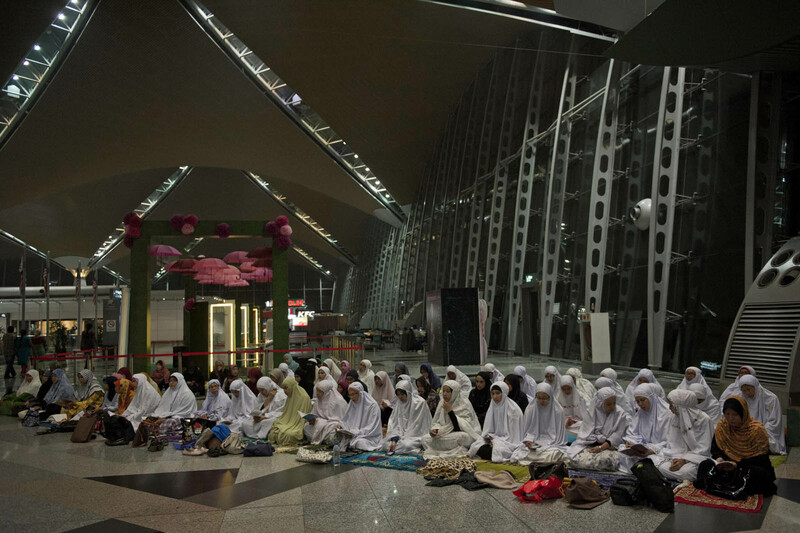 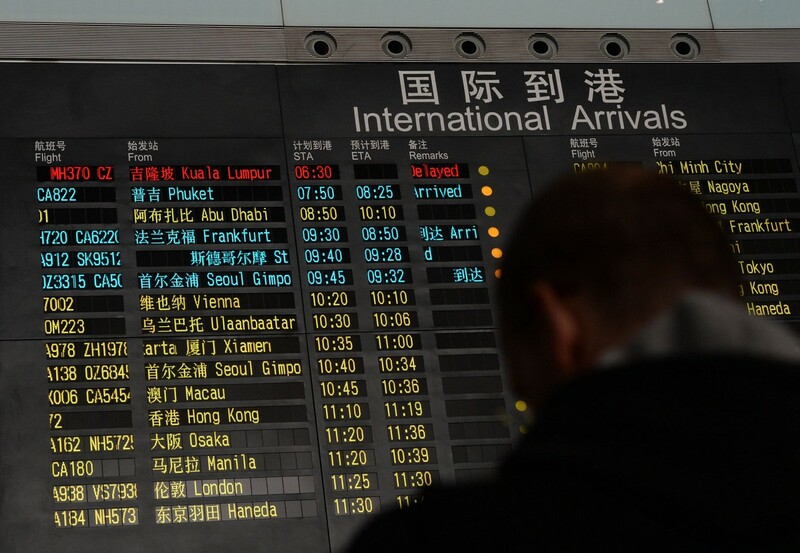 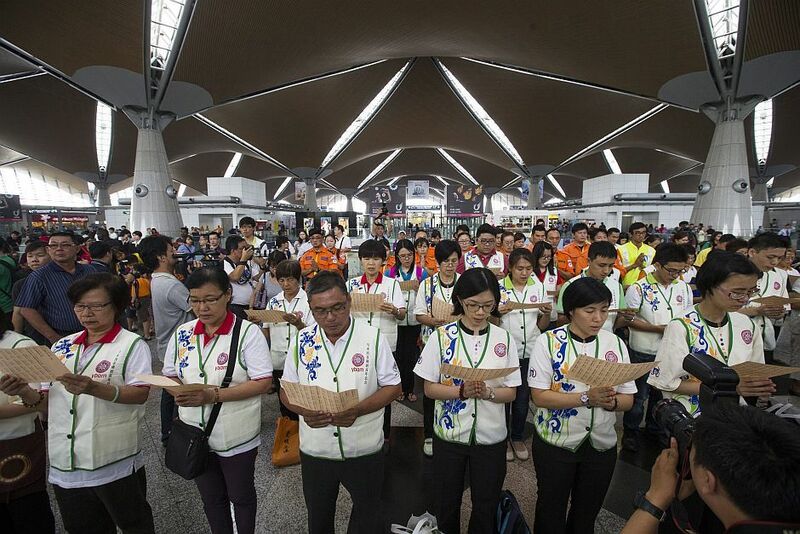 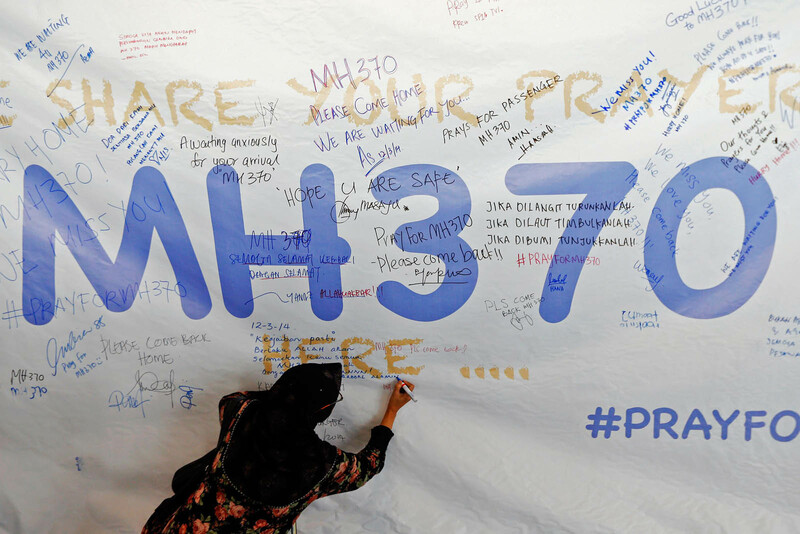 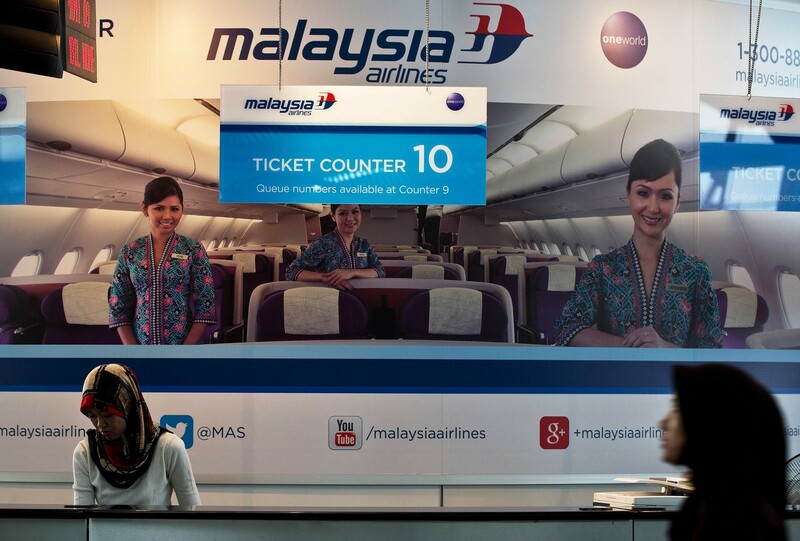 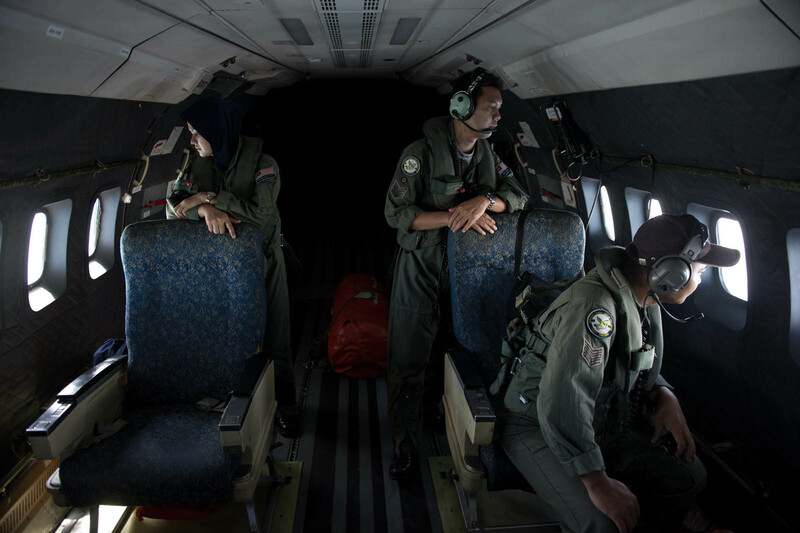 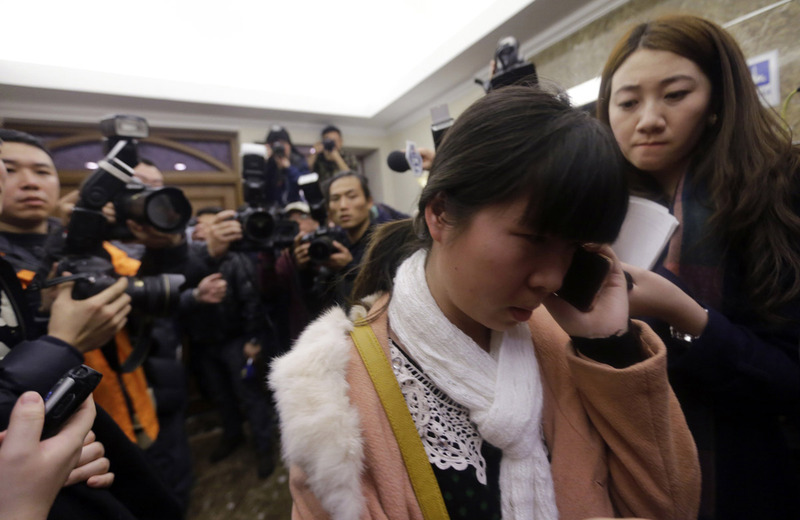 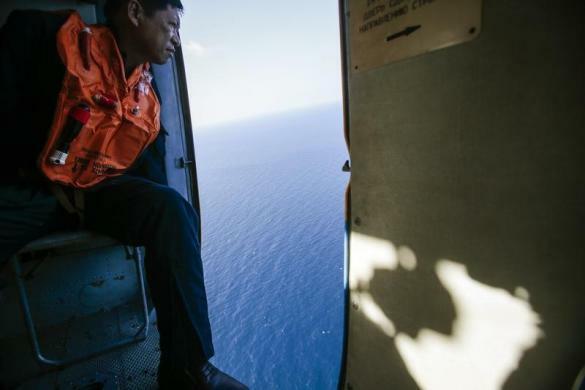 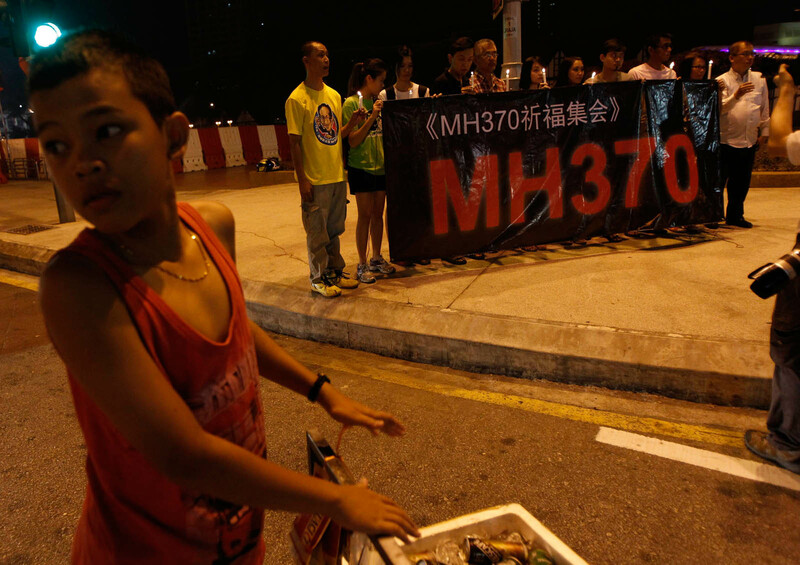 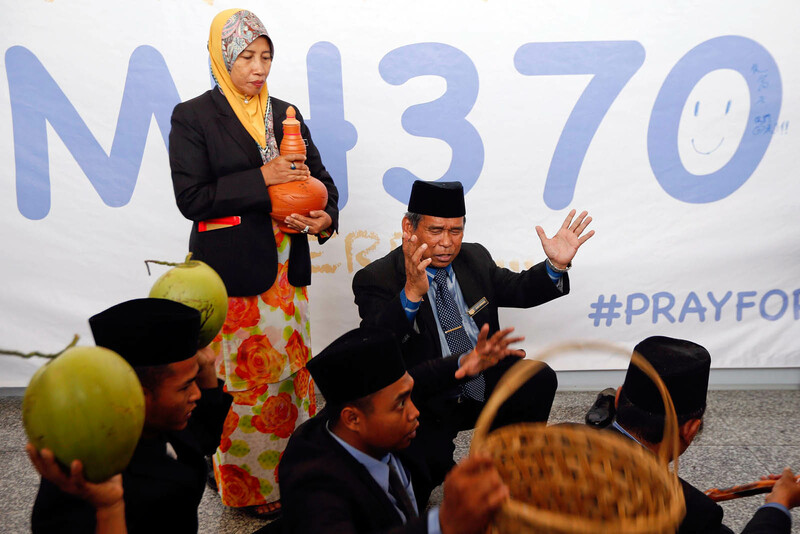 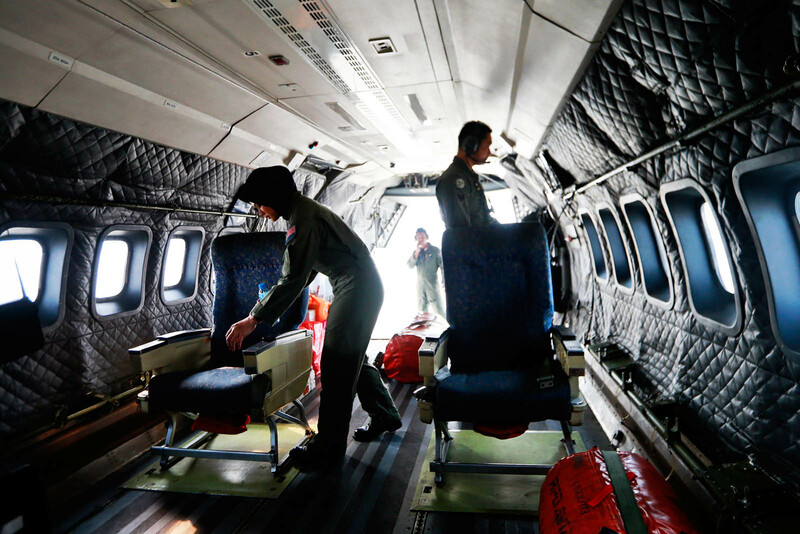 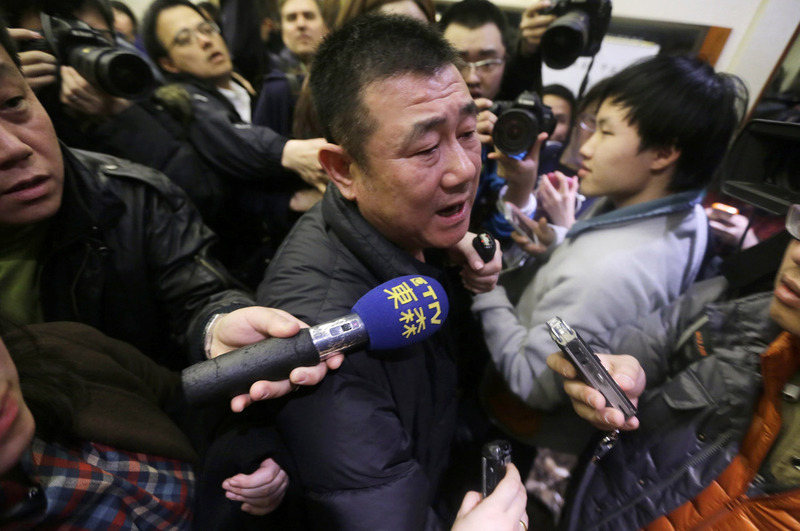 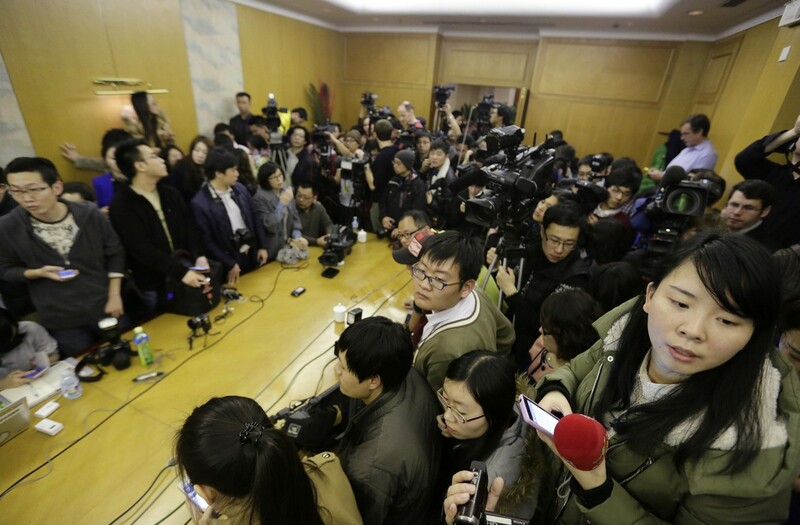 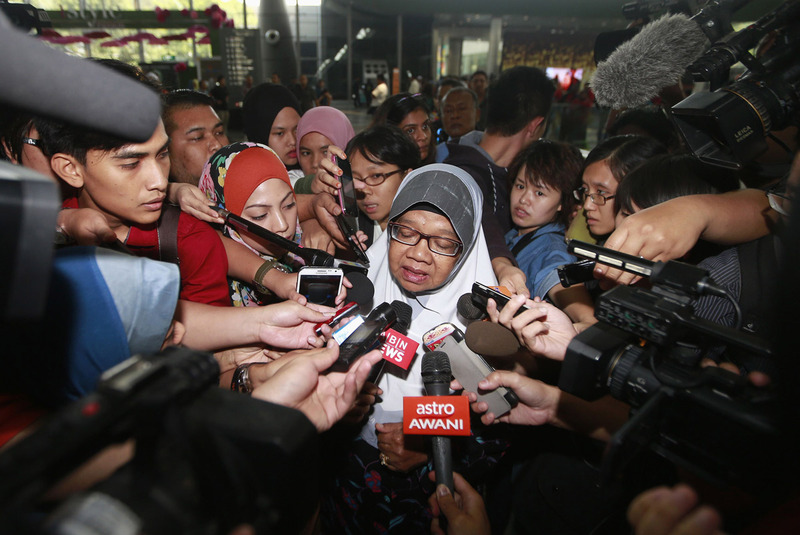 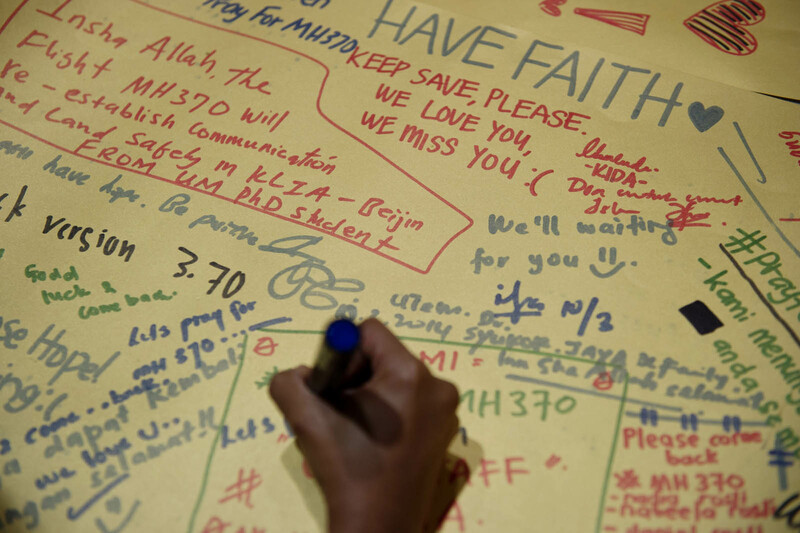 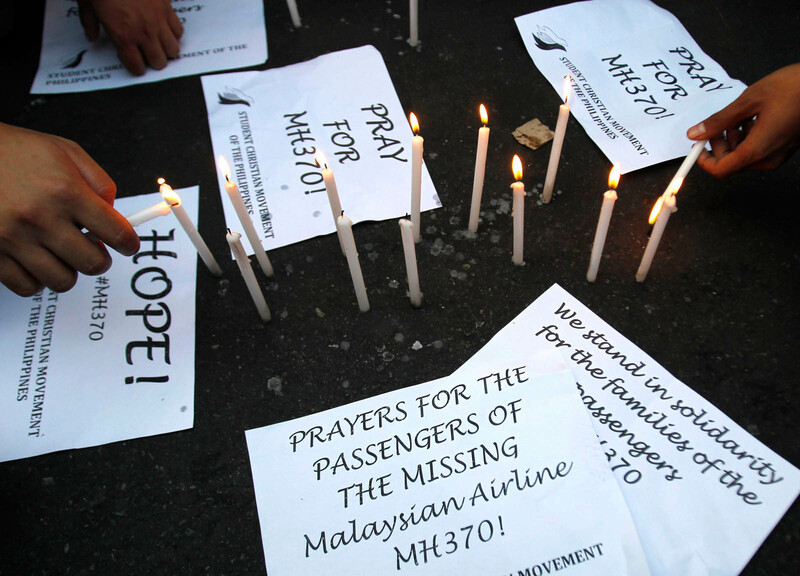 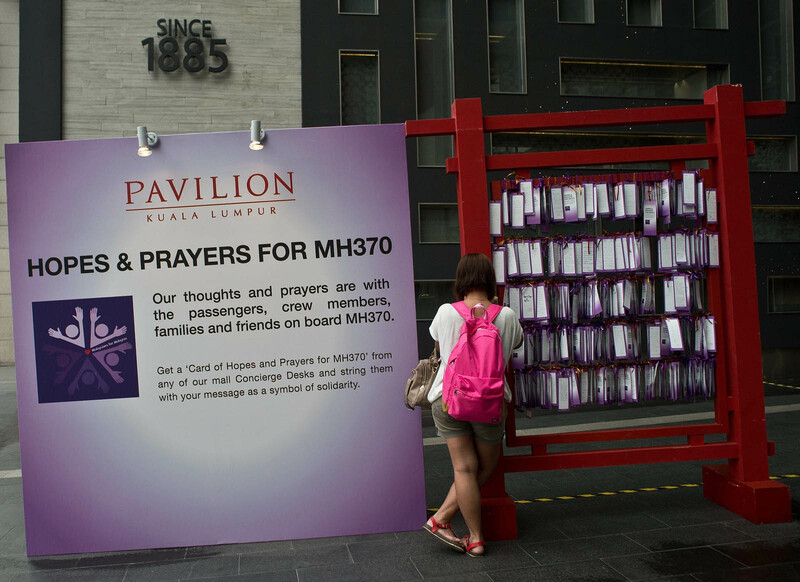 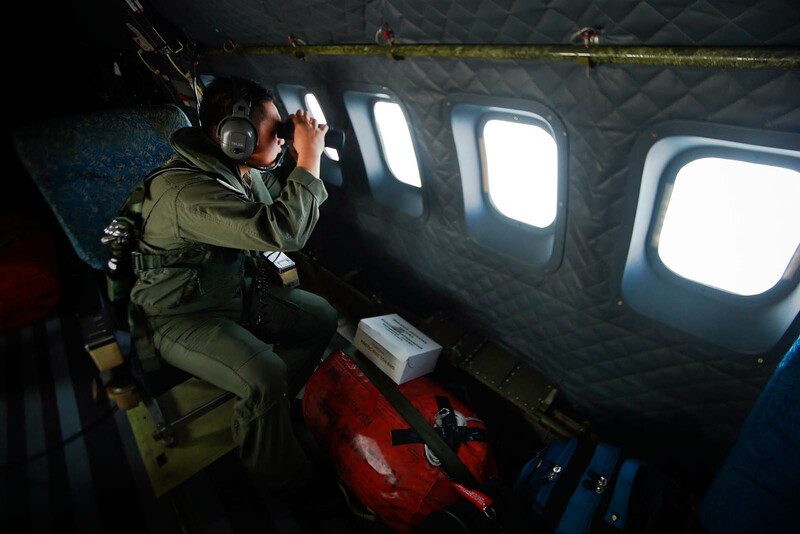 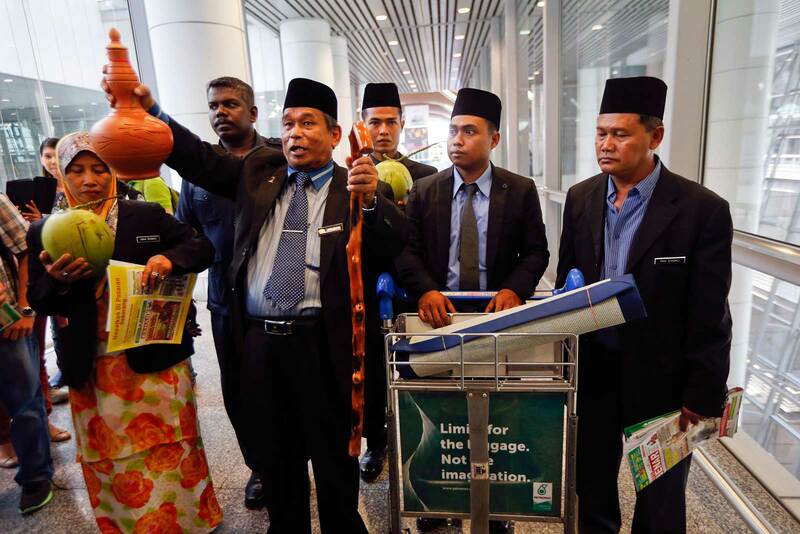 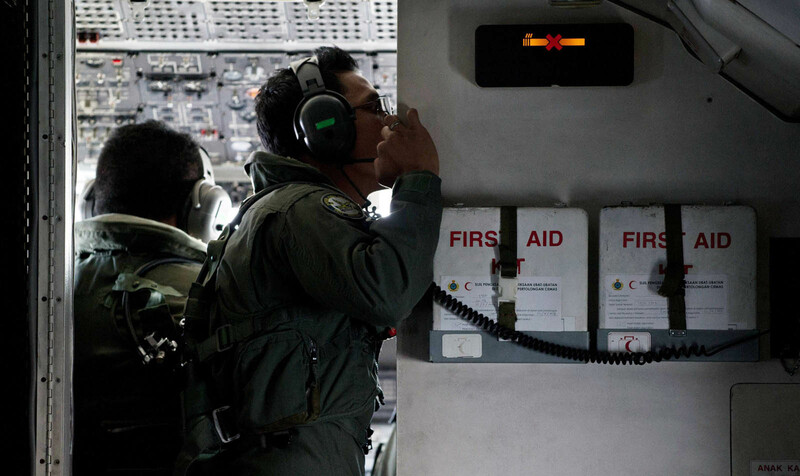 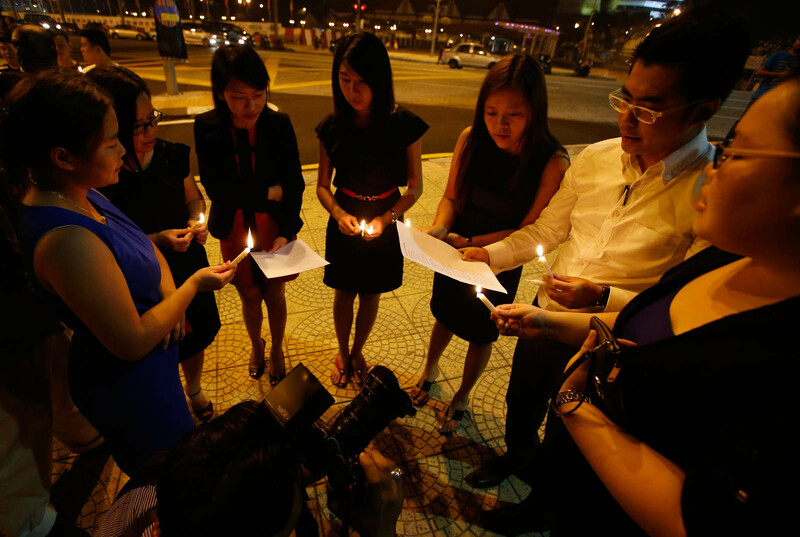 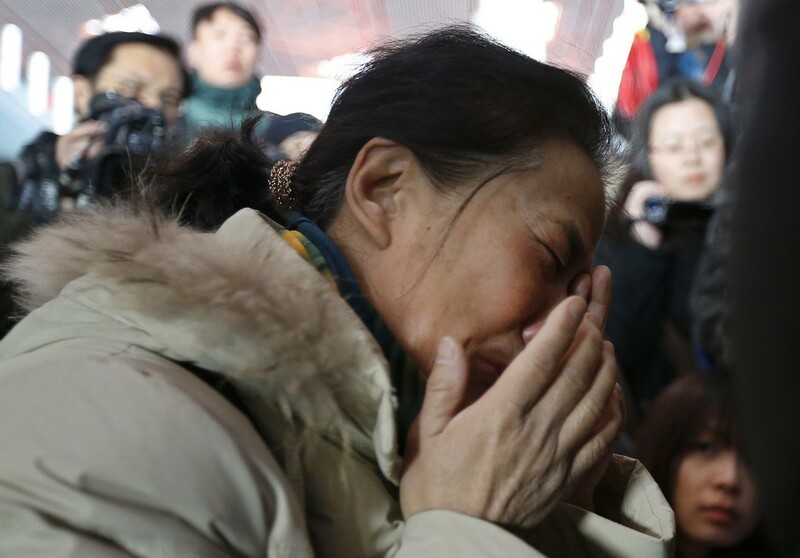 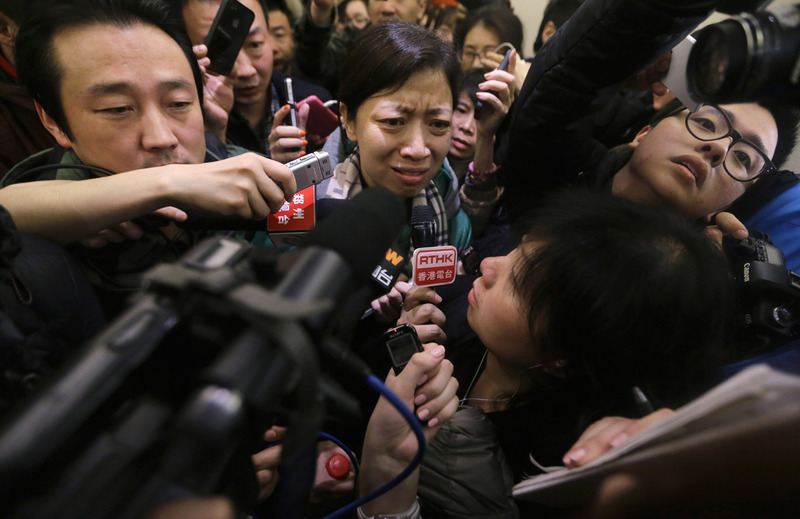 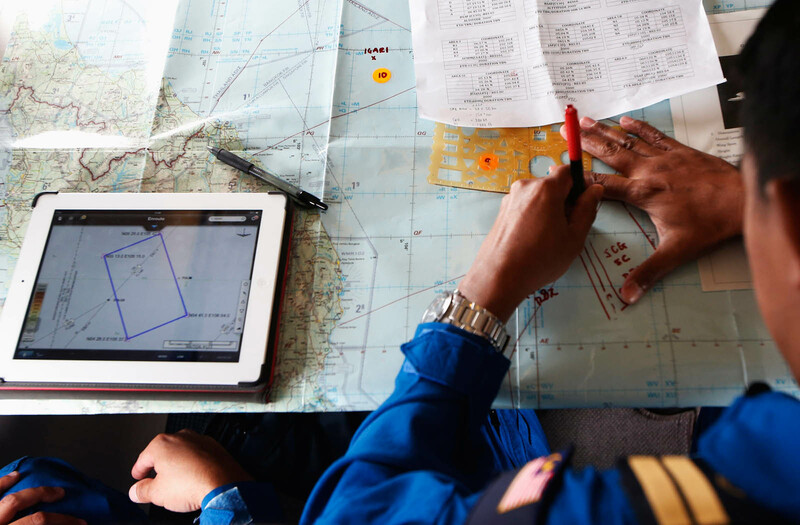 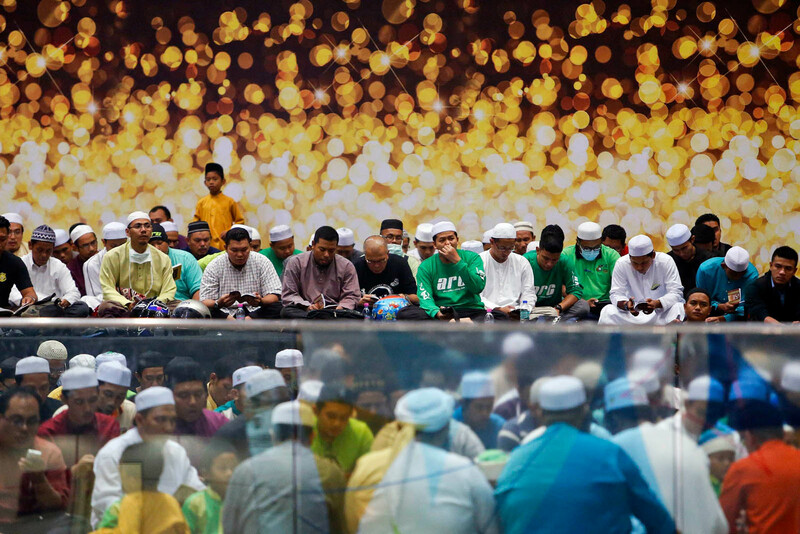 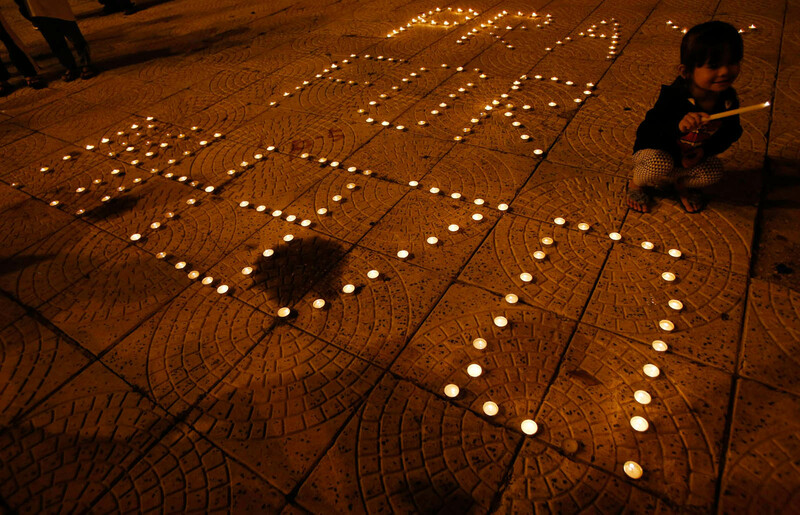 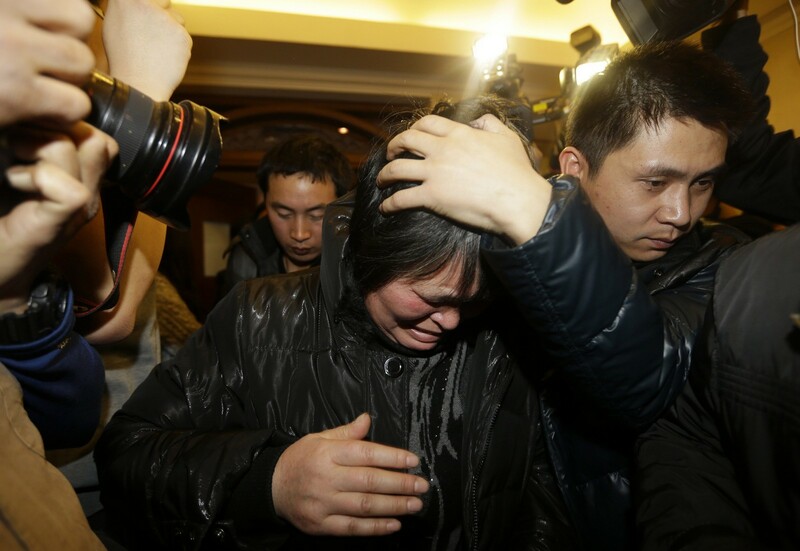 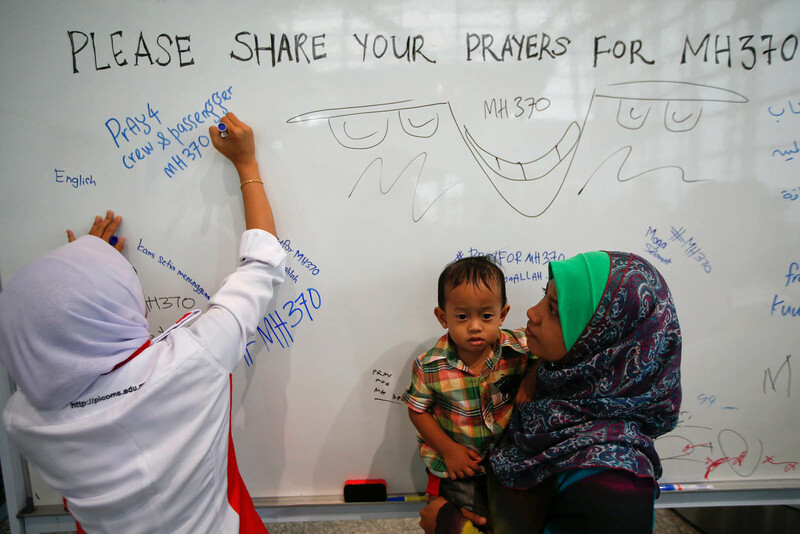 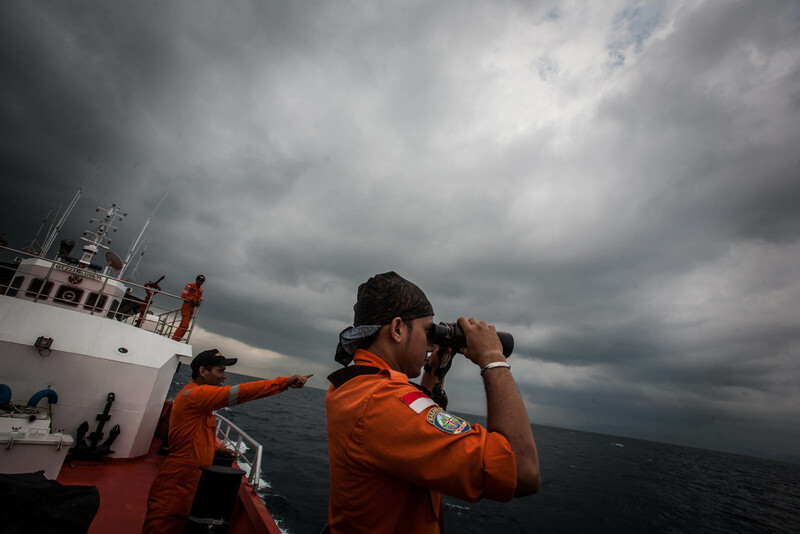 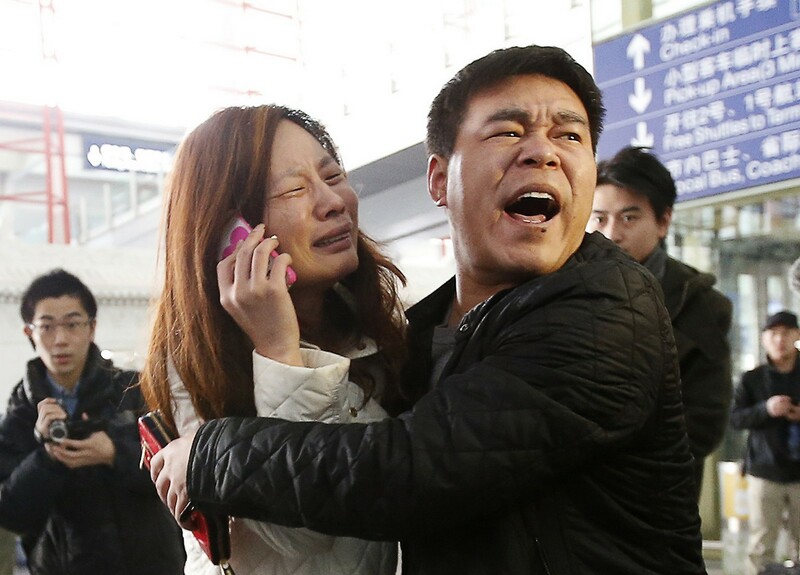 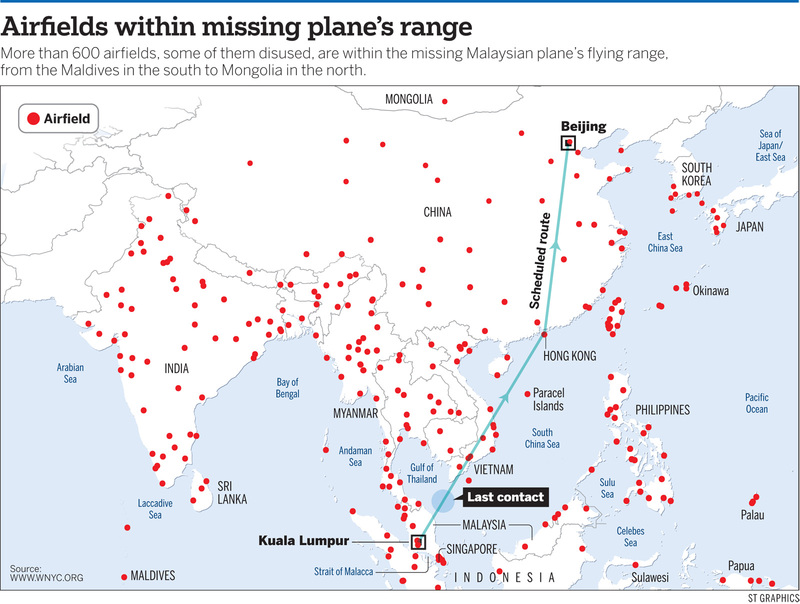 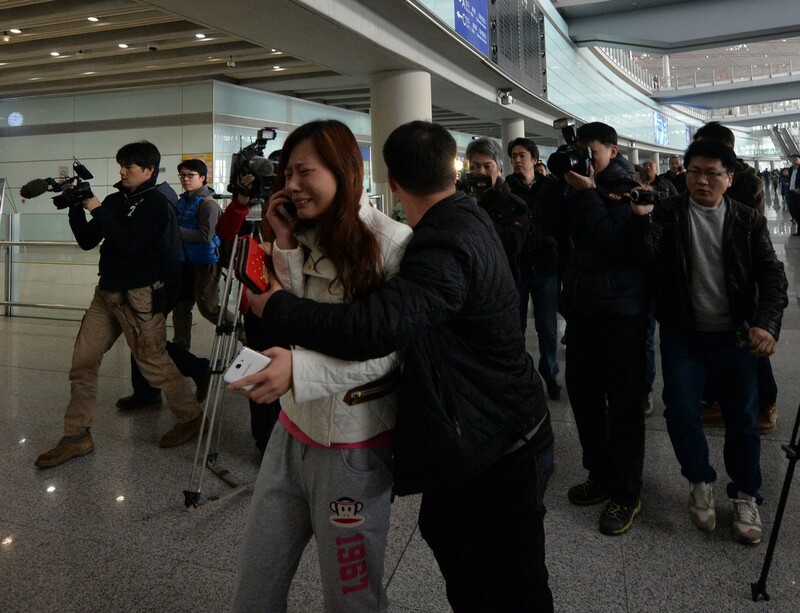 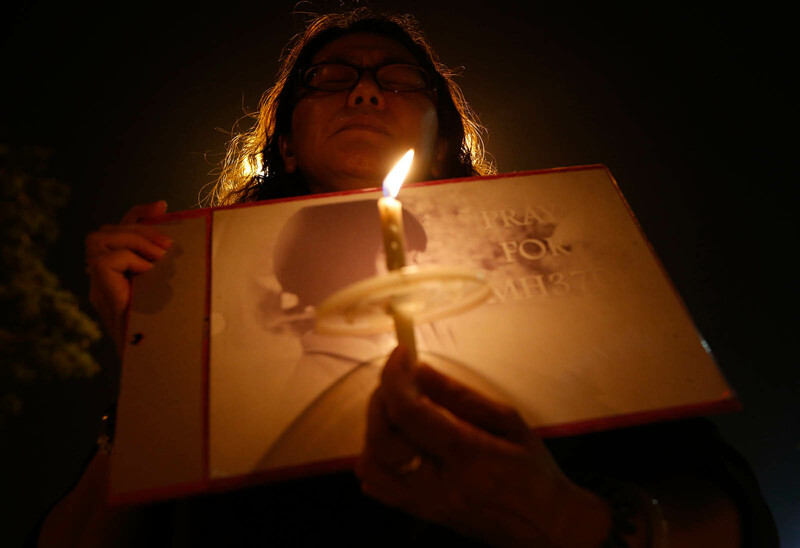 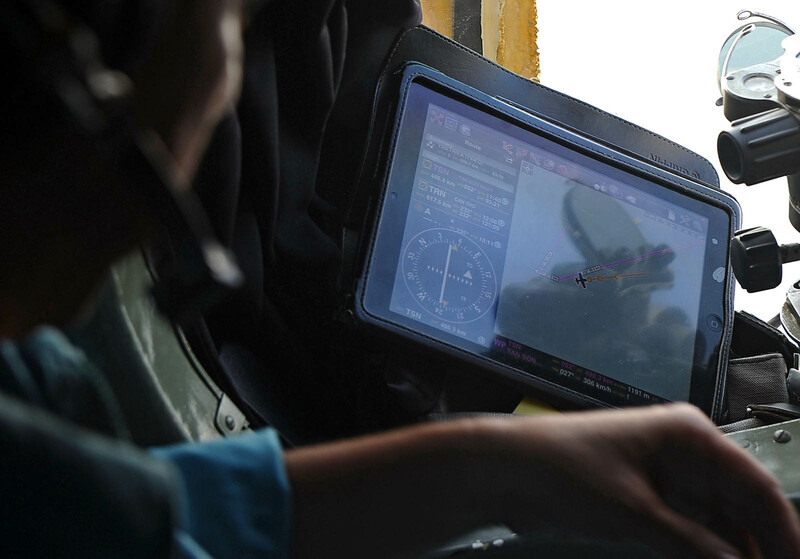 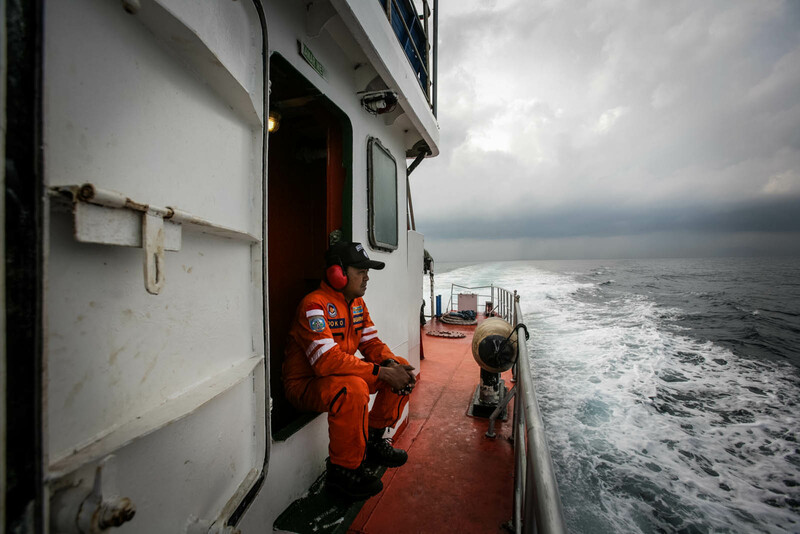 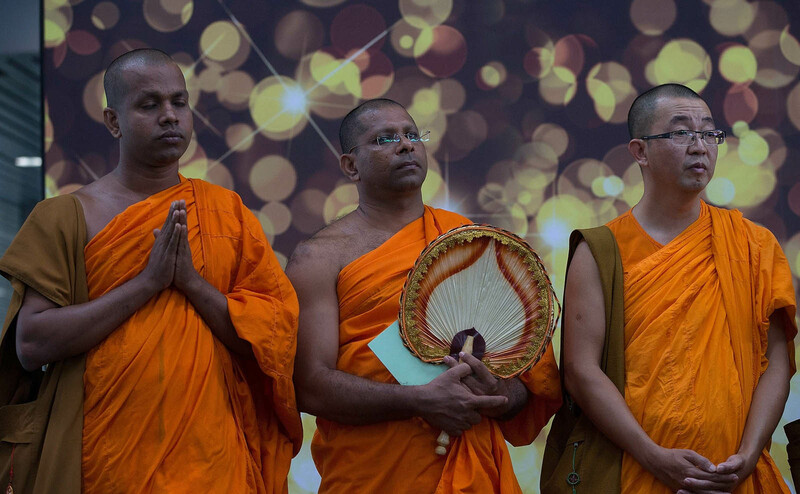 Malaysia has been harshly criticised for the contradictory information and lack of coordination that had caused confusion, leaving it unclear whether it was searching for the missing plane in the right place. 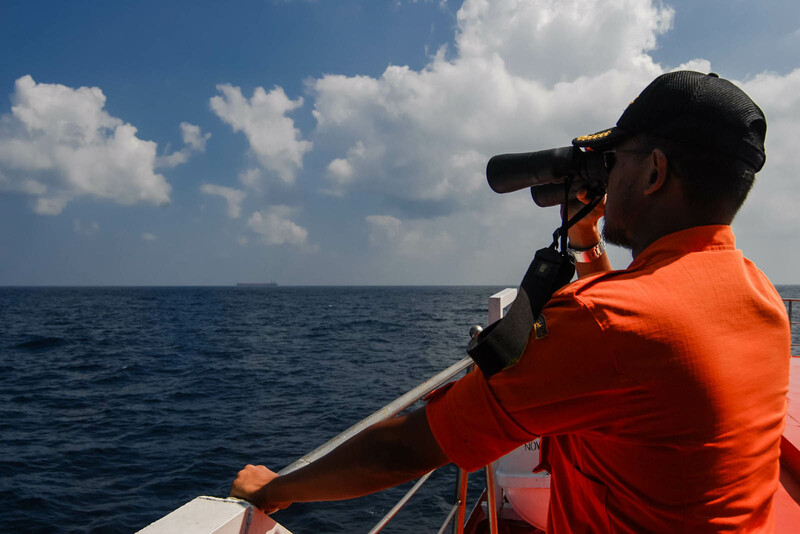 It clarified on Wednesday that it was searching in both east and west of Peninsular Malaysia due to the uncertain nature of the information available. 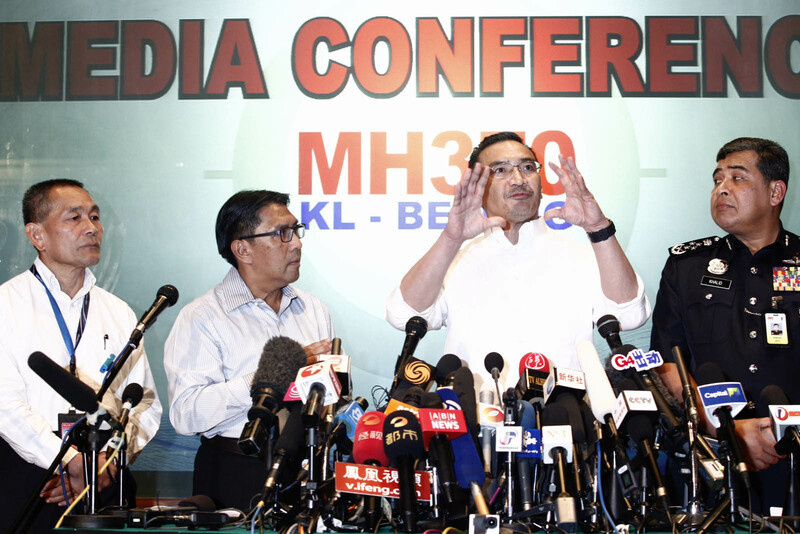 Malaysia's acting Transport Minister Hishammuddin Tun Hussein answers questions between Chief of Armed Forces General Zulkifeli Mohd Zin (L) and Department of Civil Aviation's Director General Azharuddin Abdul Rahmanthe (R) on the missing Malaysia Airlines MH370 plane during a news conference at Kuala Lumpur International Airport March 12, 2014. 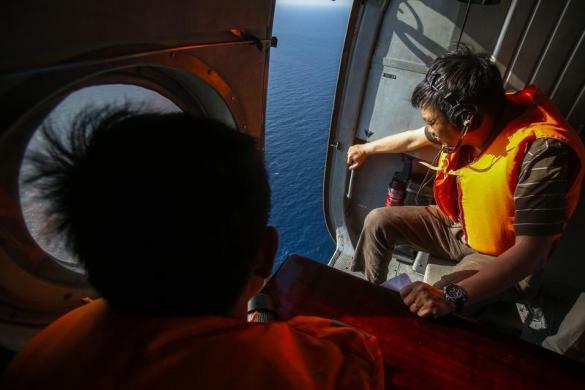 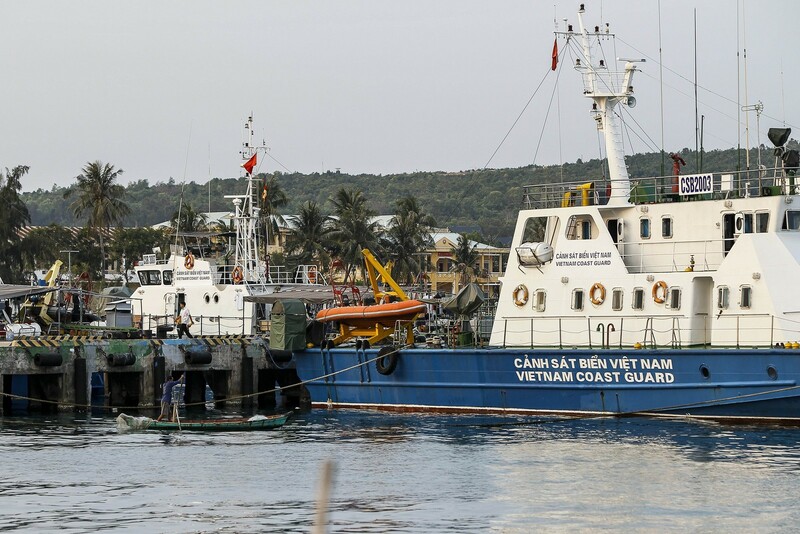 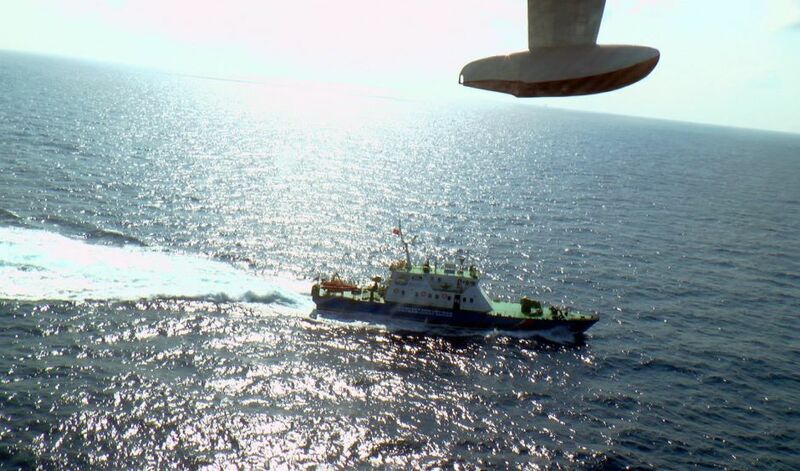 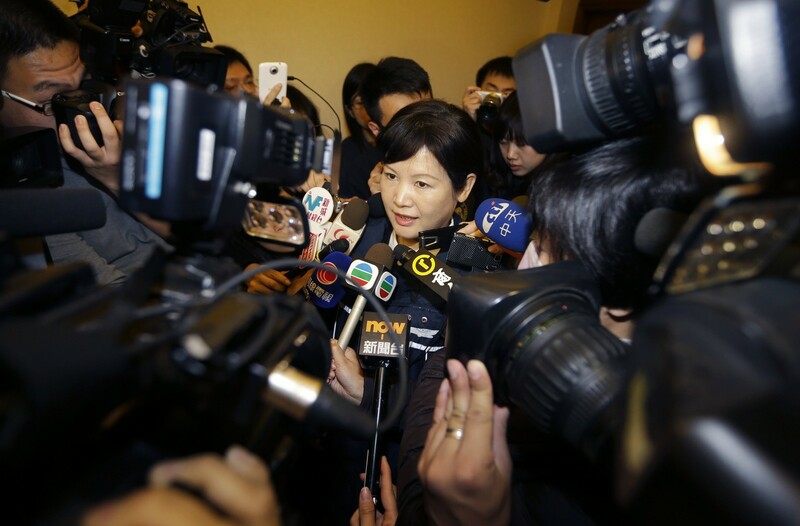 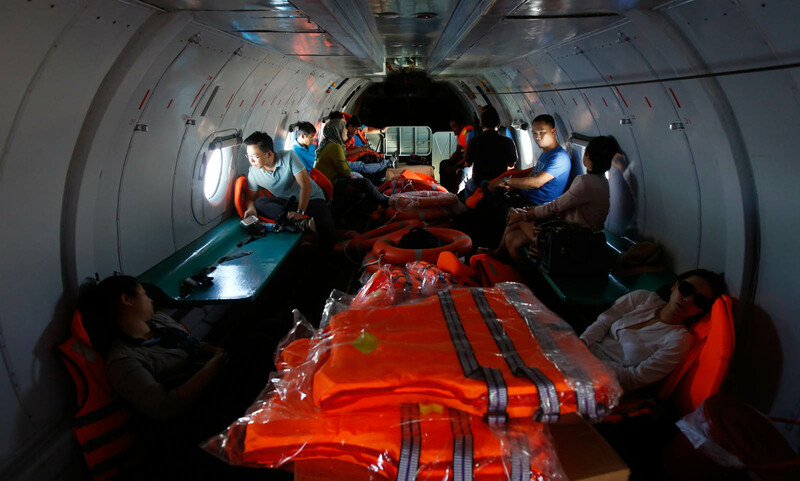 The Acting Transport Minister said that search and rescue efforts for the missing Malaysia Airlines flight are now focused on two bodies of water - the South China Sea and the Strait of Malacca. 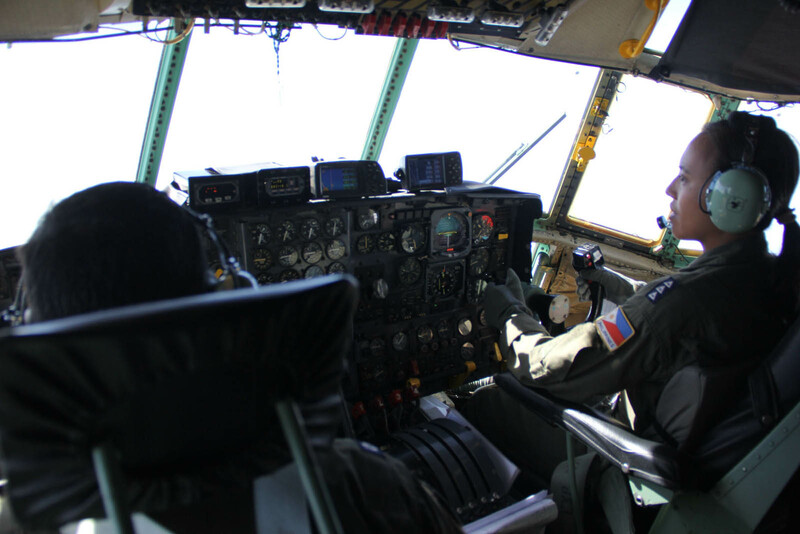 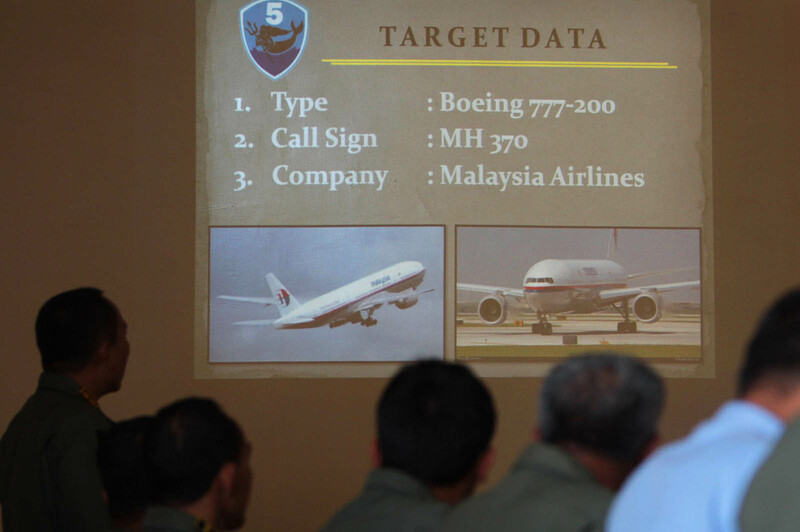 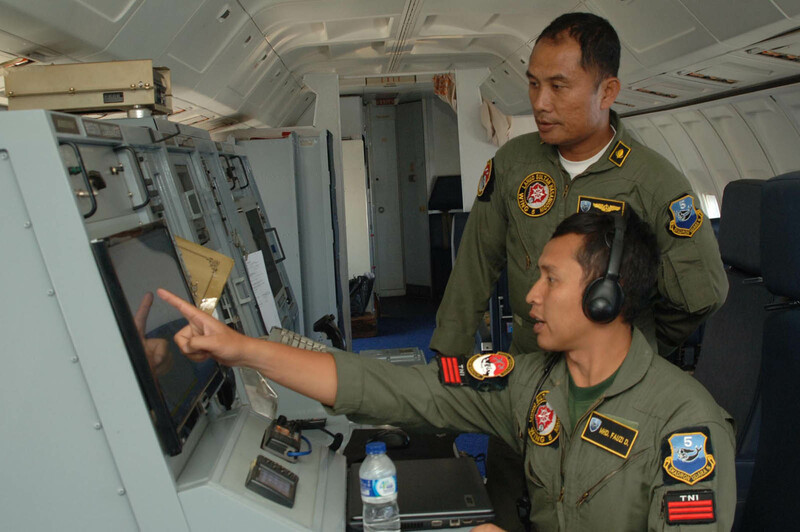 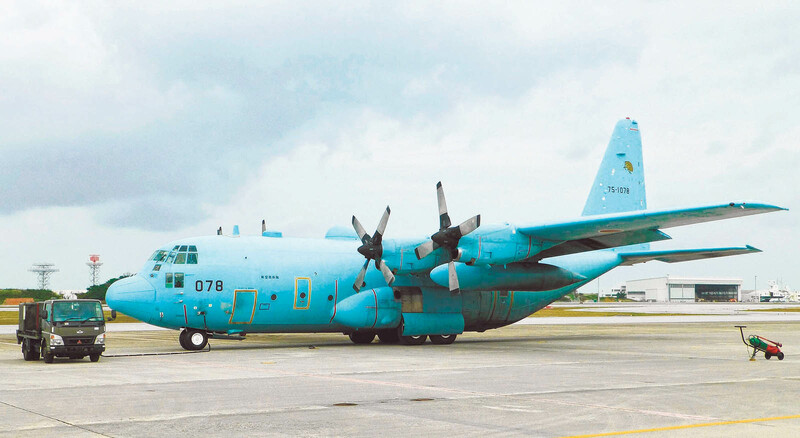 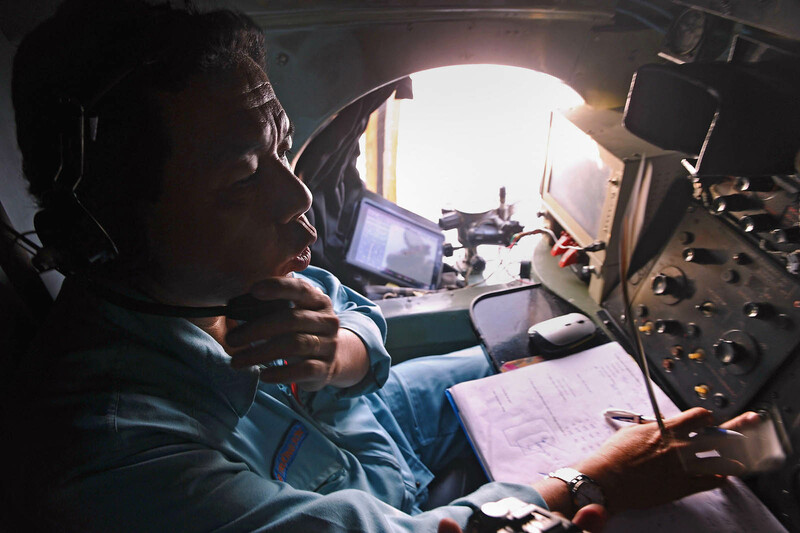 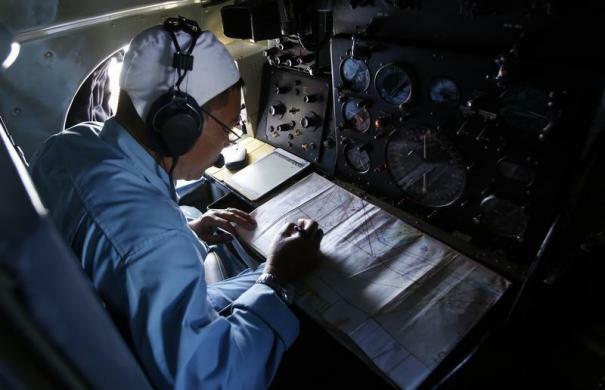 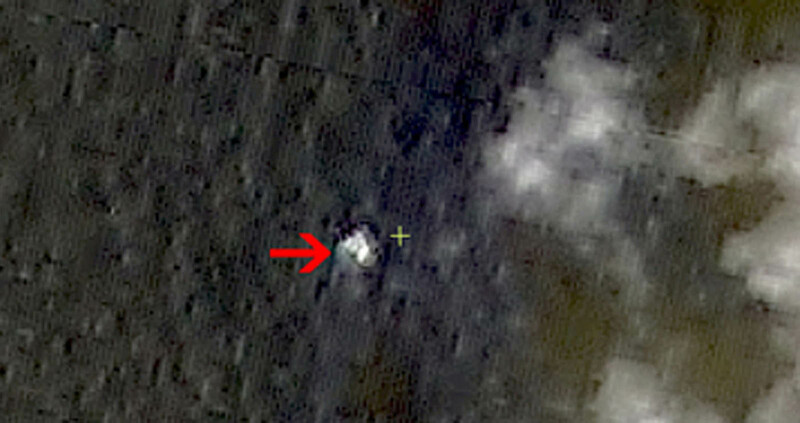 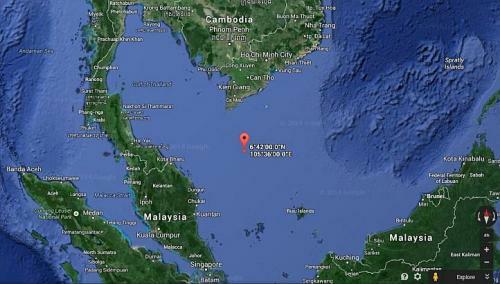 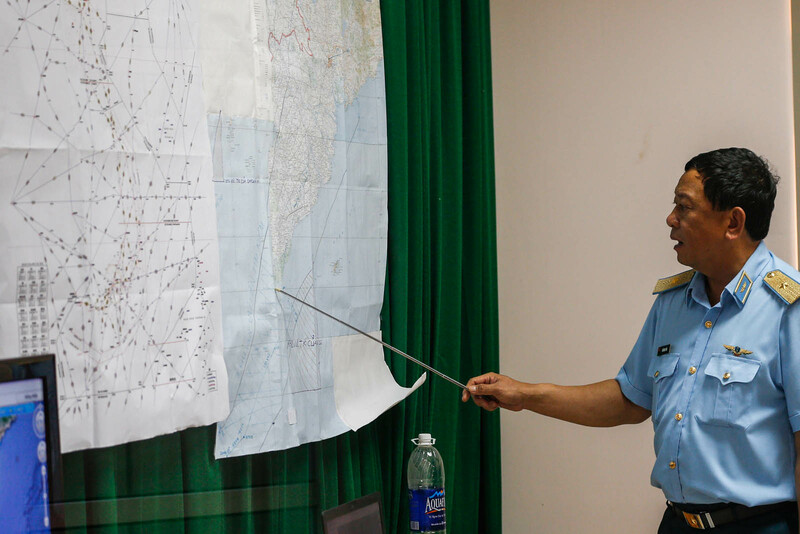 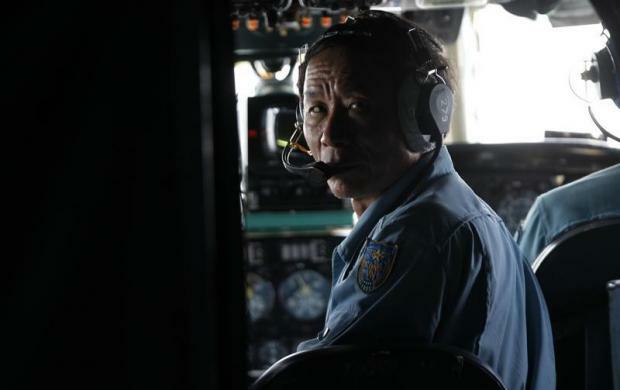 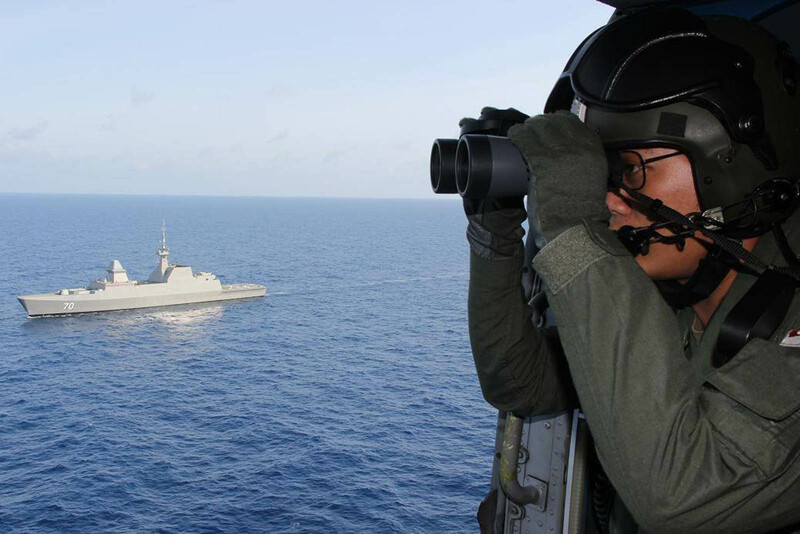 Malaysia's air force chief, Rodzali Daud, said military radar had a spotted a "plot" 200 miles north-west of the island of Penang at around 2.15am on Saturday but it could not confirm if that was the missing MH370. 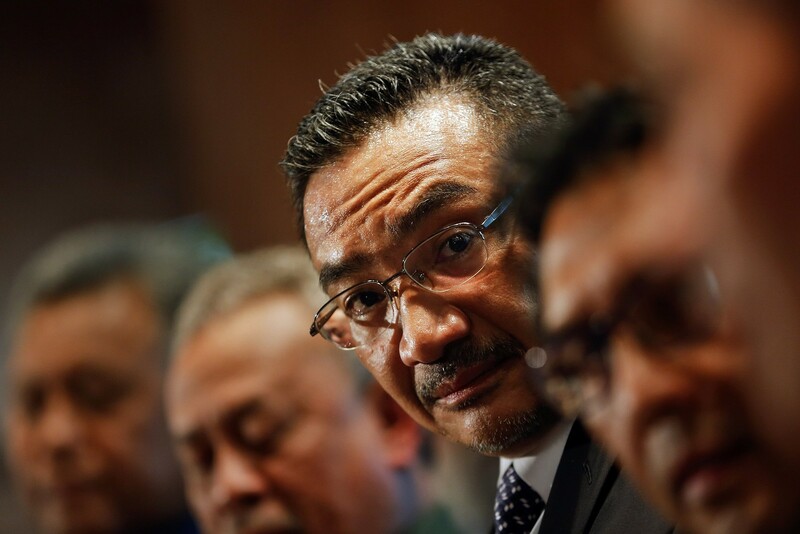 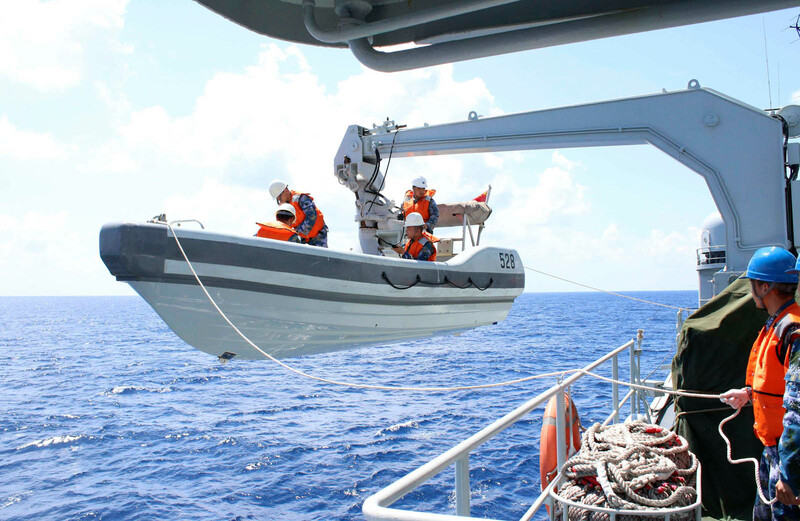 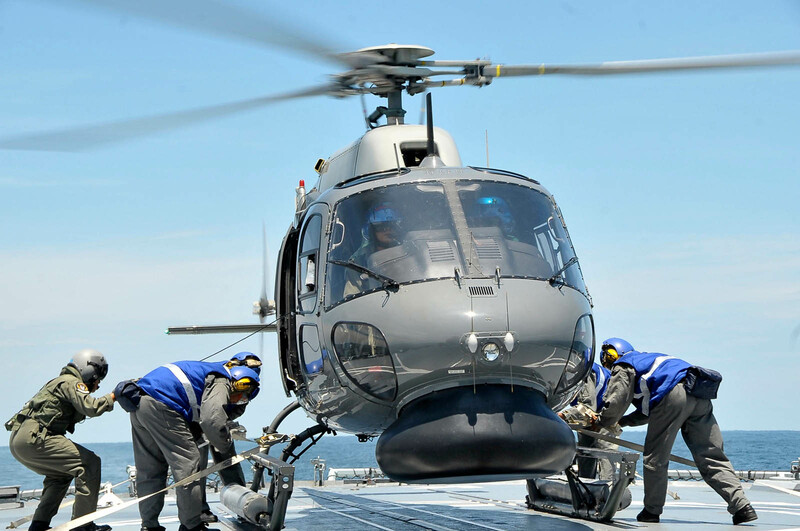 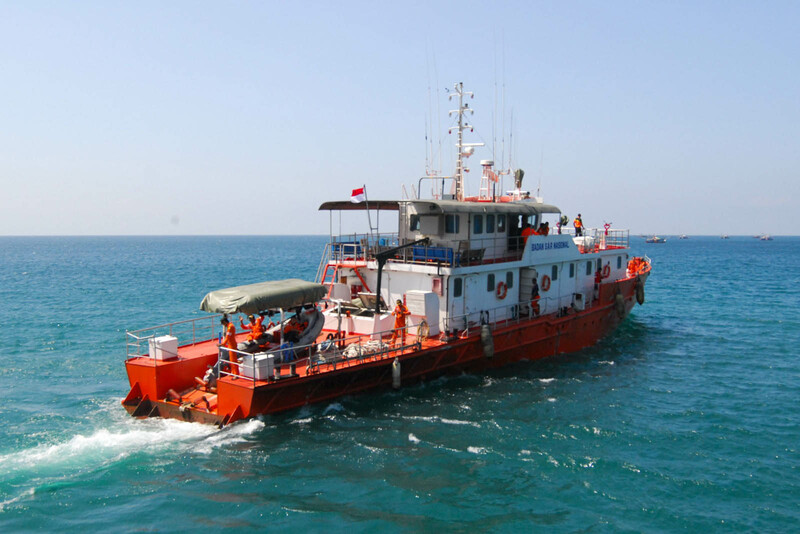 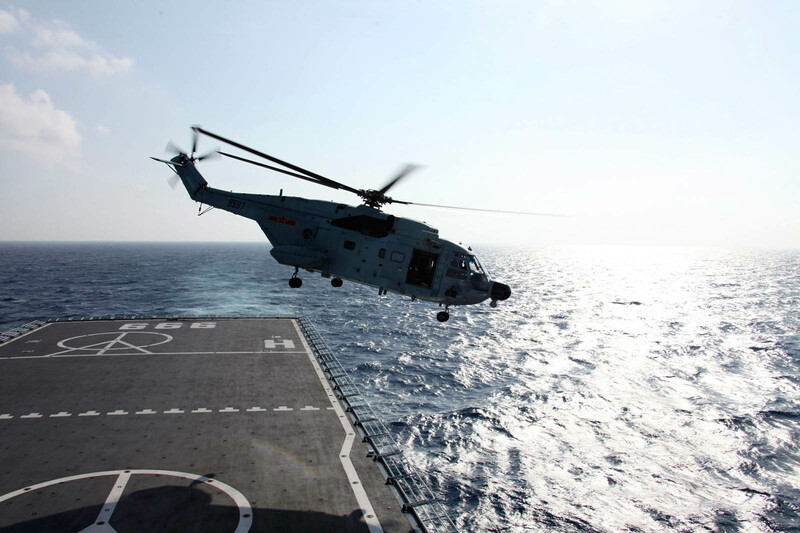 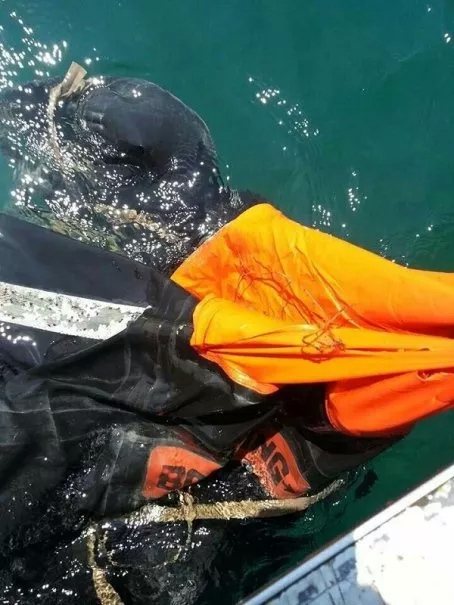 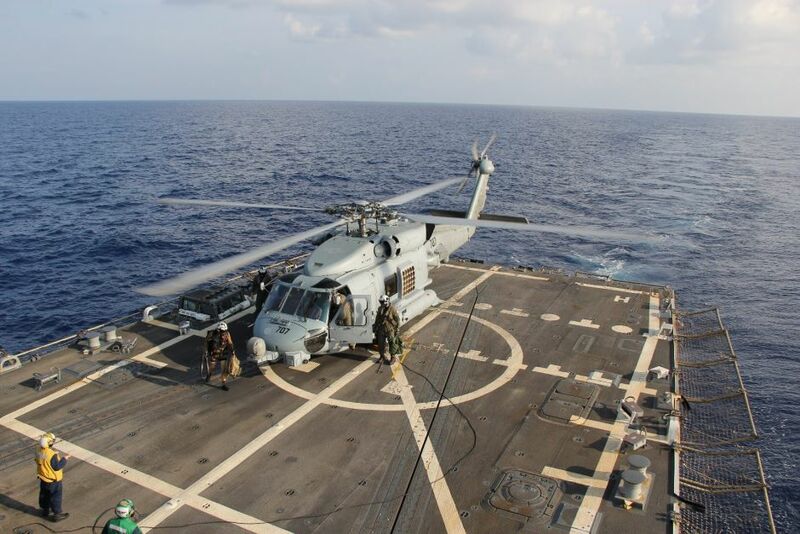 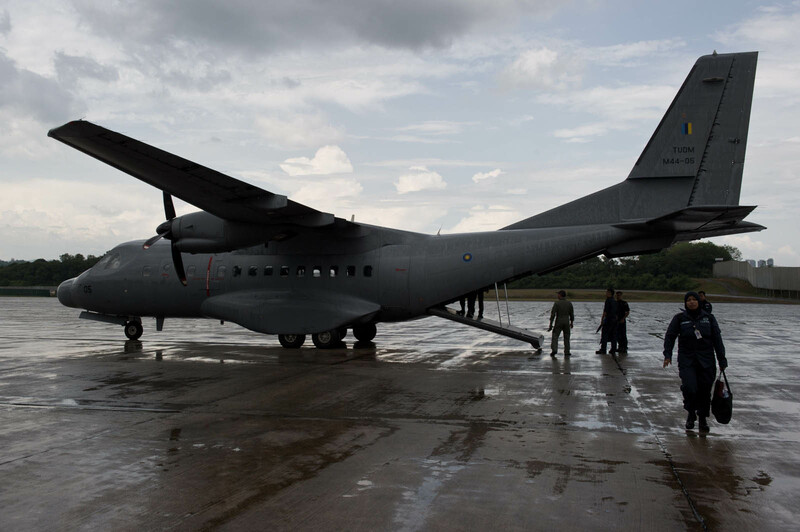 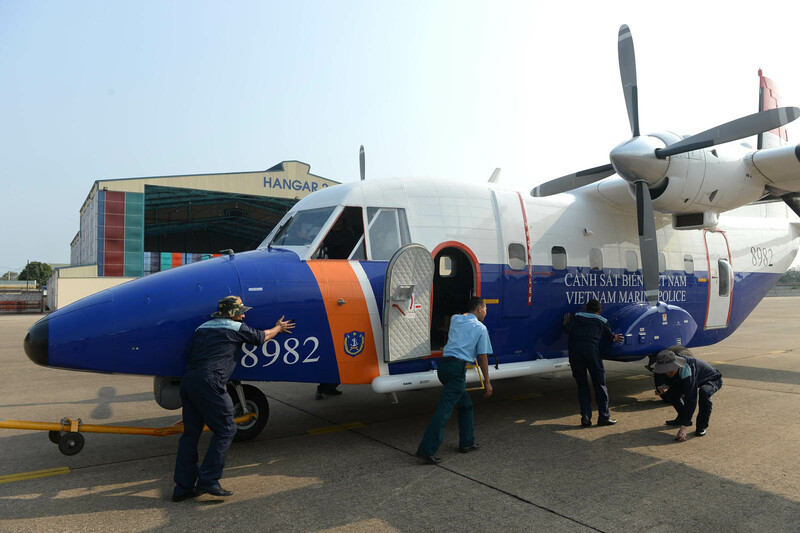 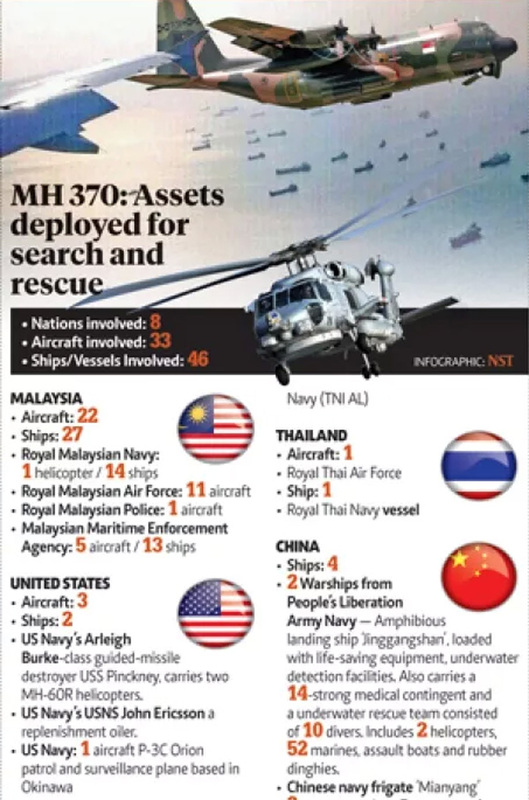 Speaking at a press conference on Wednesday afternoon, Mr Hishamuddin said the search area has been extended to 27,000 square nautical miles. 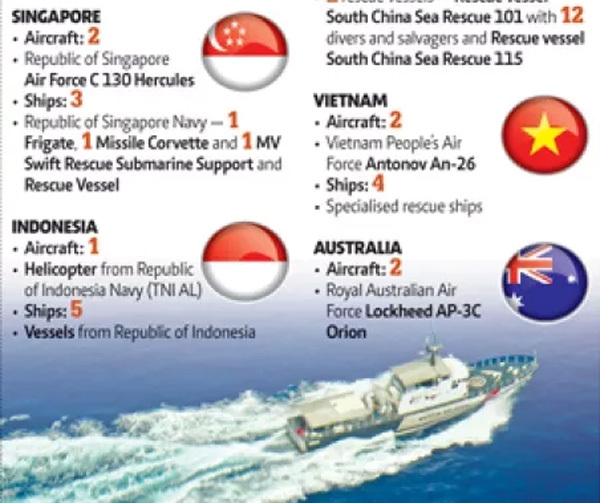 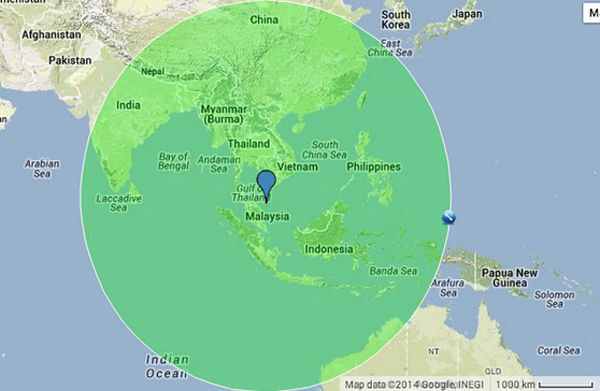 There are also now some 42 ships and 39 aircraft involved in the operations, he added. 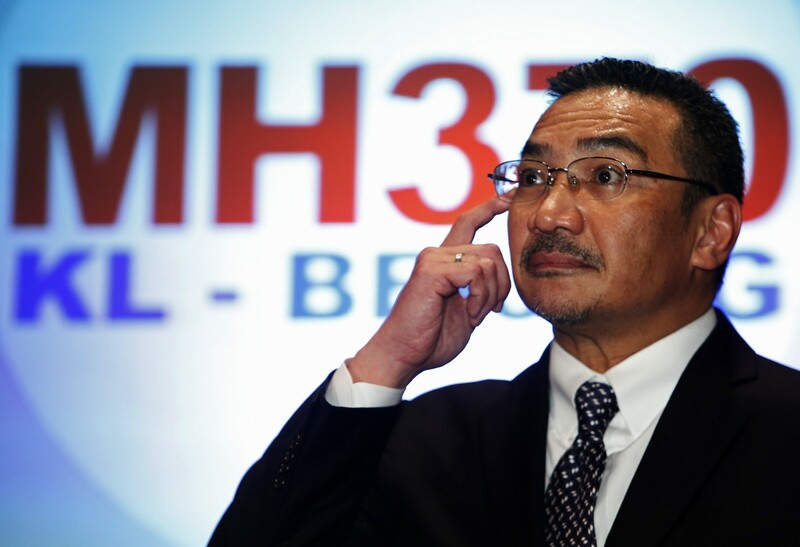 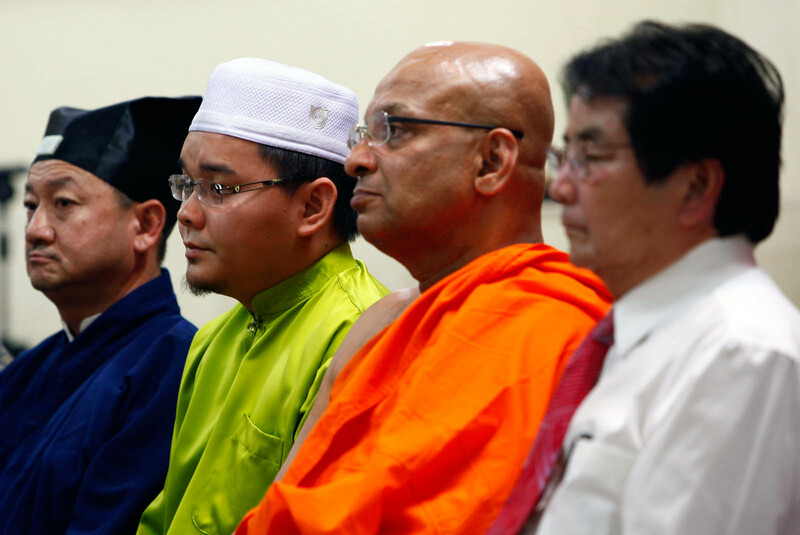 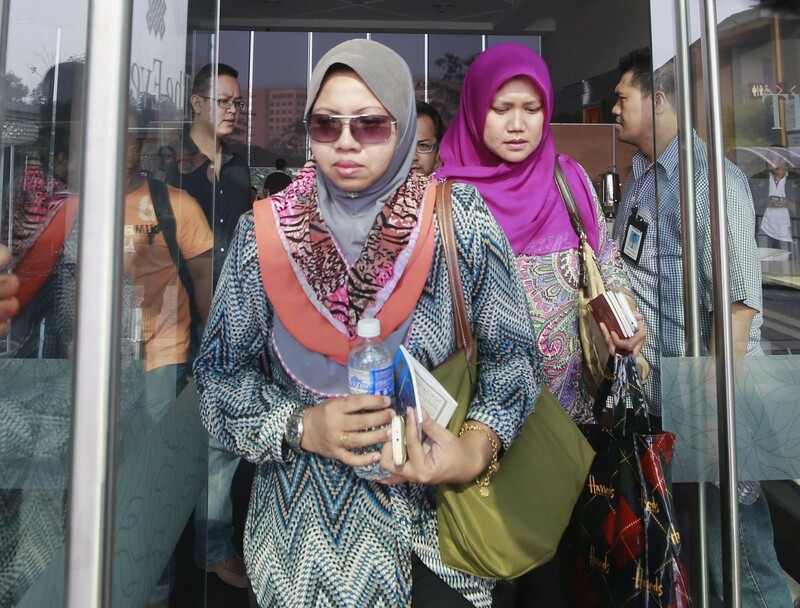 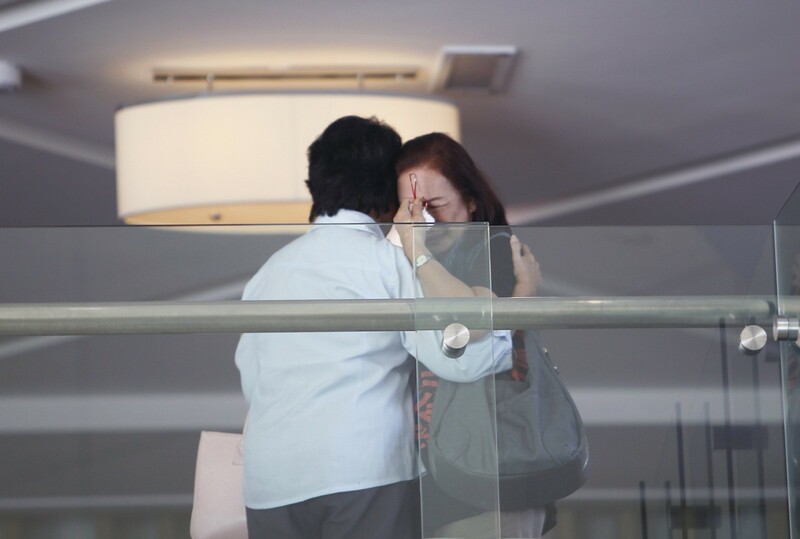 "We have, till today, not found anything," Mr Hishamuddin said. 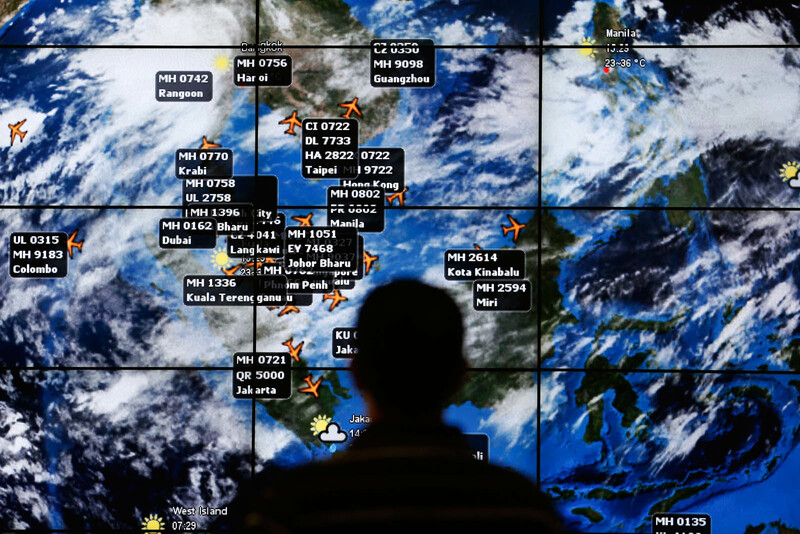 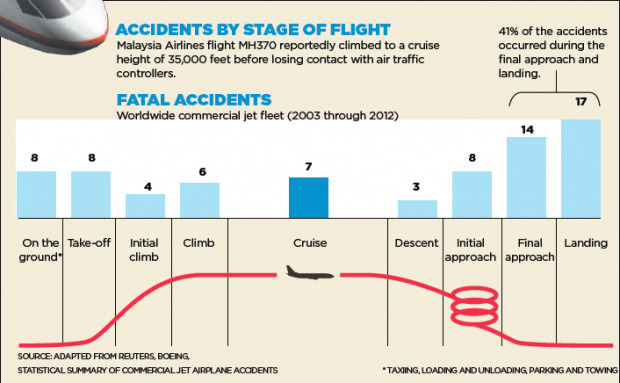 He added that more experts will be brought in to look at the flight data. 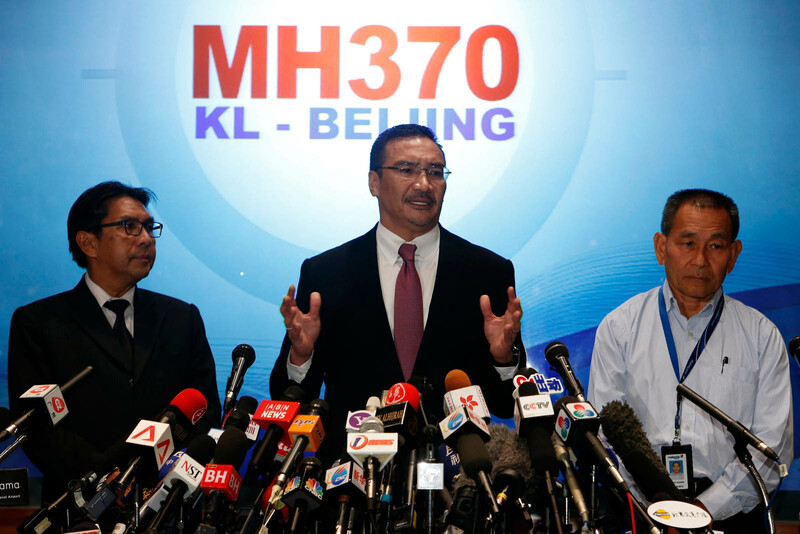 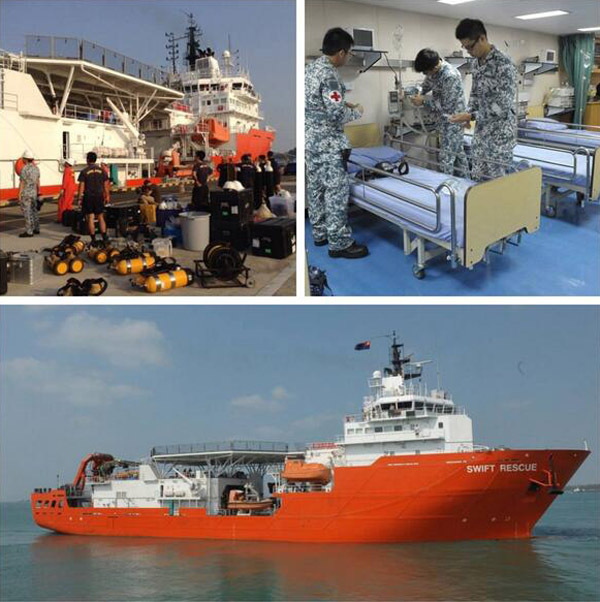 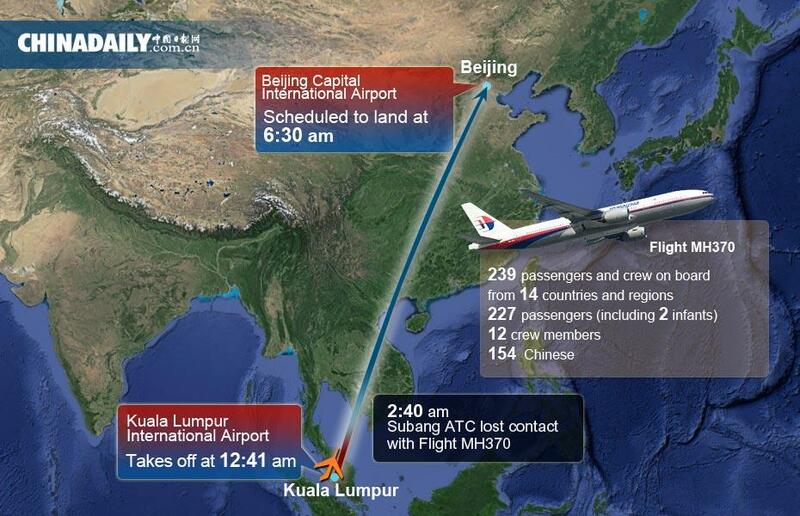 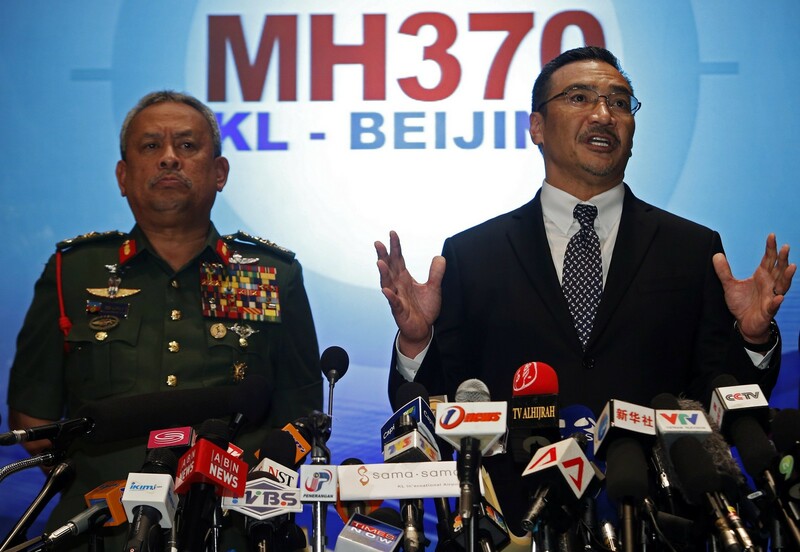 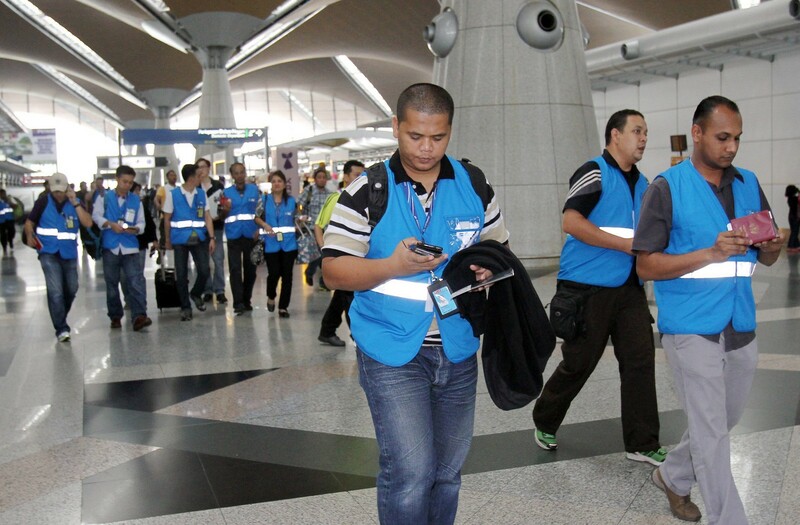 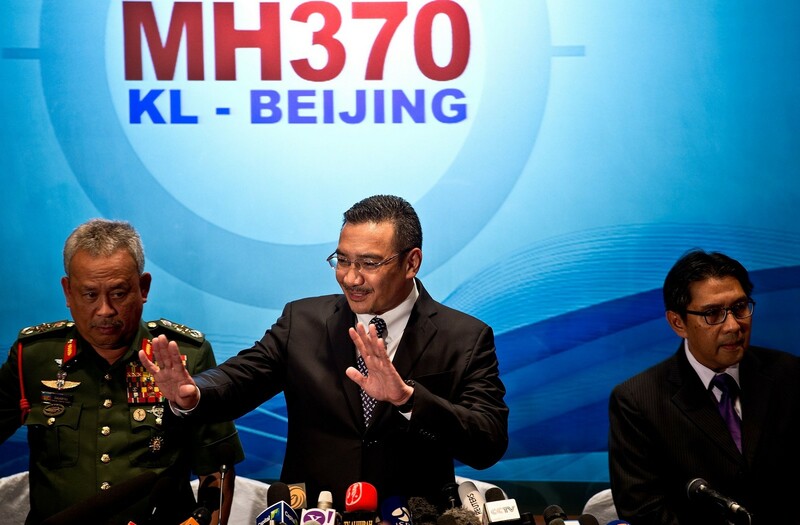 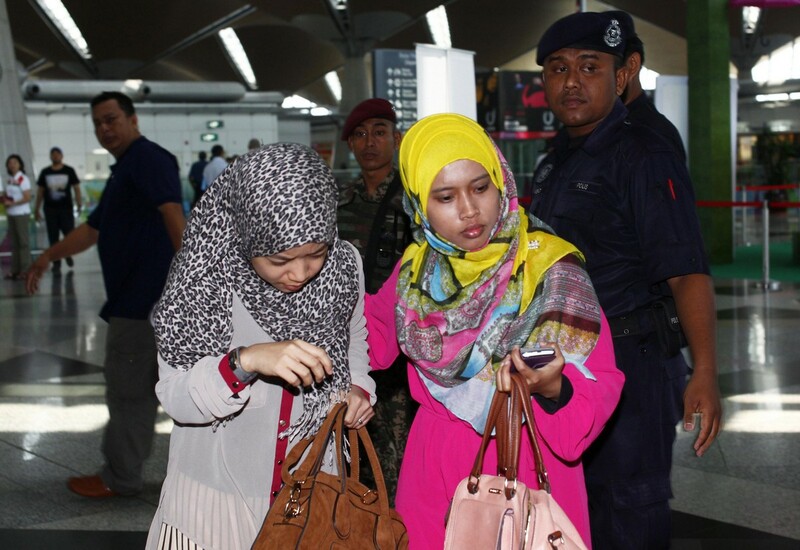 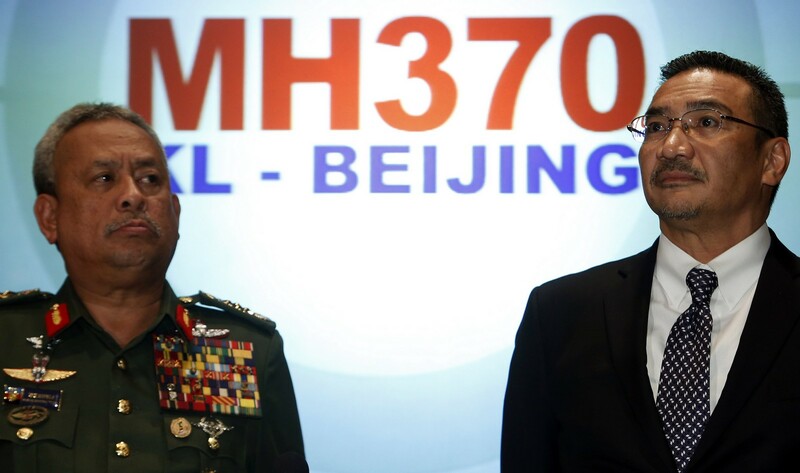 Responding mounting criticism on the search efforts, Mr Hishammuddin said there was no "confusion". 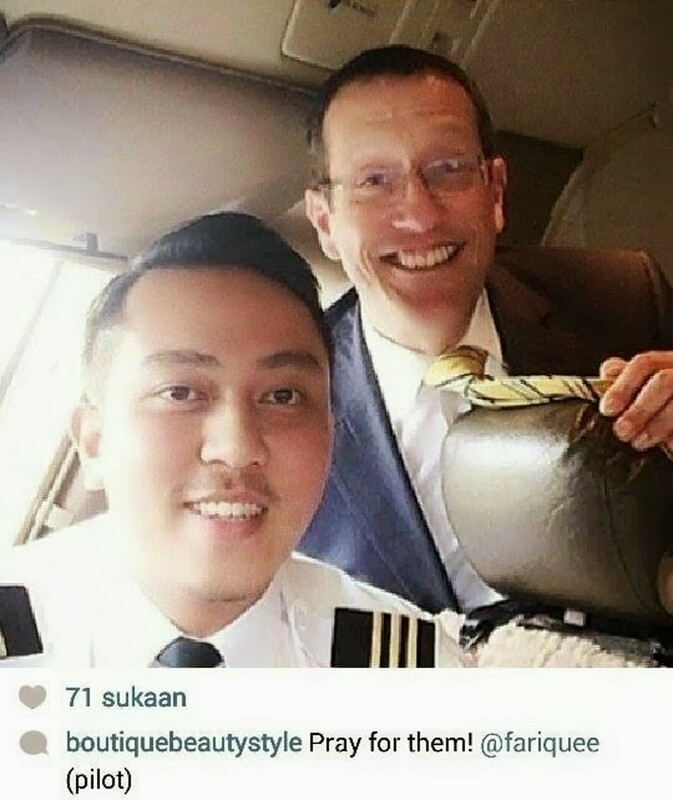 "I don’t think so. 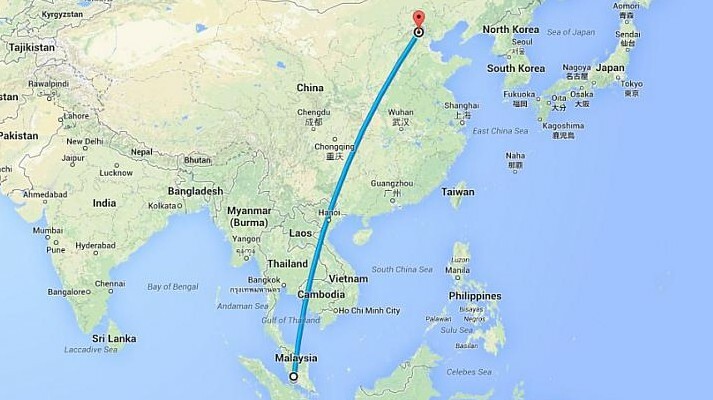 It’s far from it. 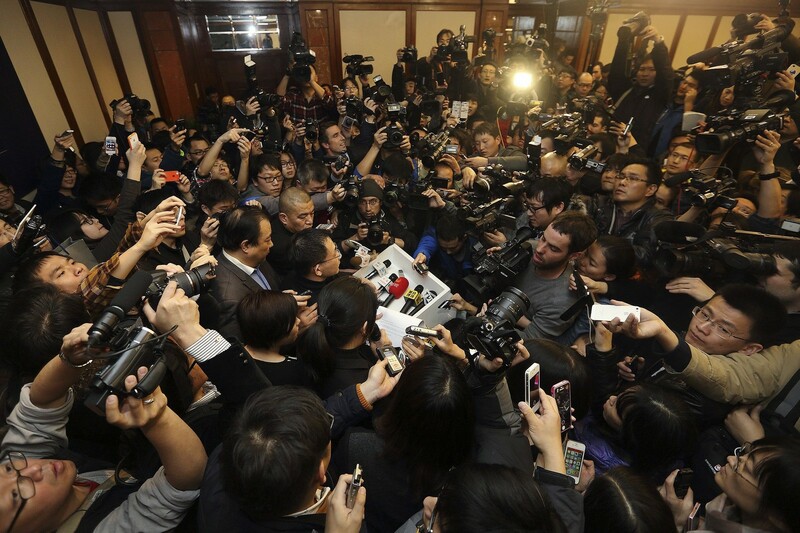 It’s only confusion if you want it to be seen as confusion," he said.